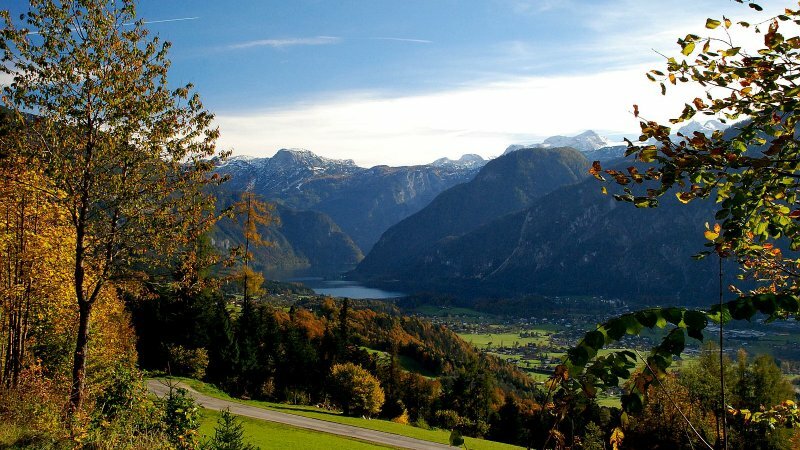 The Alpenhotel Dachstein enjoys a scenic location above the spa town of Bad Goisern on Lake Hallstatt, just 12 km from the village of Hallstatt. 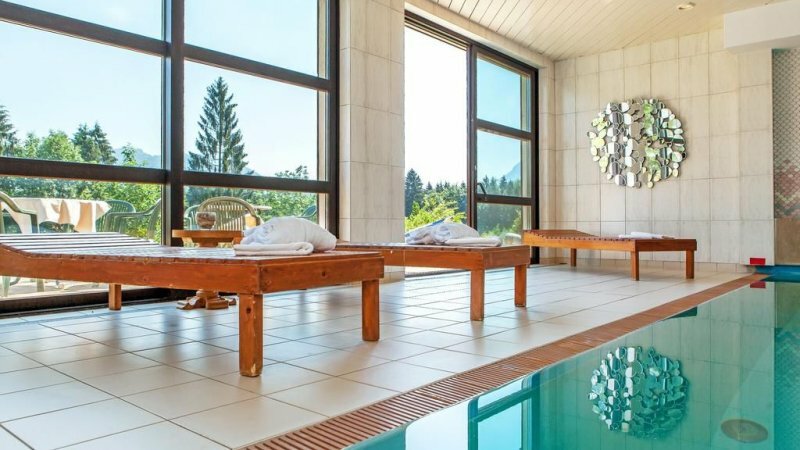 The indoor pool and the spa area were renovated in 2015 and are available free of charge. 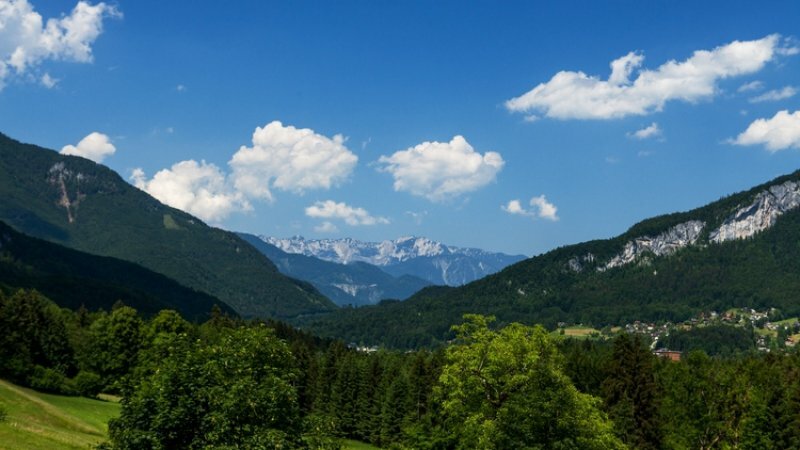 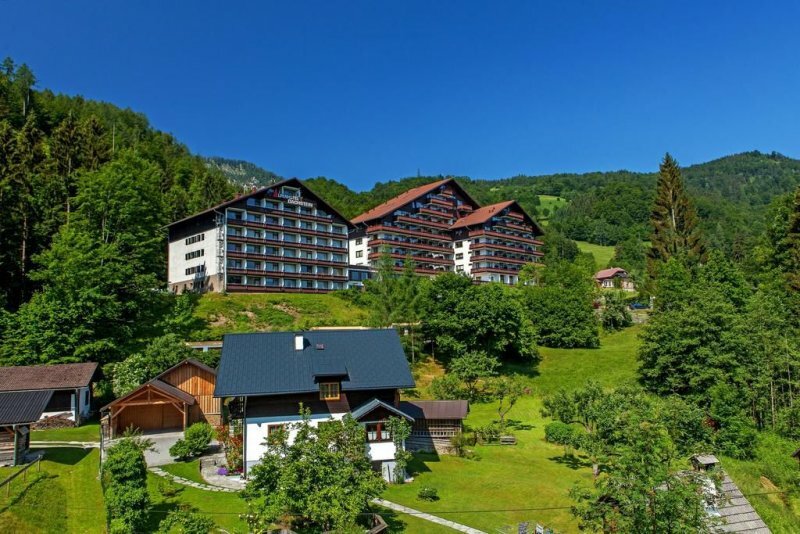 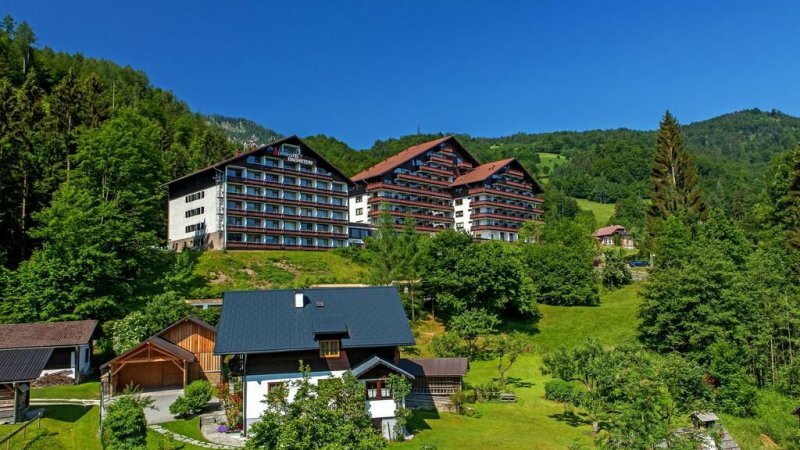 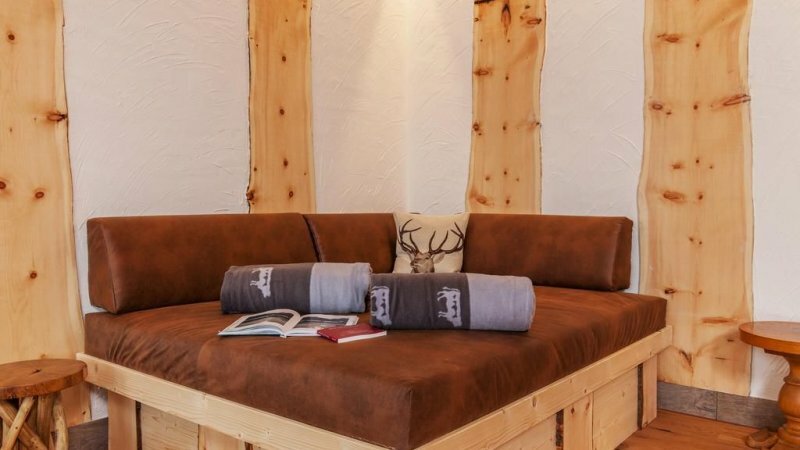 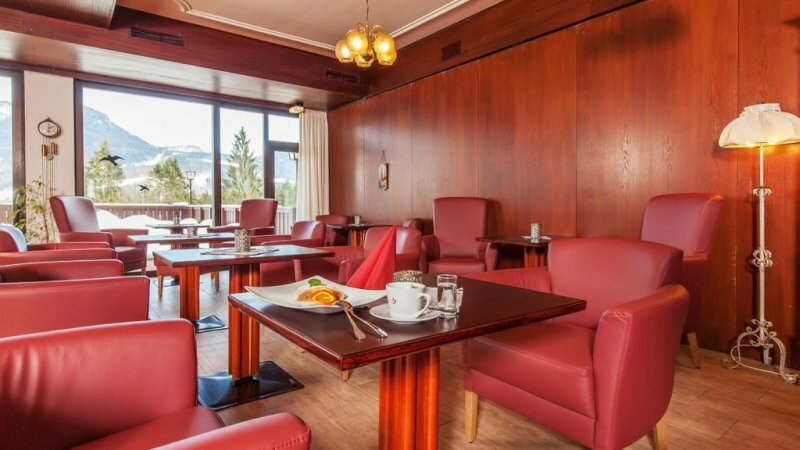 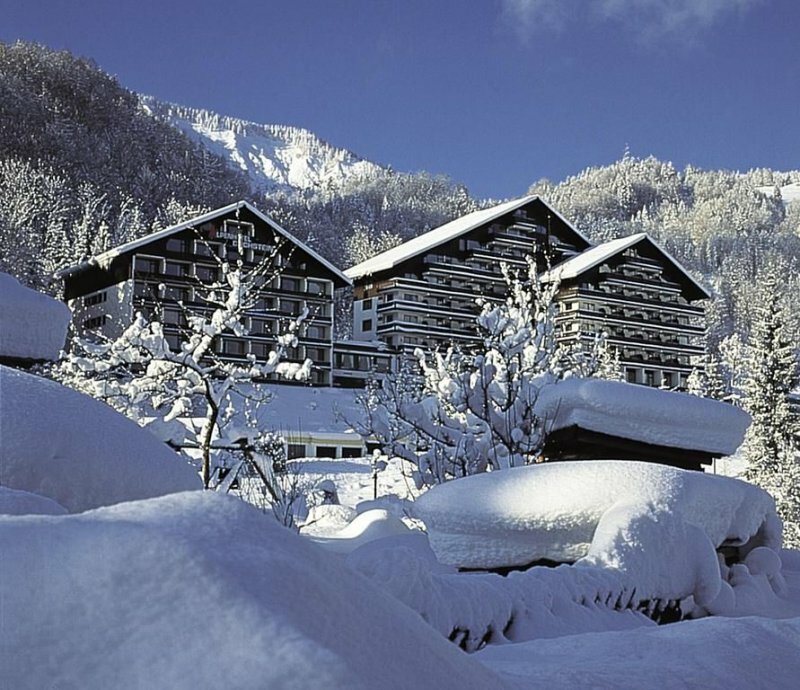 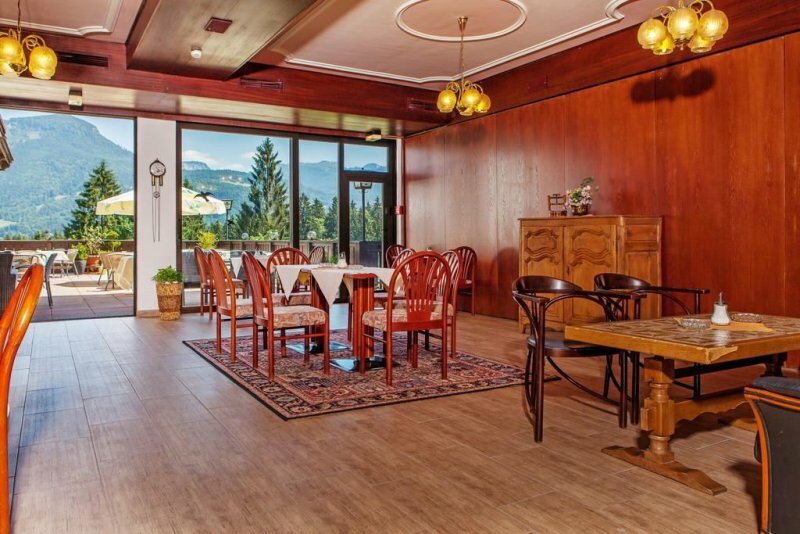 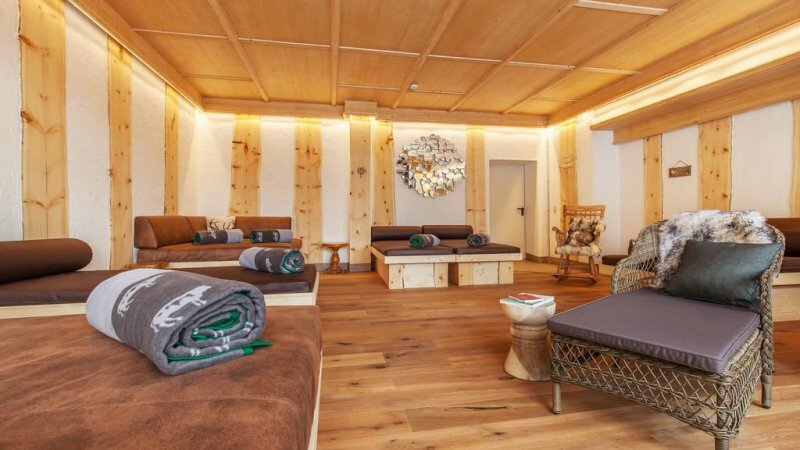 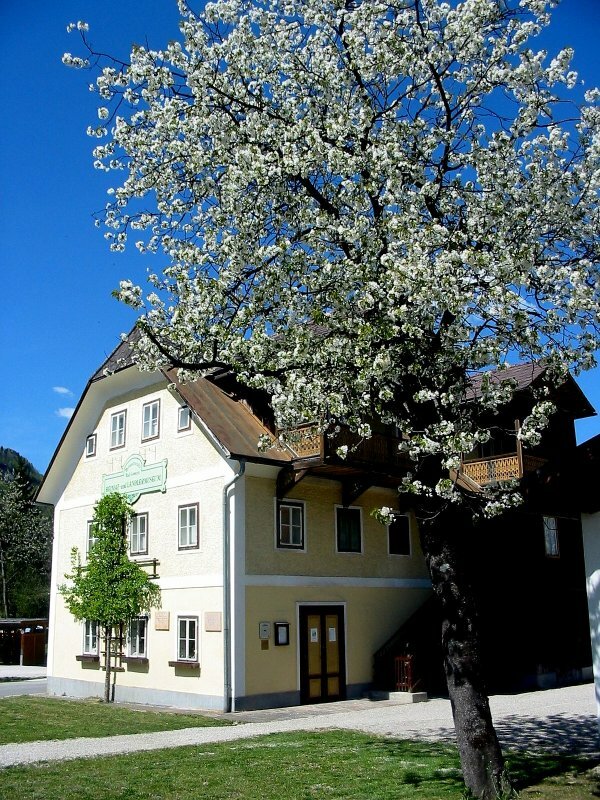 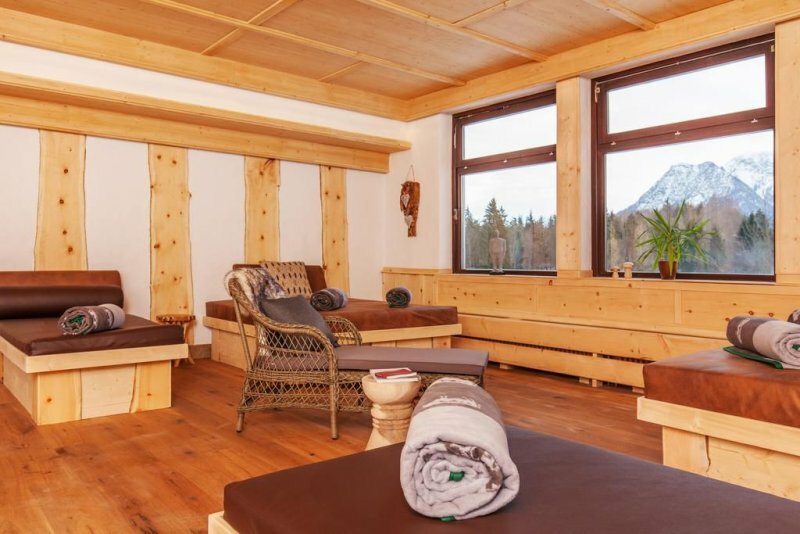 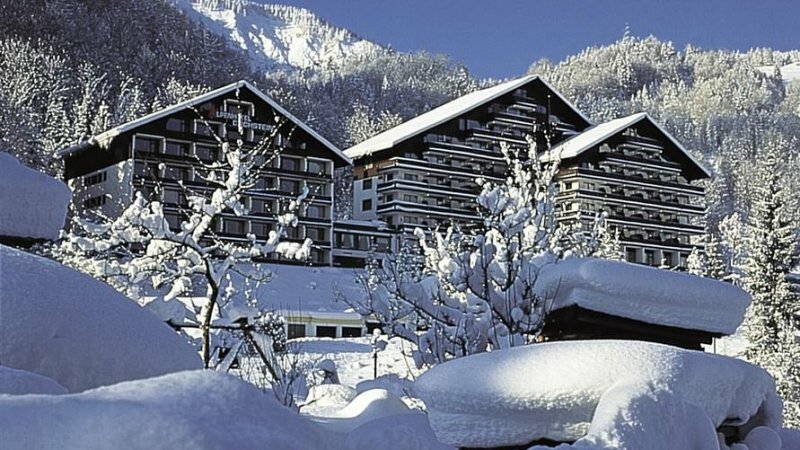 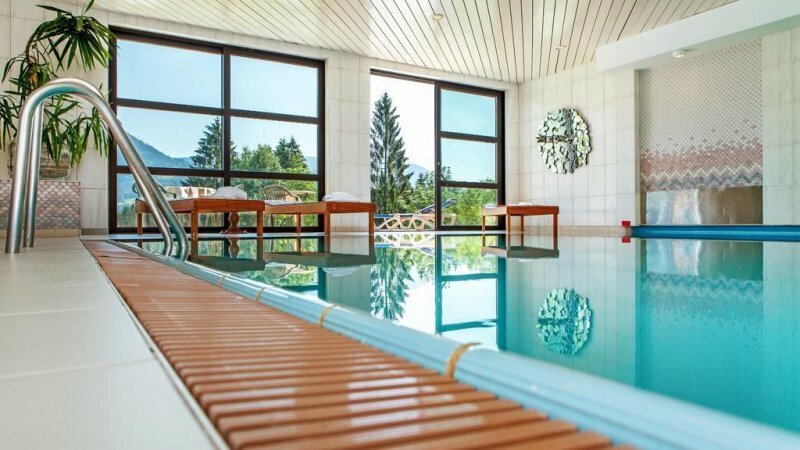 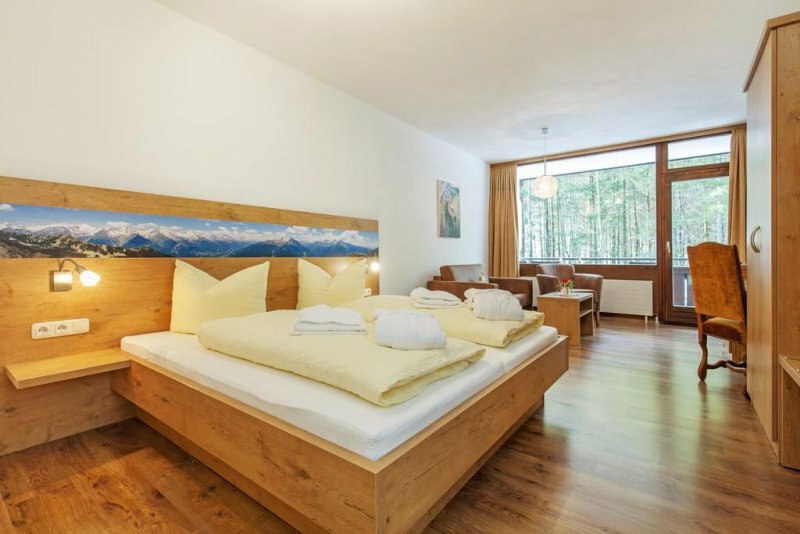 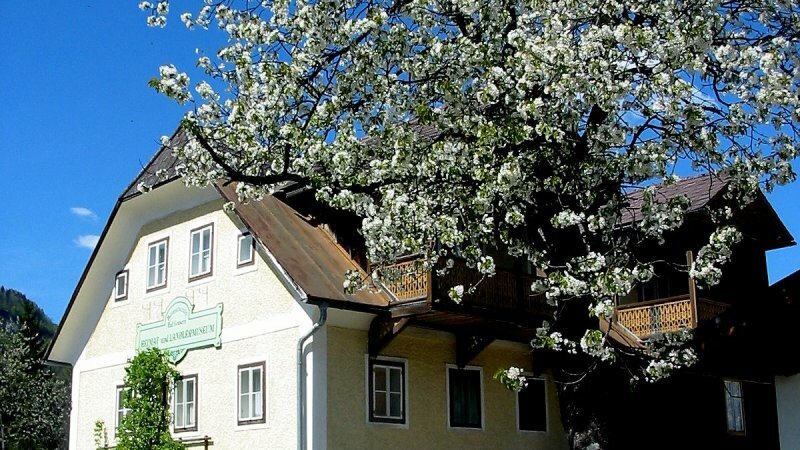 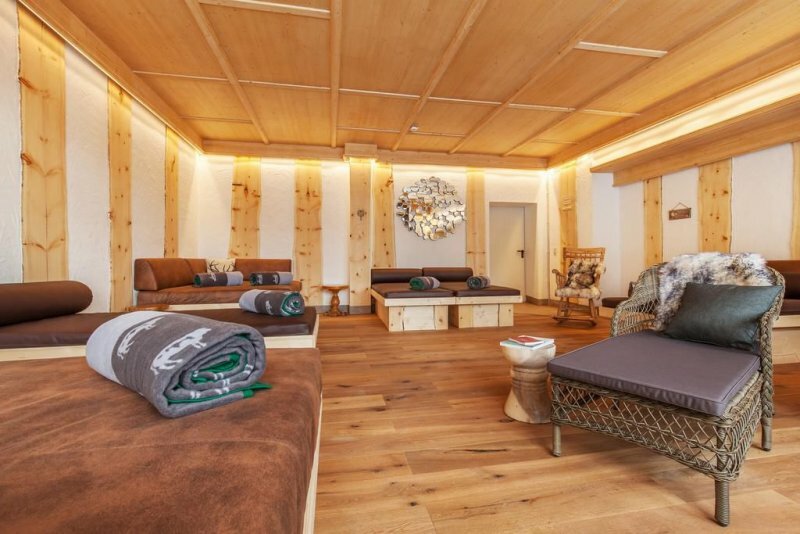 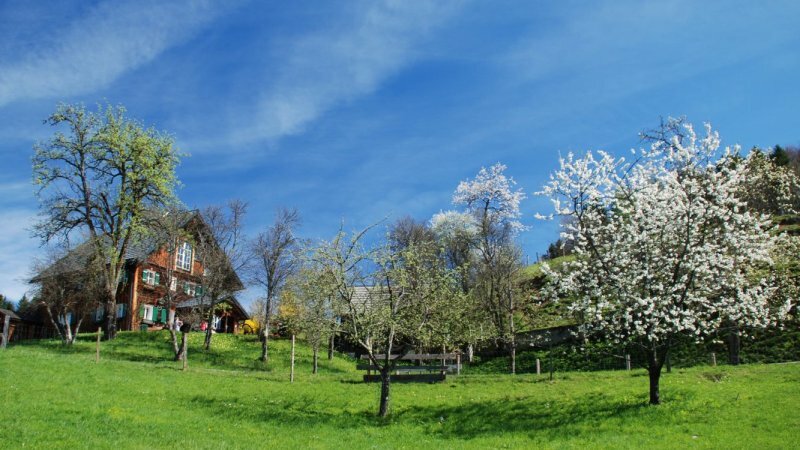 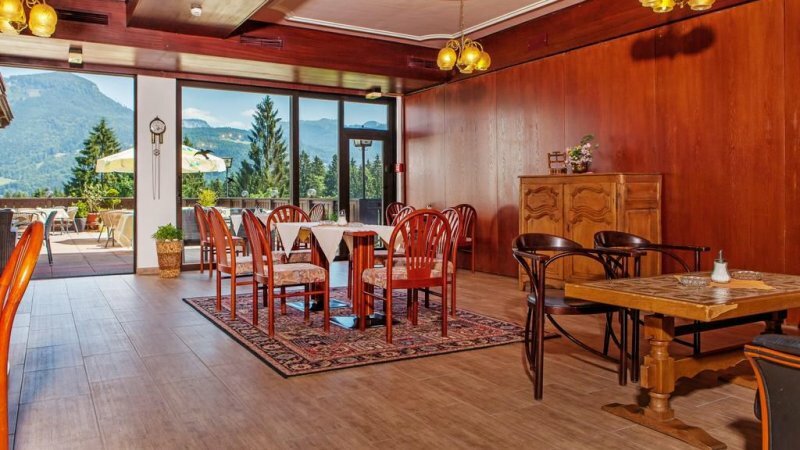 The Alpenhotel Dachstein in Bad Goisern benefits from a superb location above the spa resort of Bad Goisern, and yet is just 3km from the main village centre. 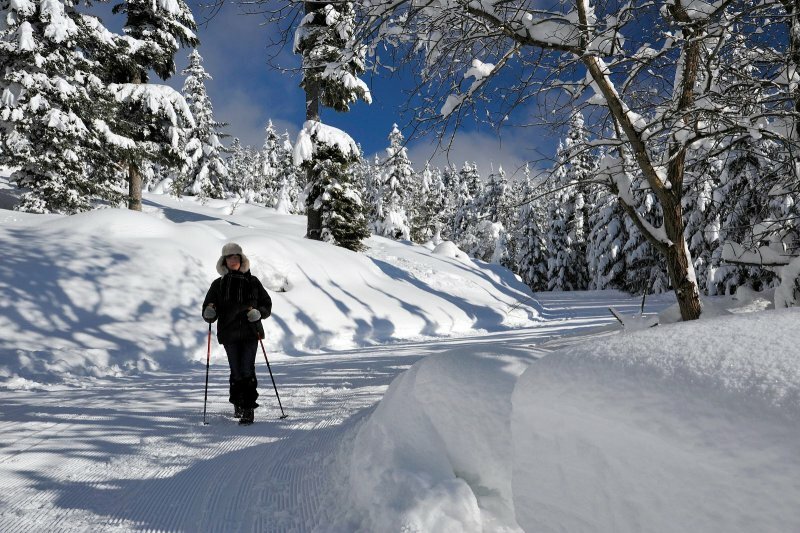 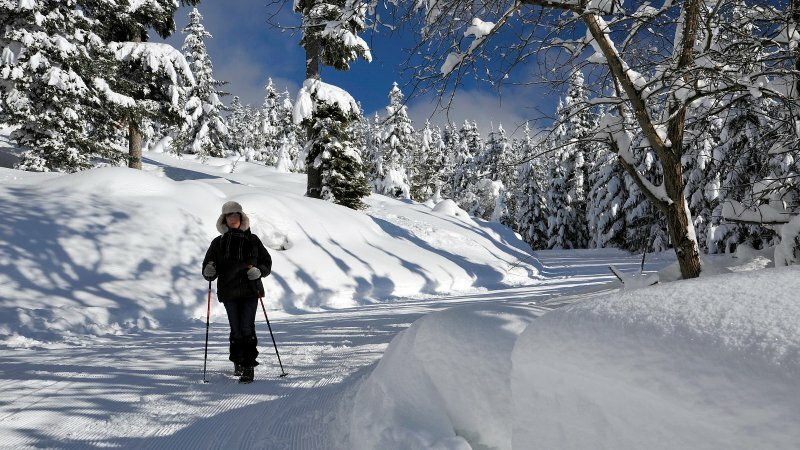 Experience nature at its most spectacular, all year round. 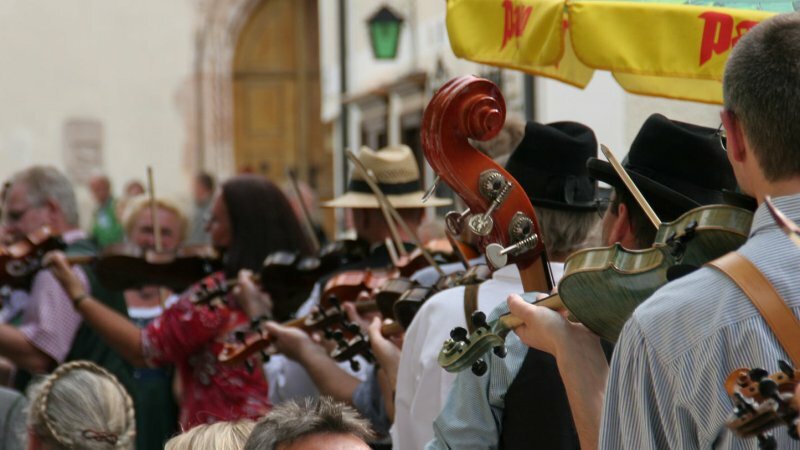 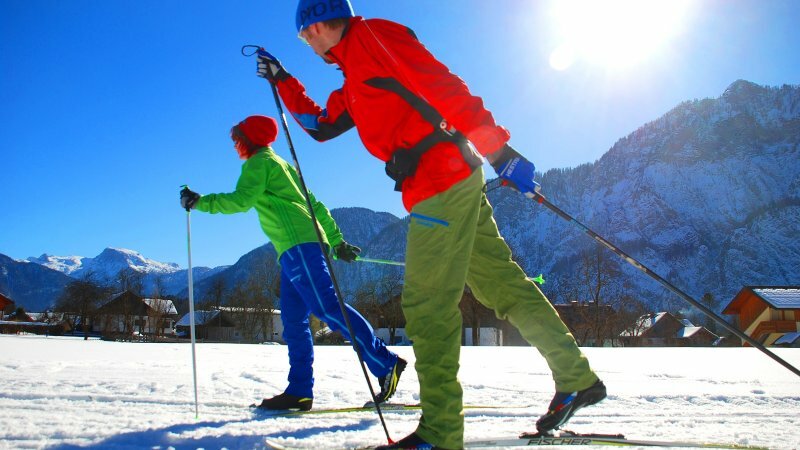 Whatever your free time interests, there are endless opportunities all year round. 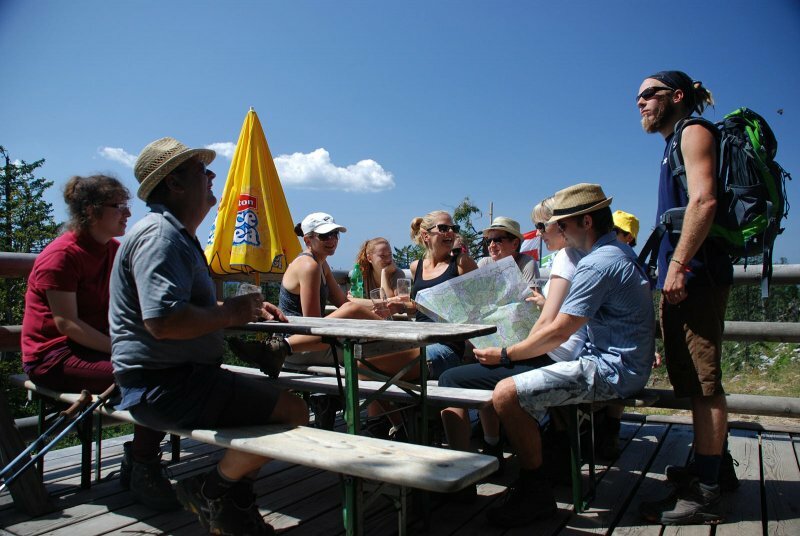 The most popular visitor destinations are all situated close by. 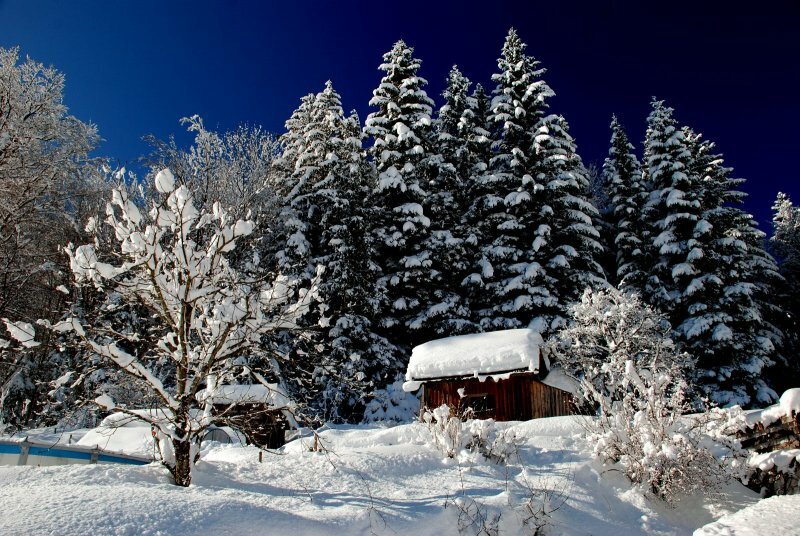 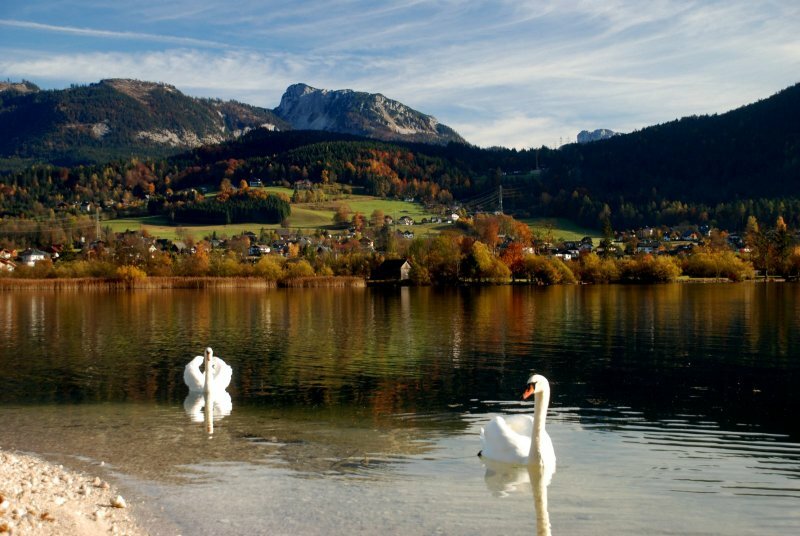 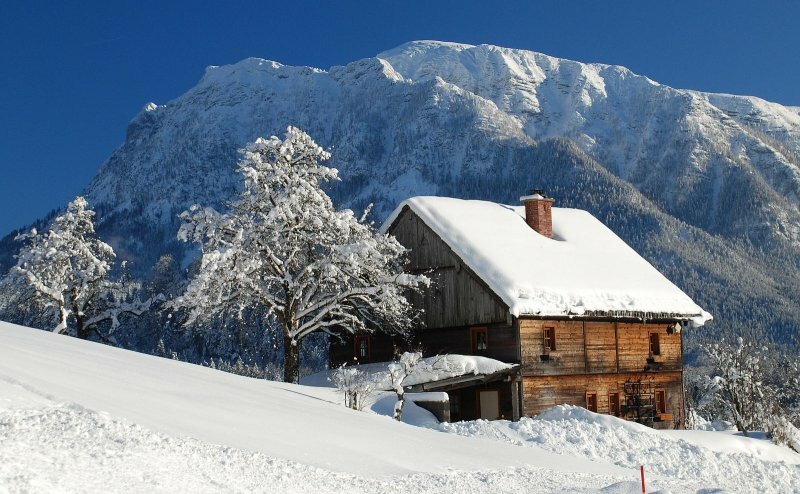 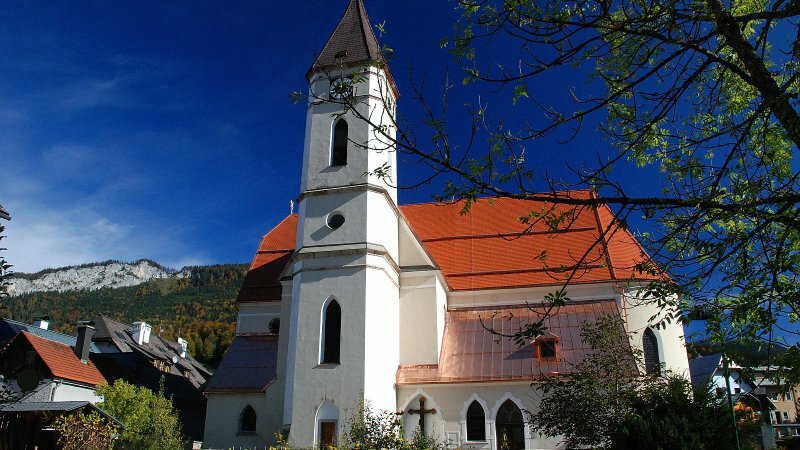 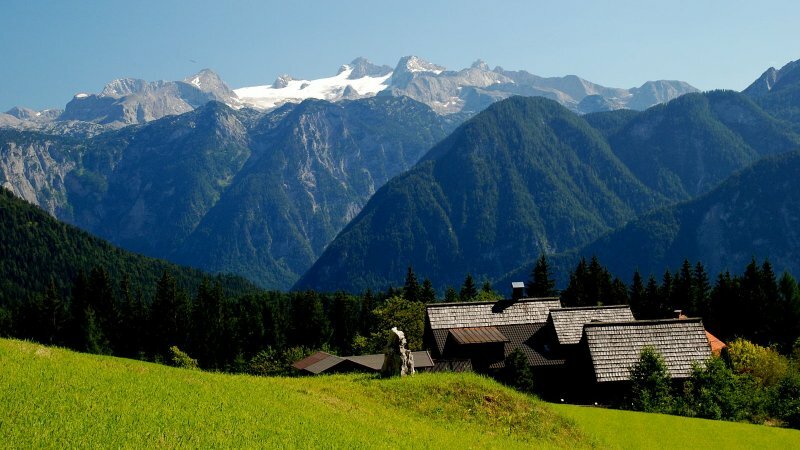 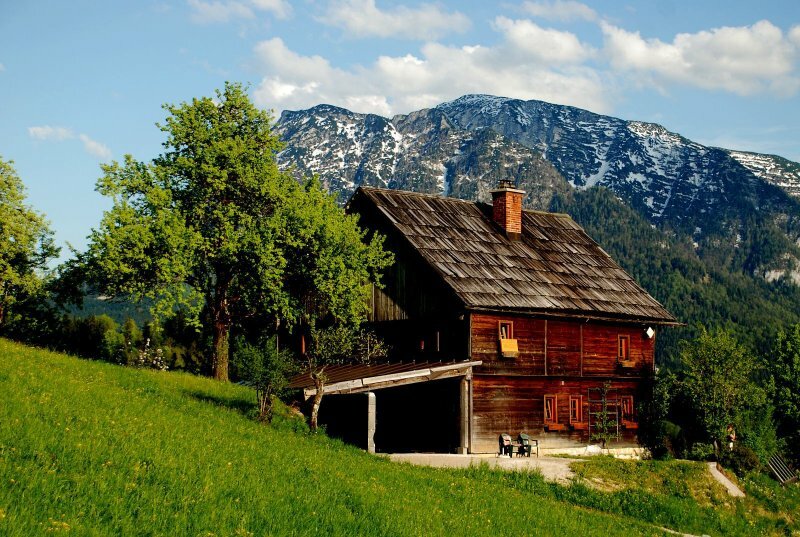 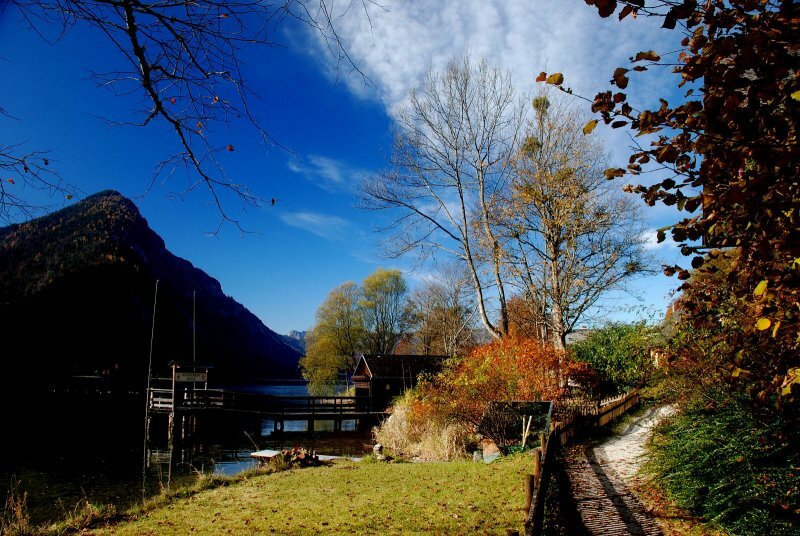 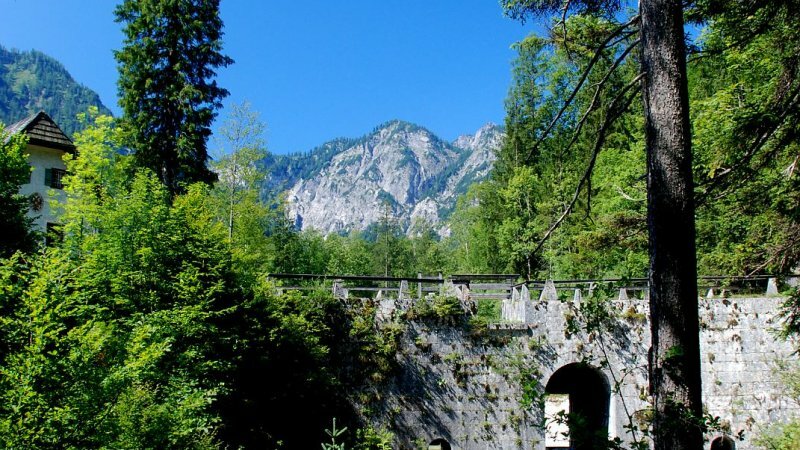 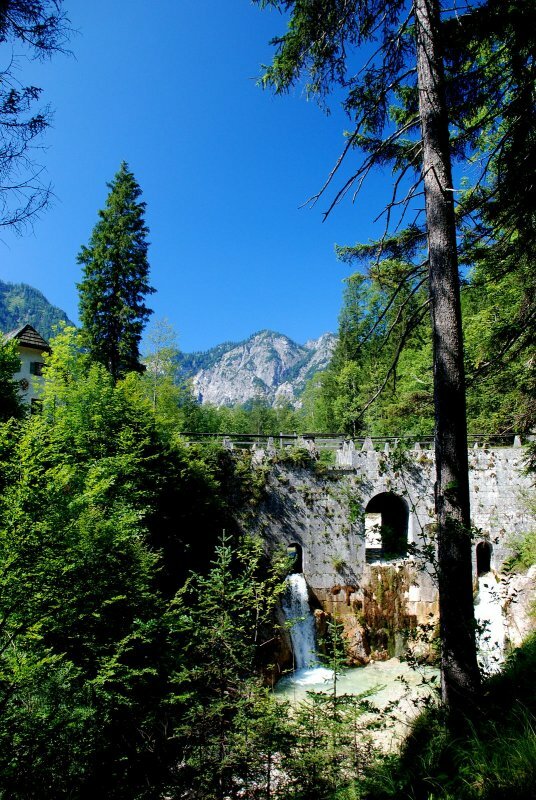 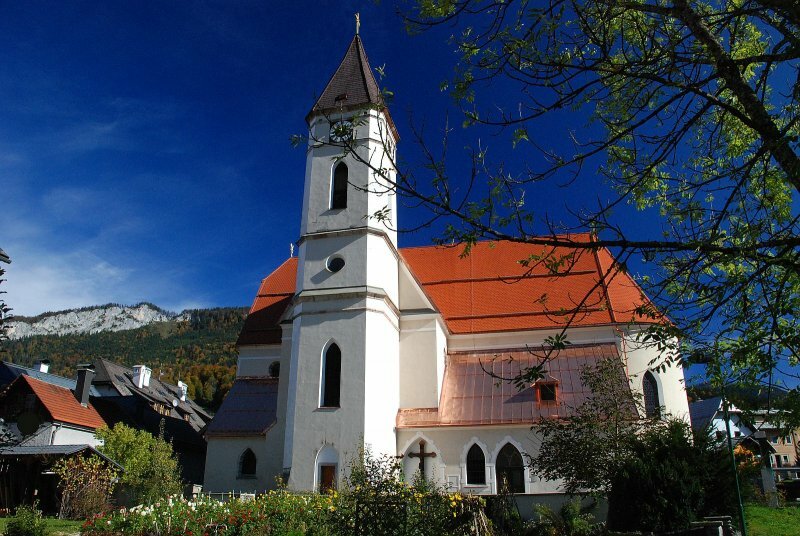 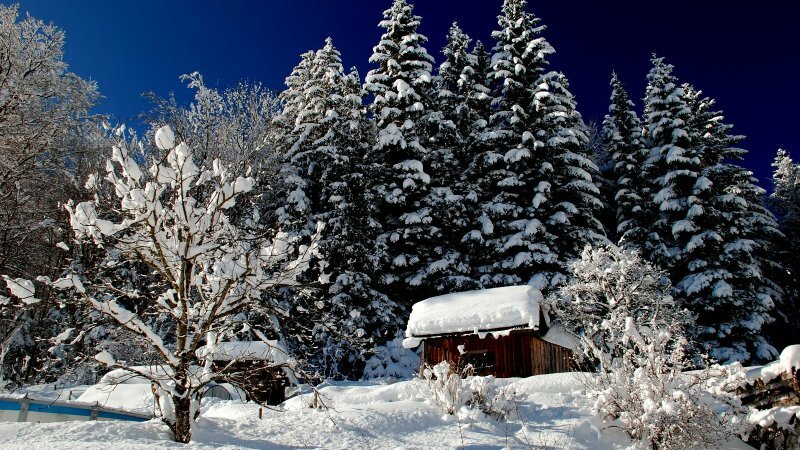 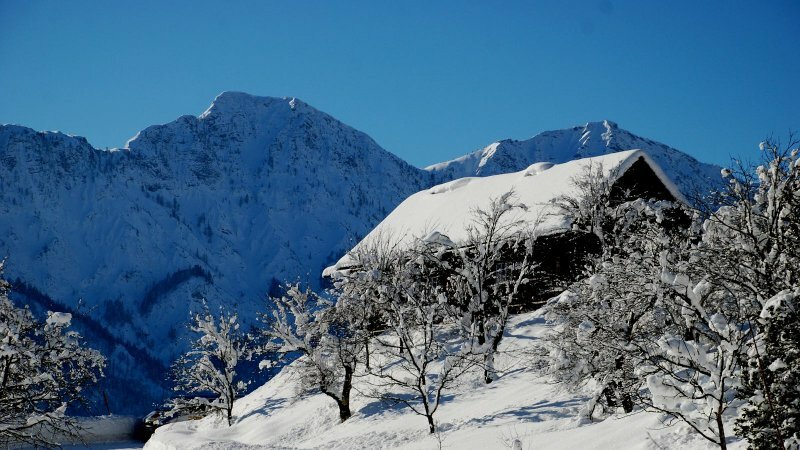 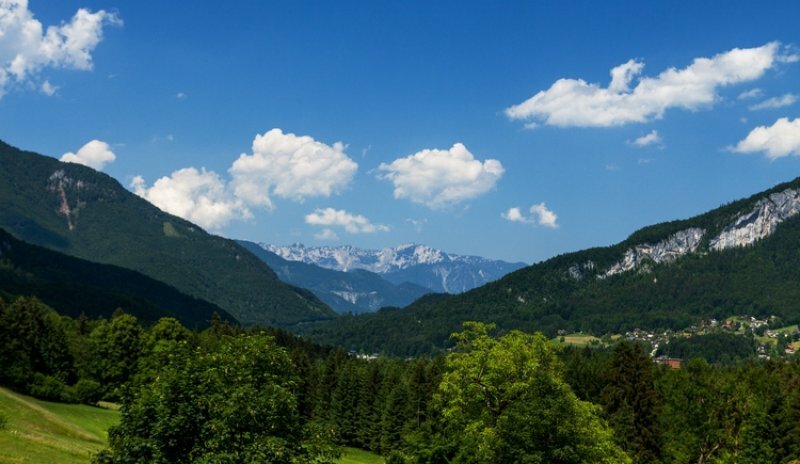 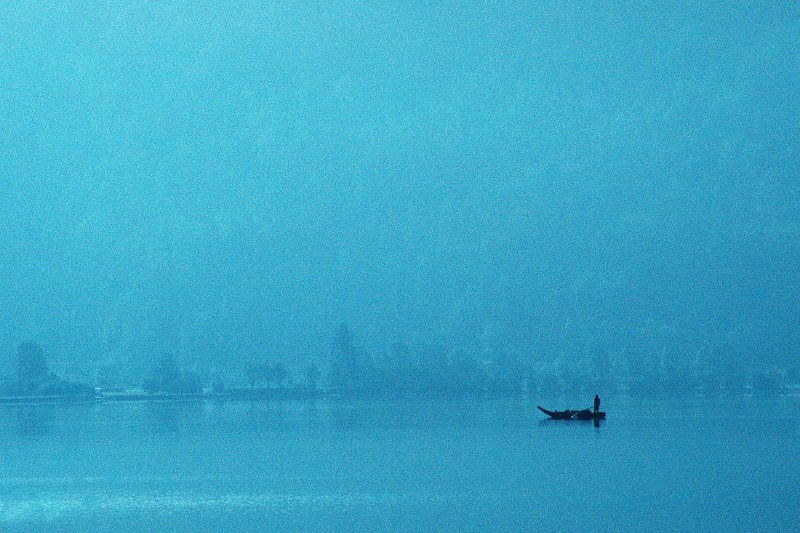 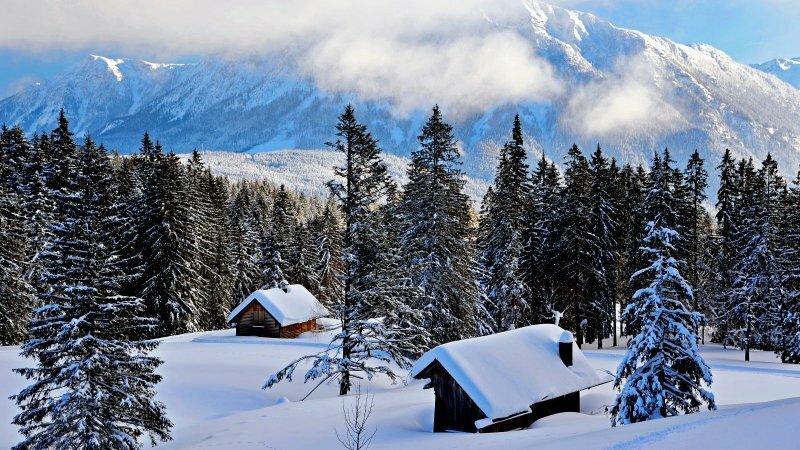 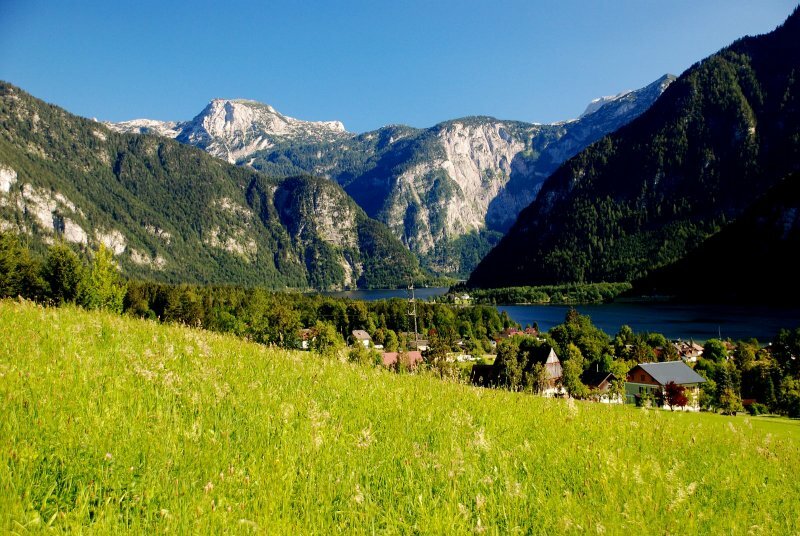 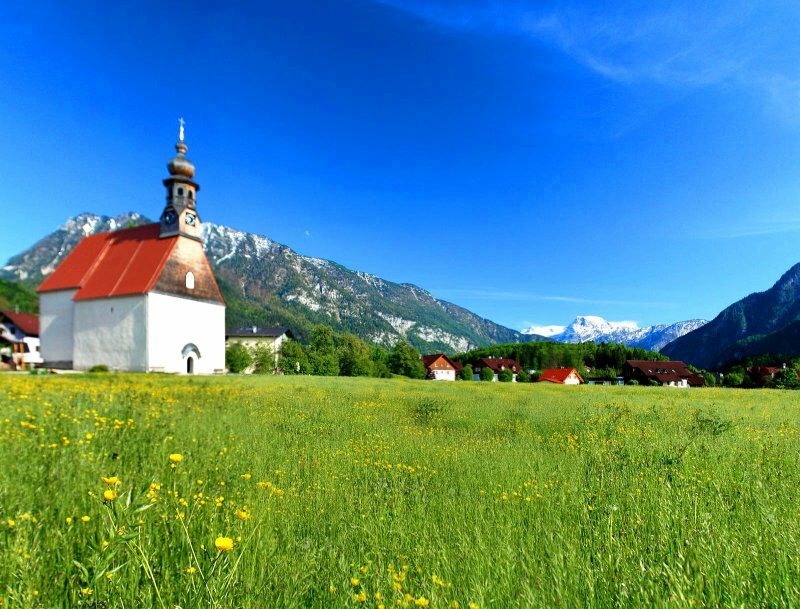 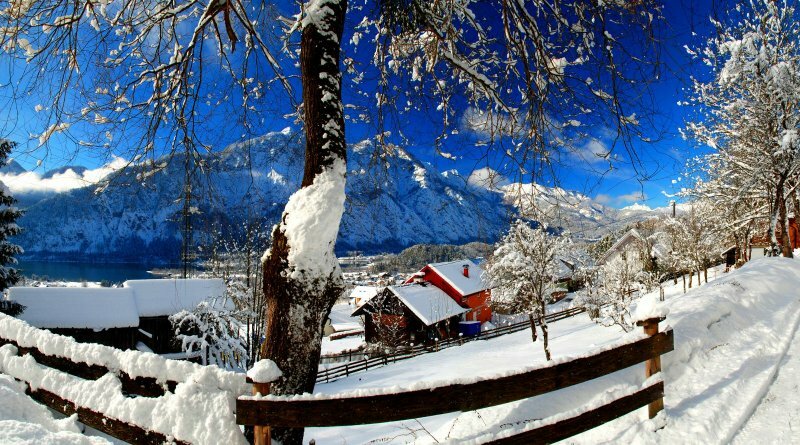 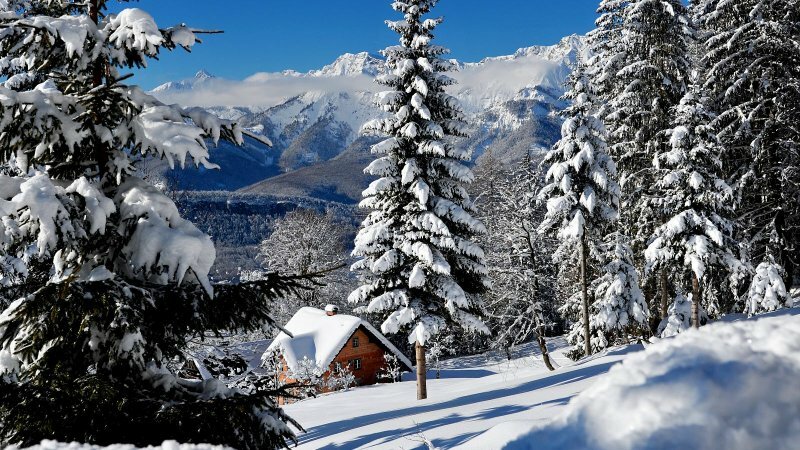 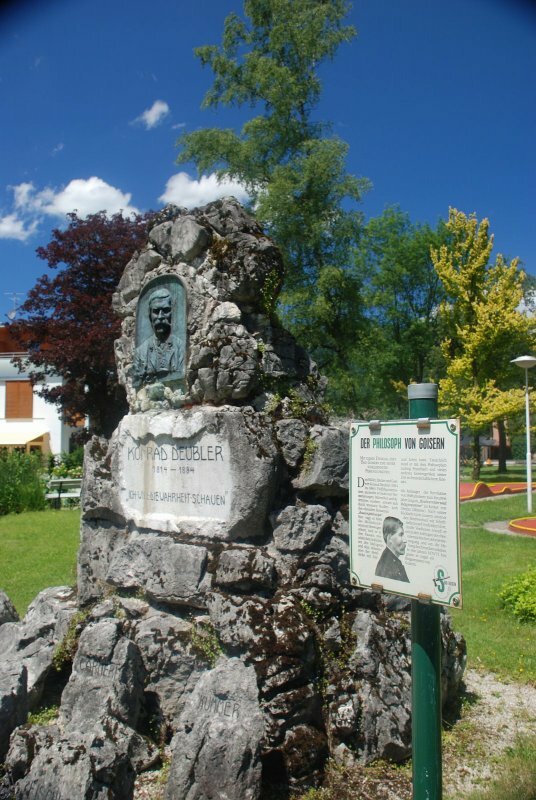 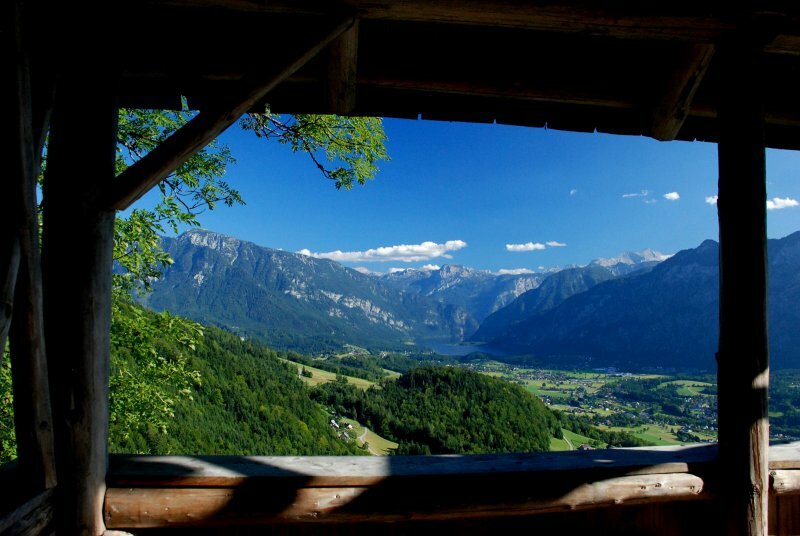 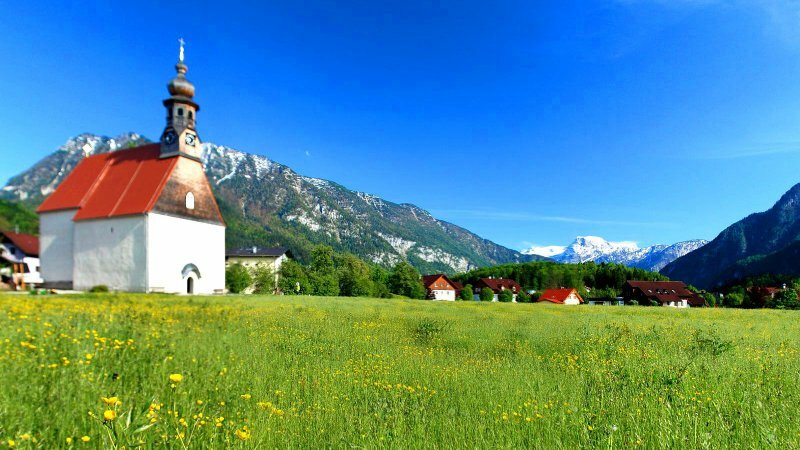 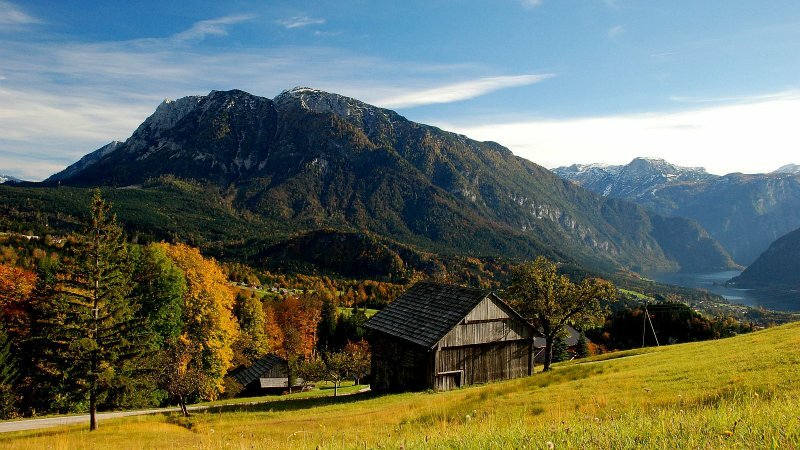 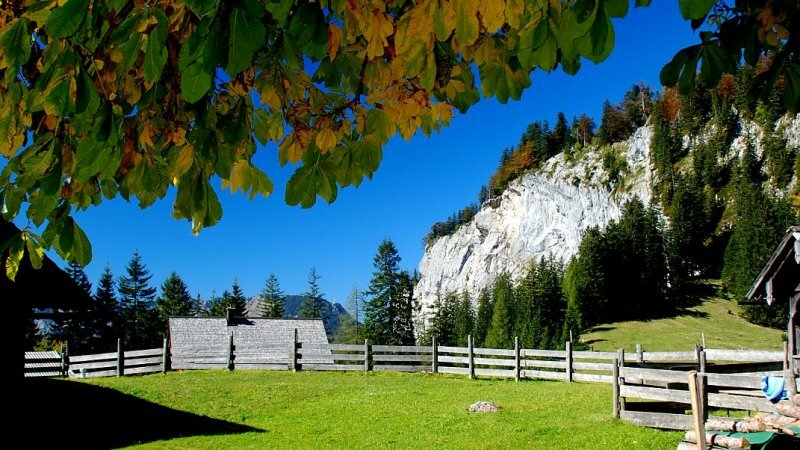 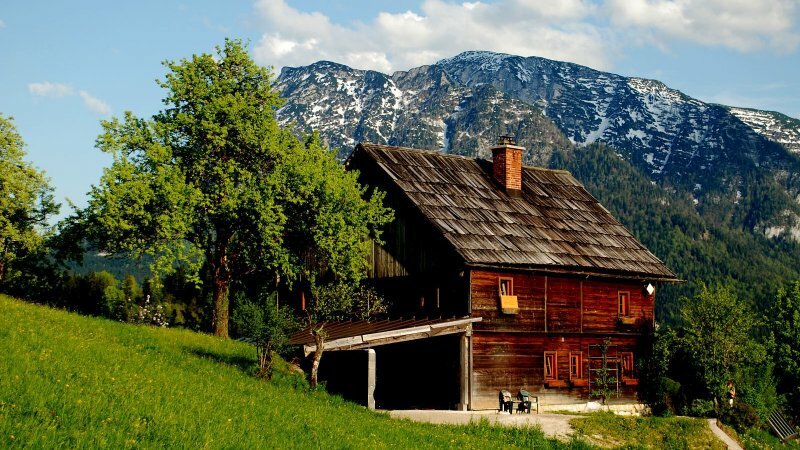 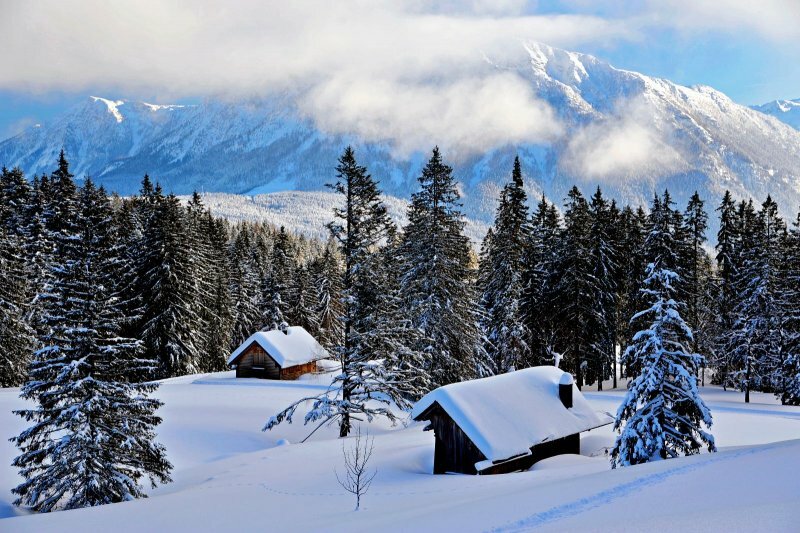 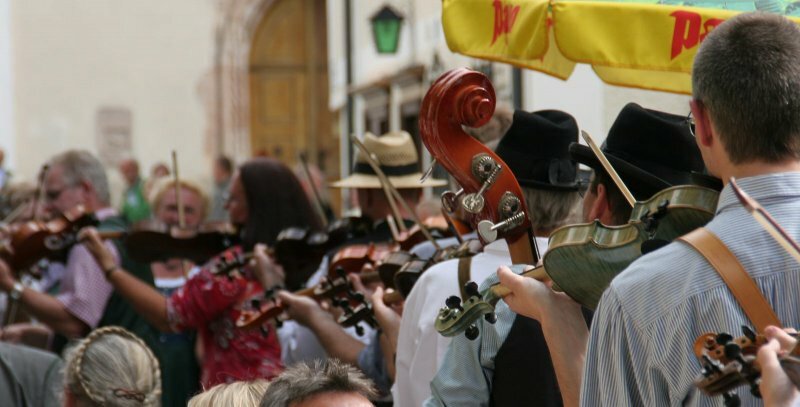 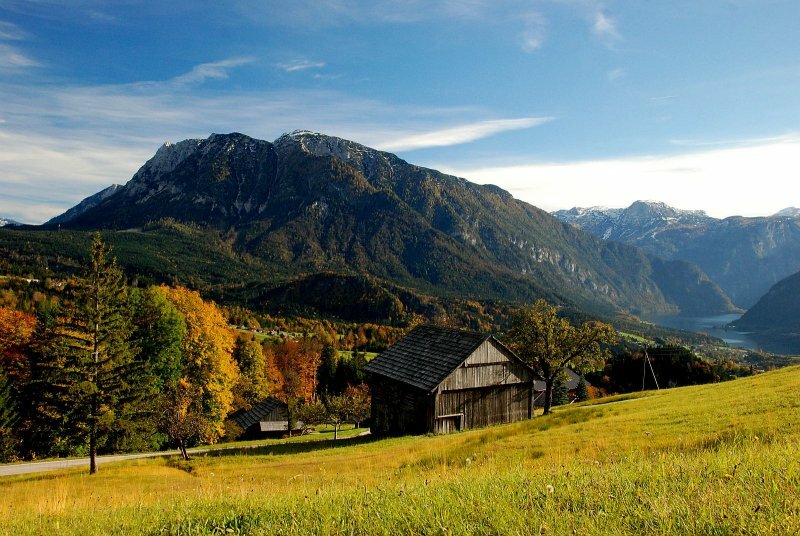 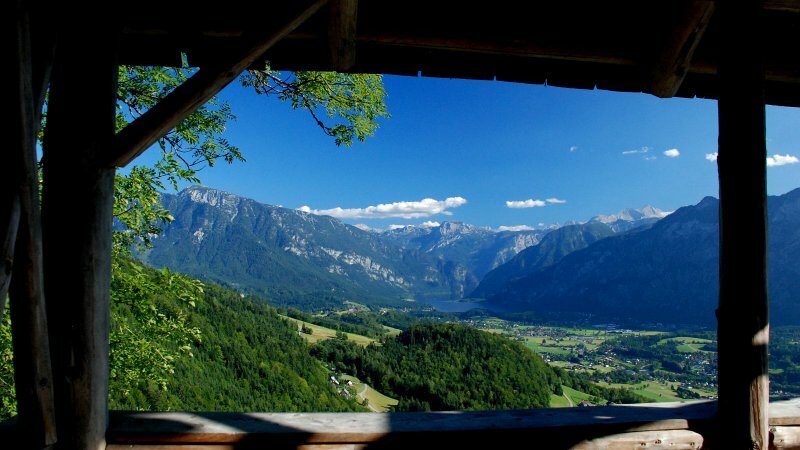 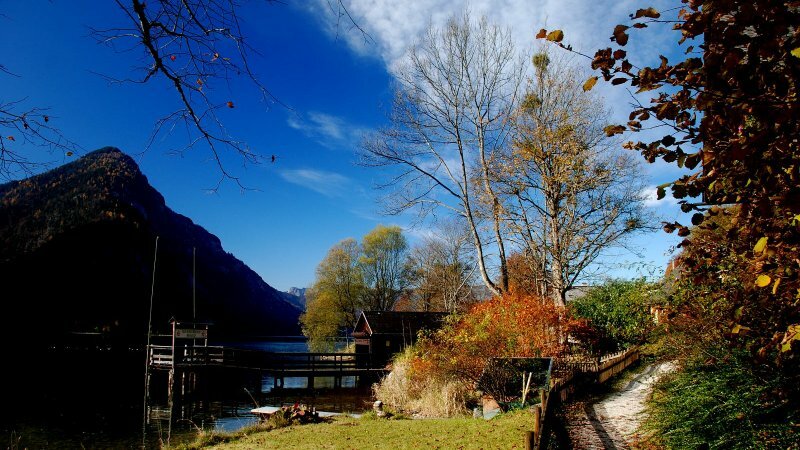 These include the World Heritage Site Hallstatt or Kaiser town Bad Ischl. 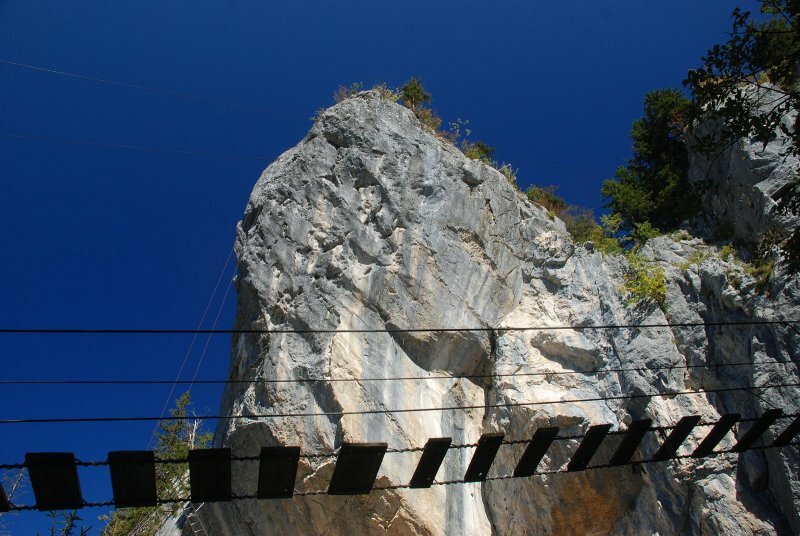 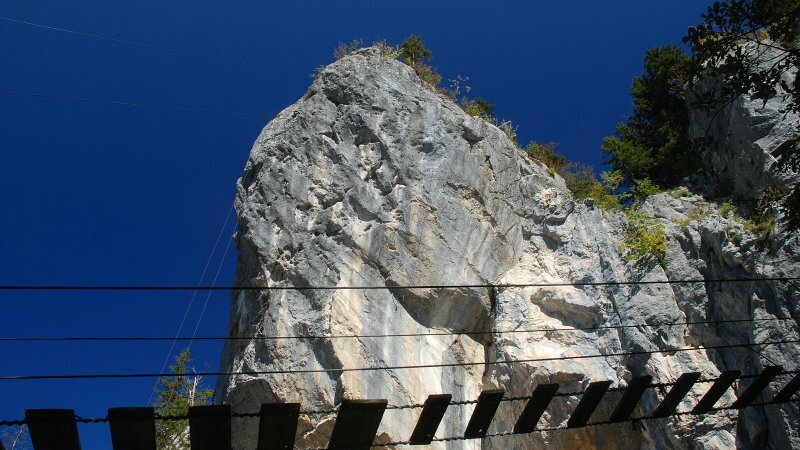 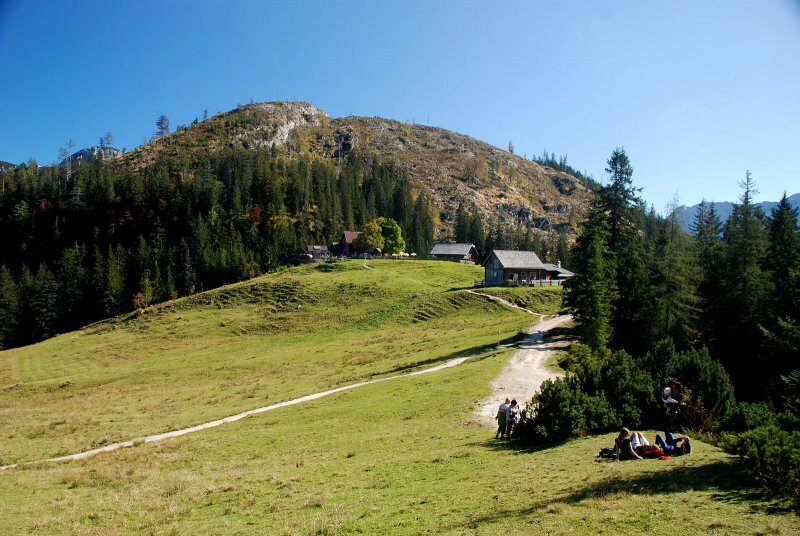 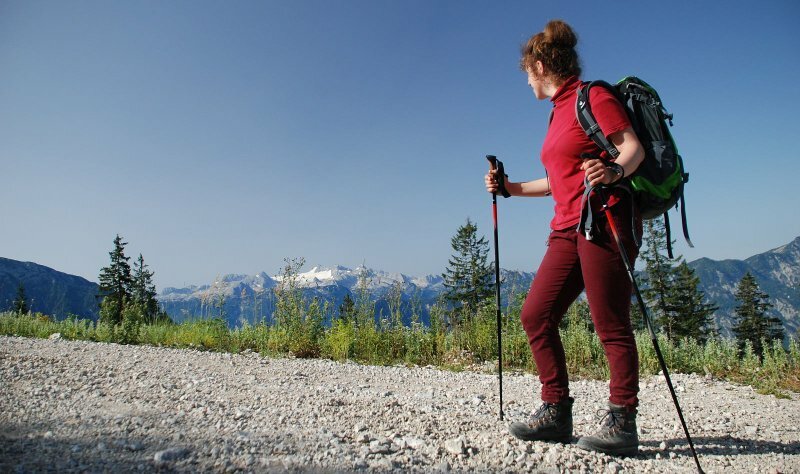 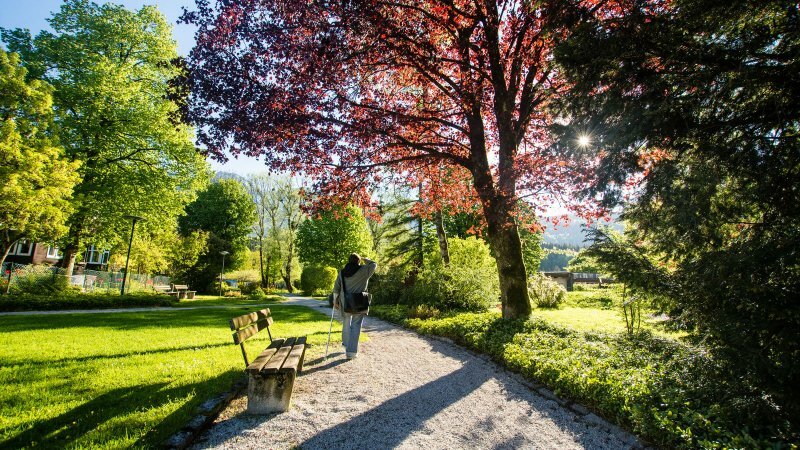 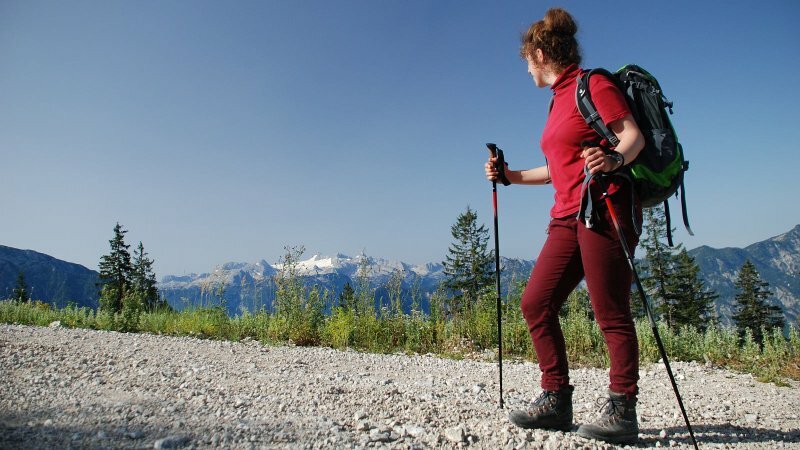 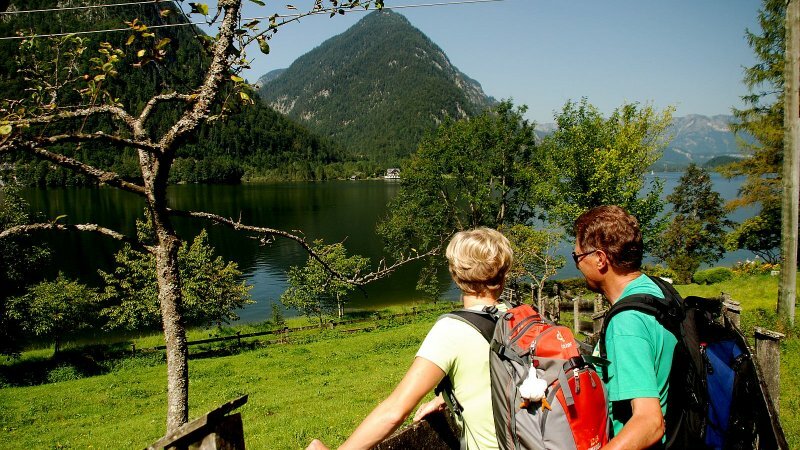 Numerous hiking trails and walking paths are accessible from the hotel. 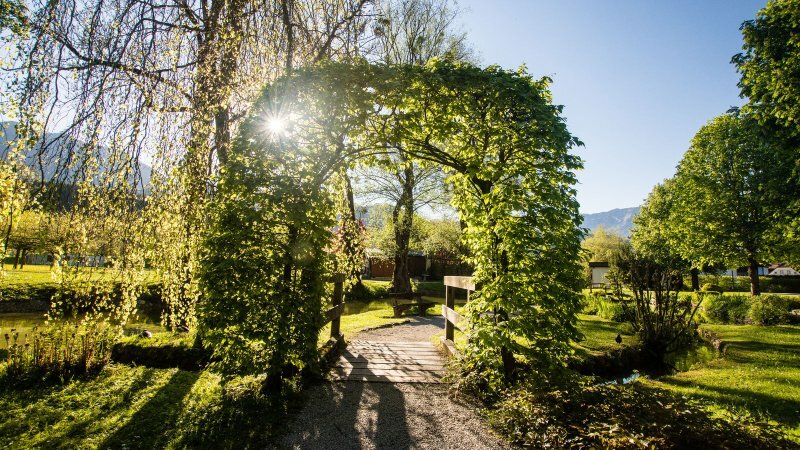 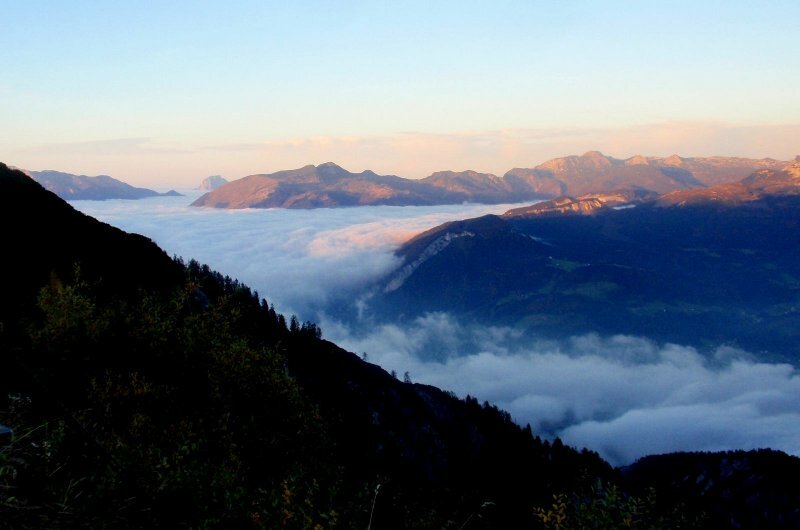 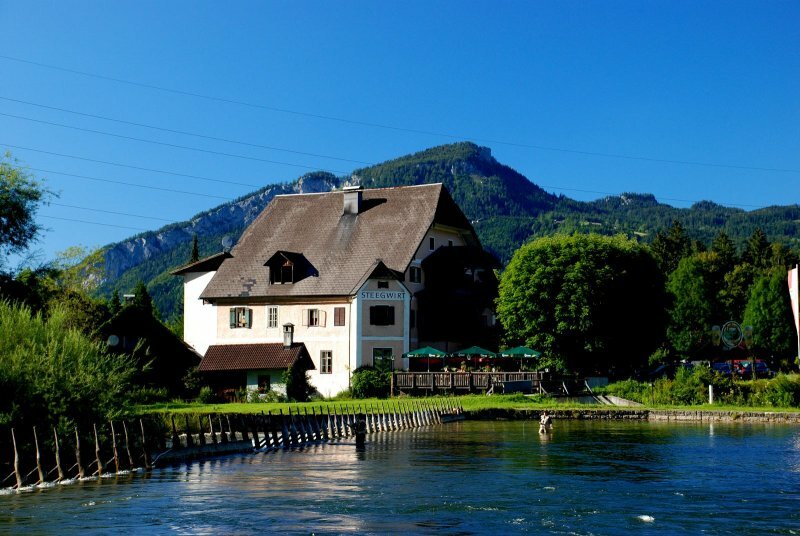 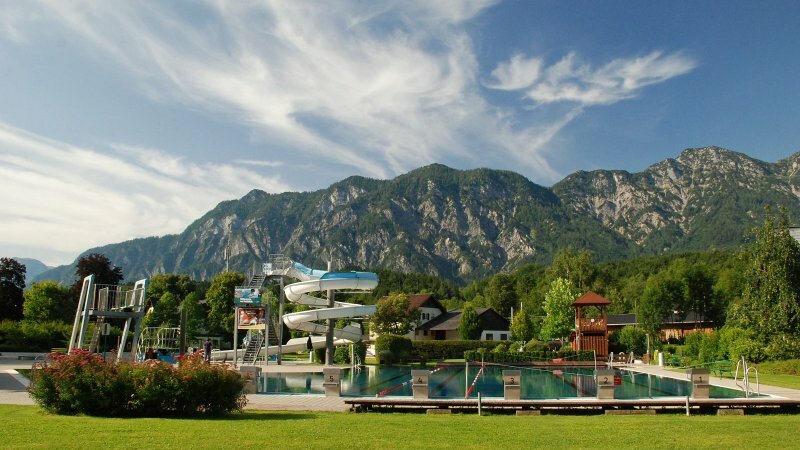 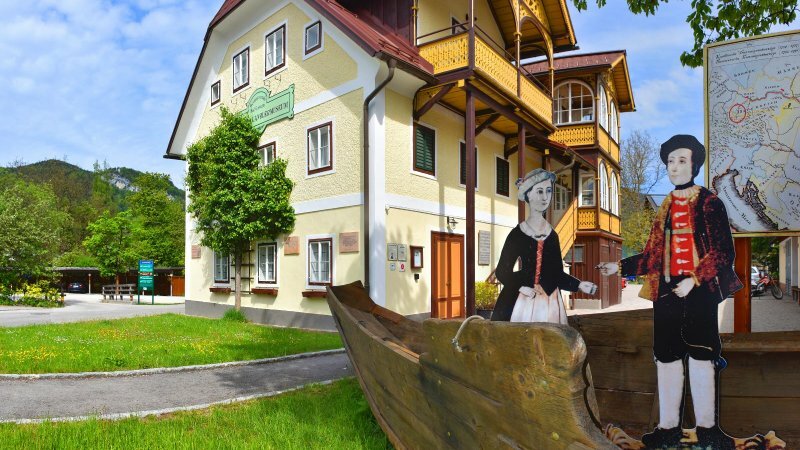 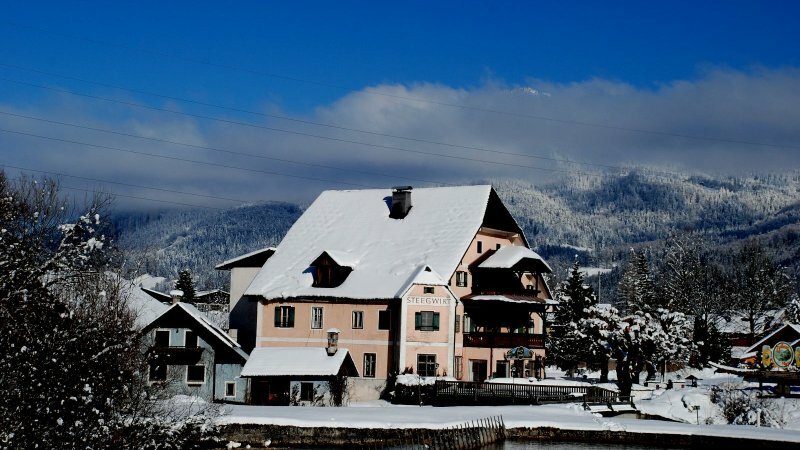 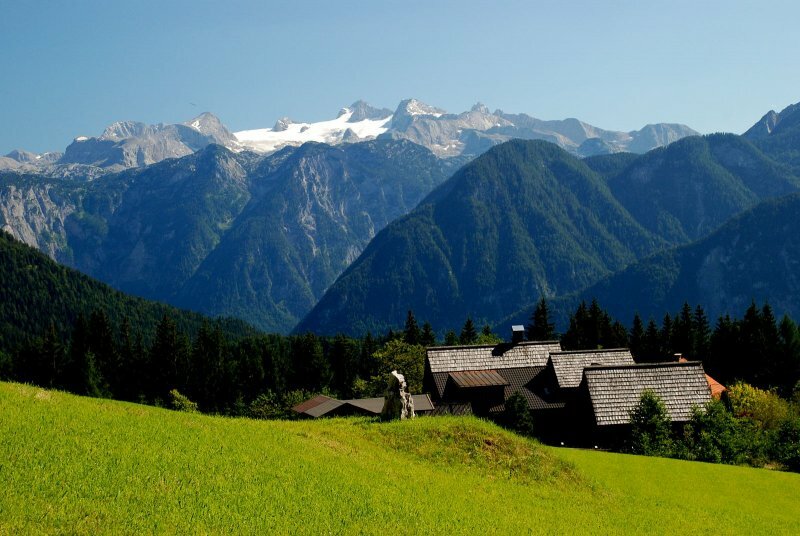 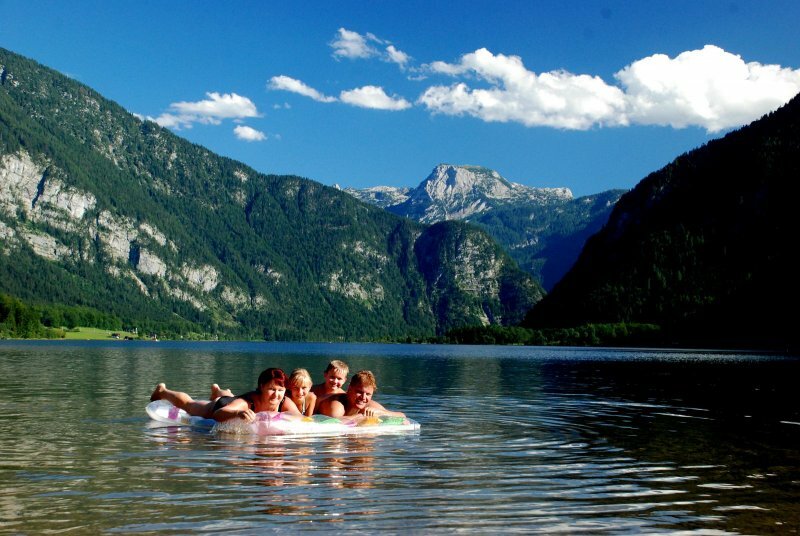 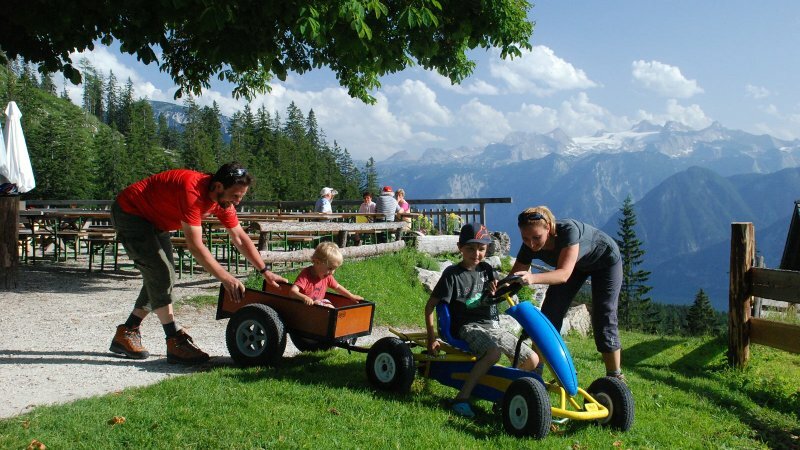 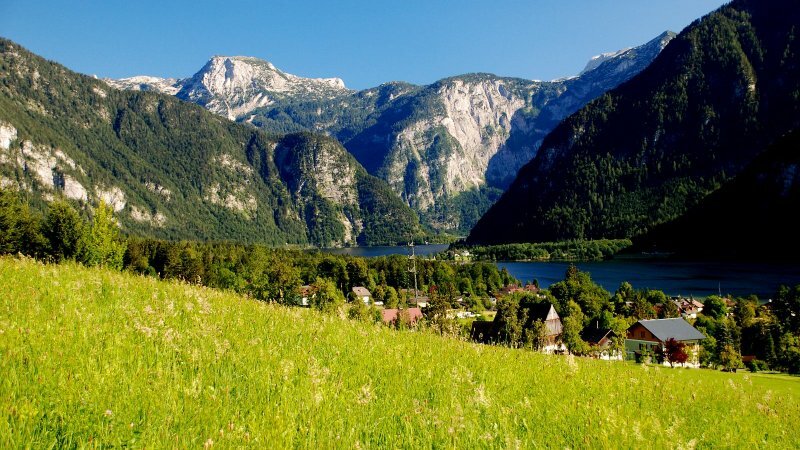 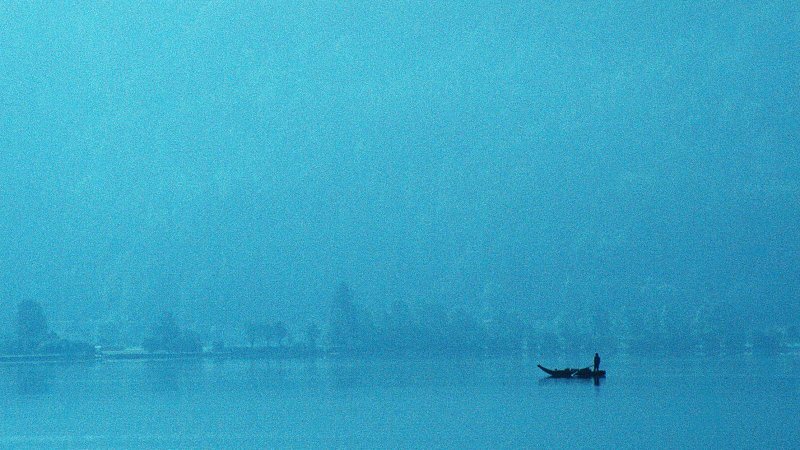 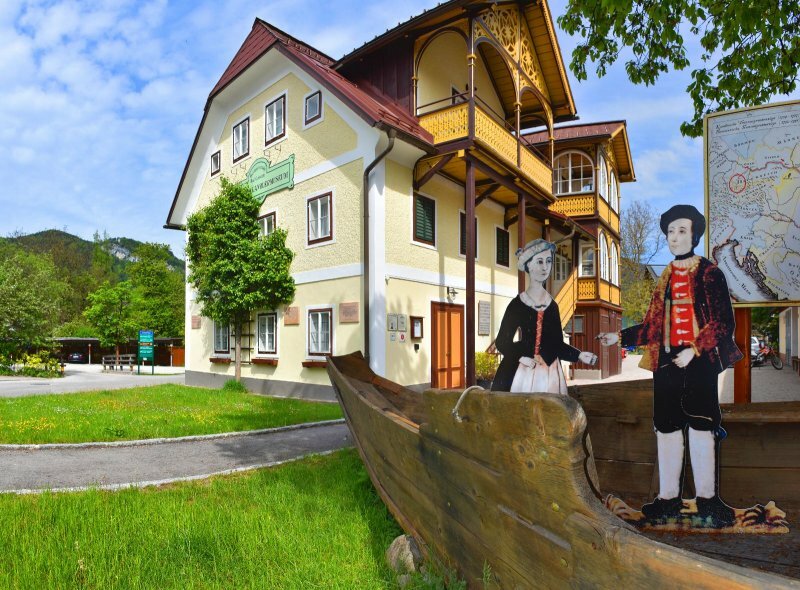 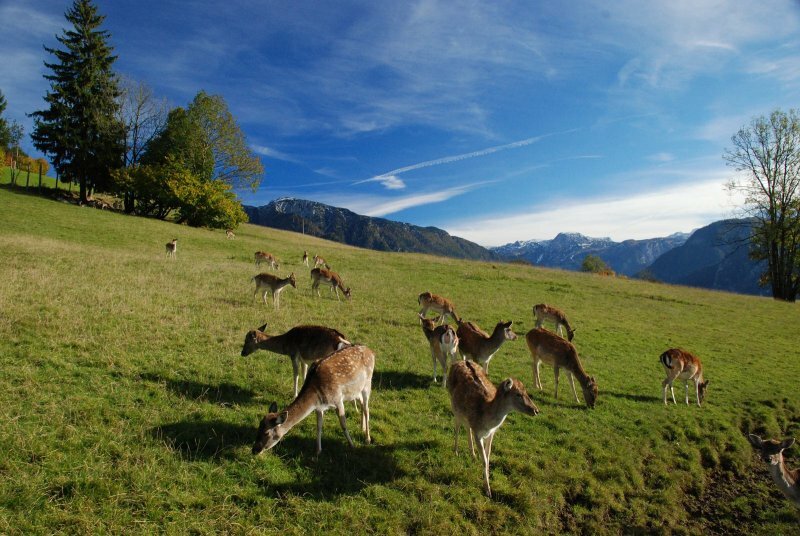 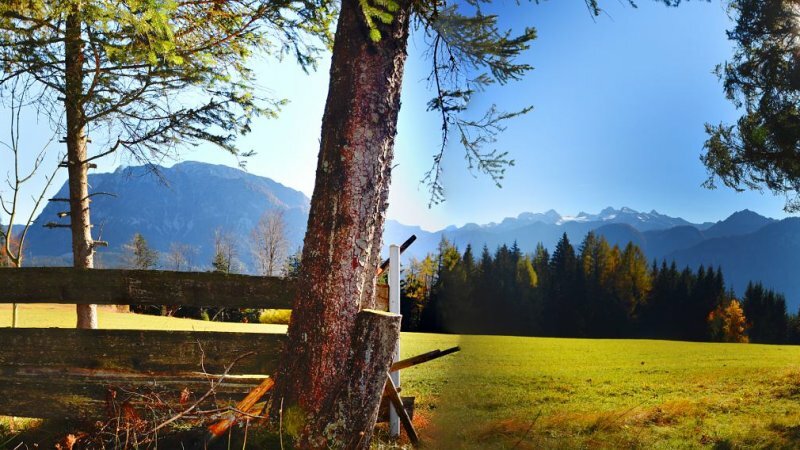 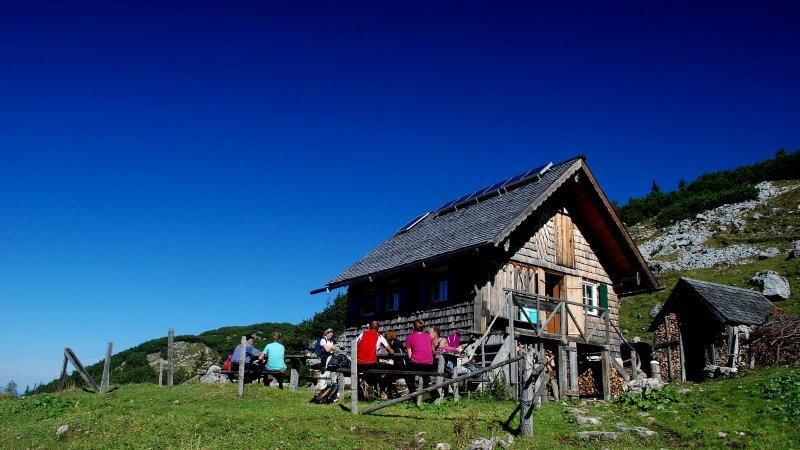 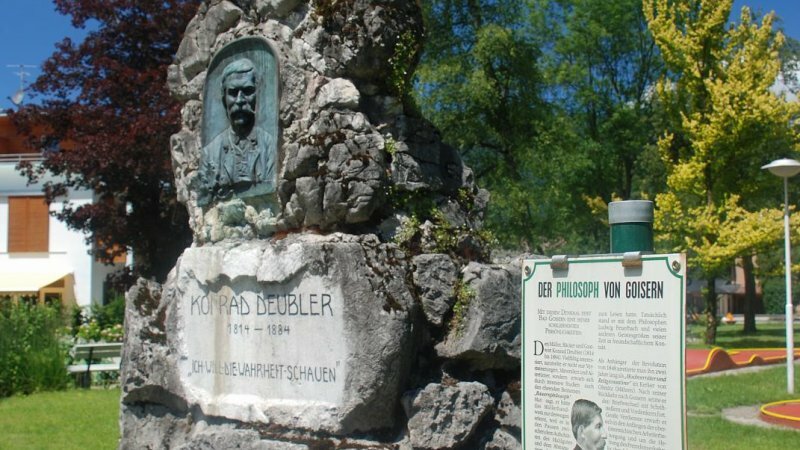 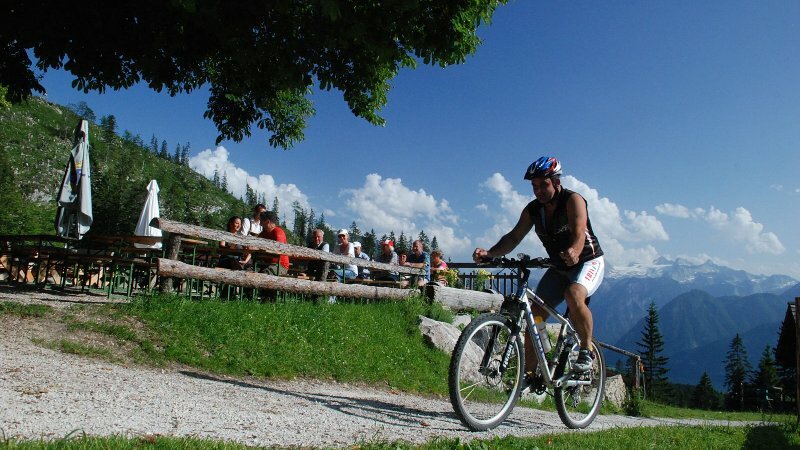 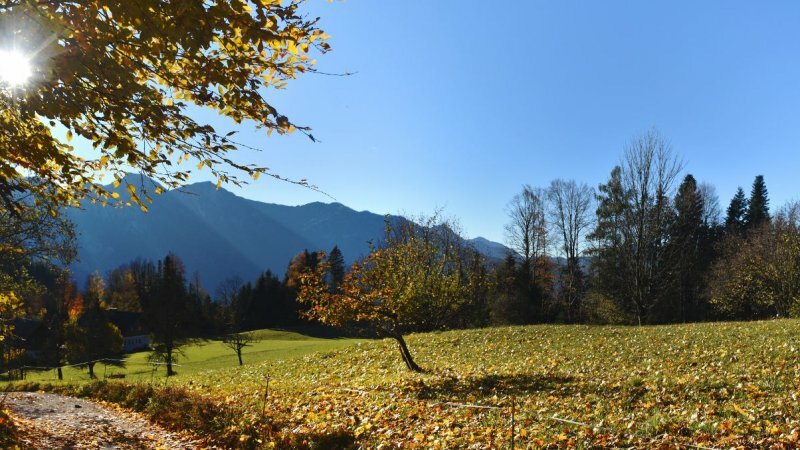 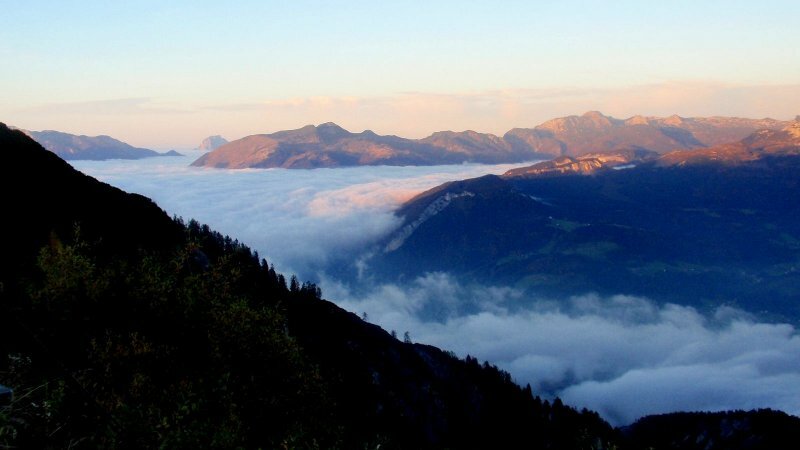 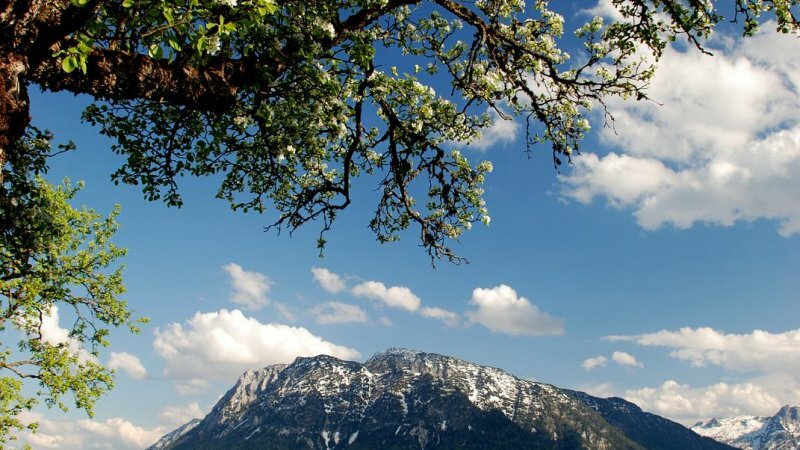 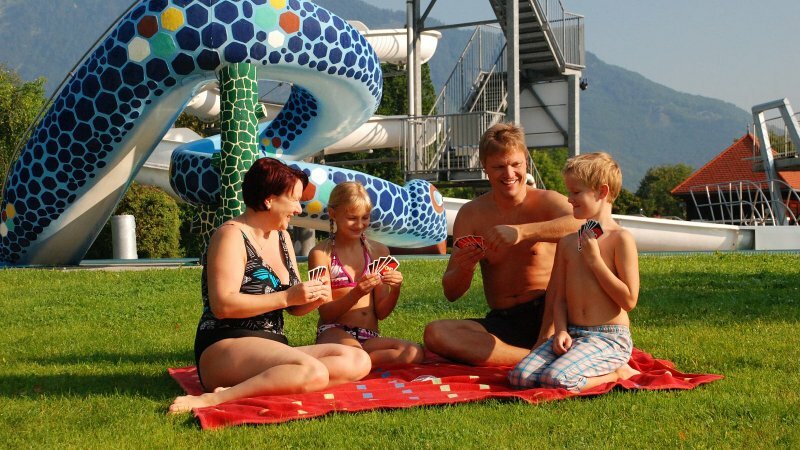 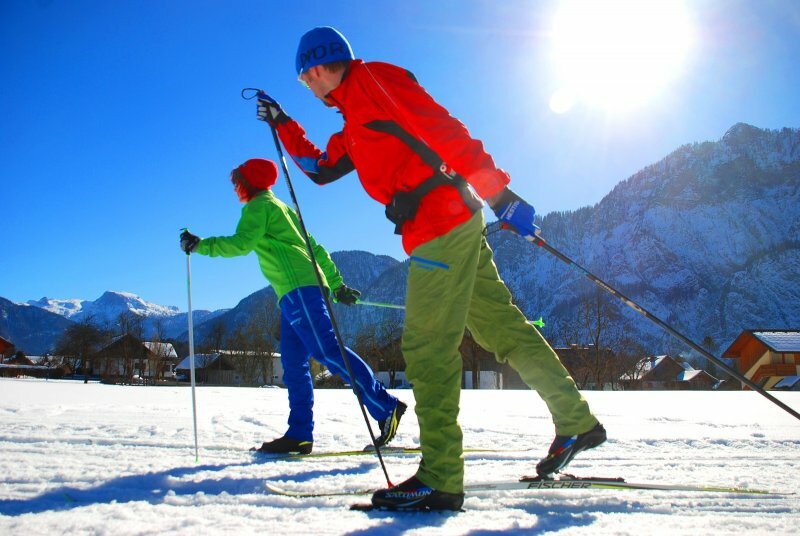 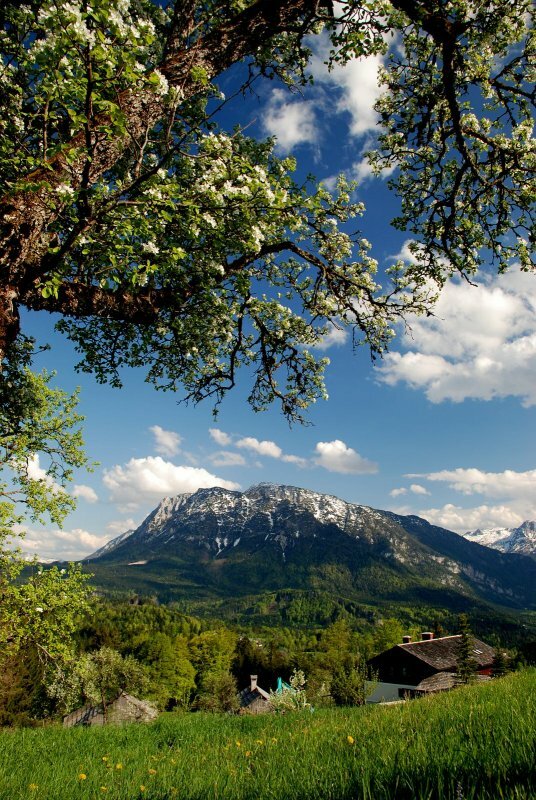 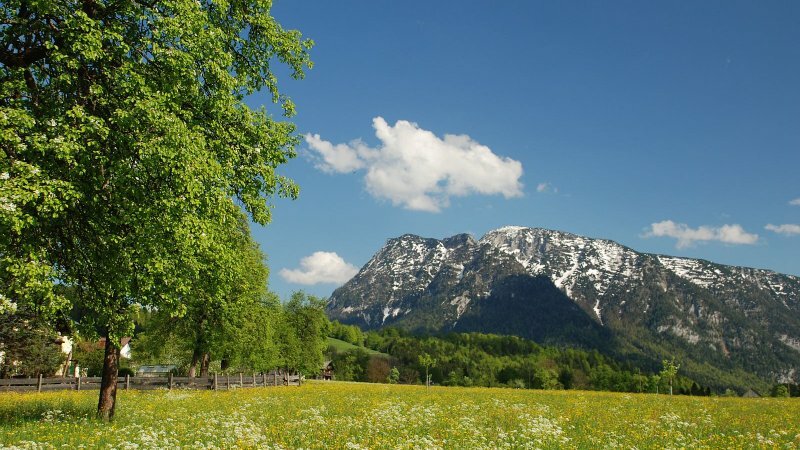 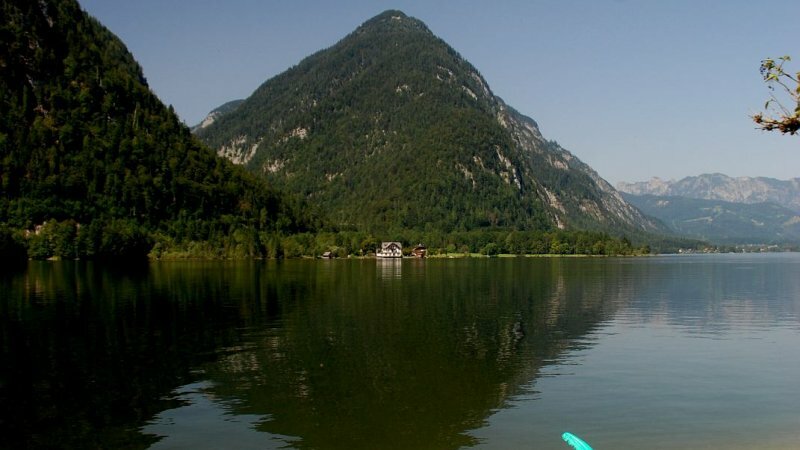 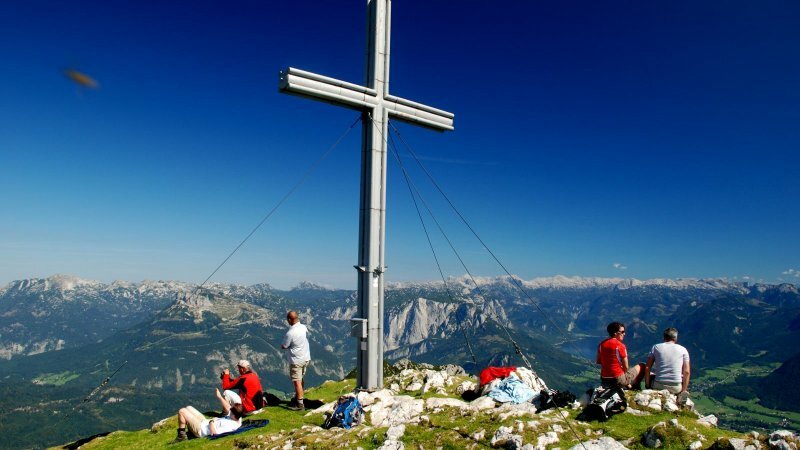 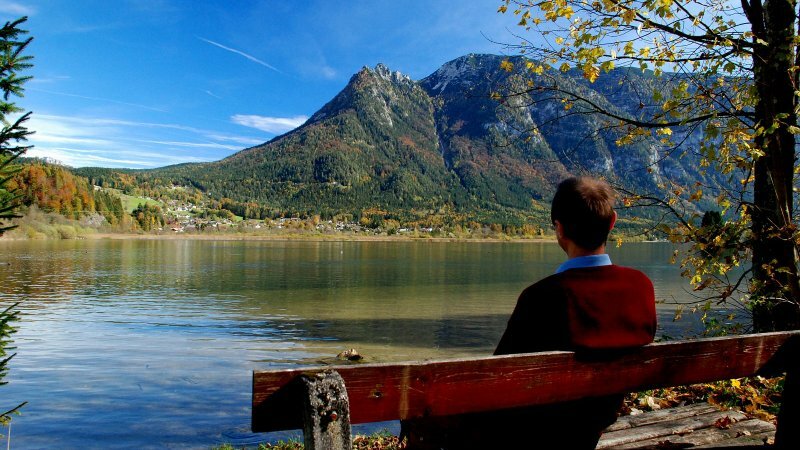 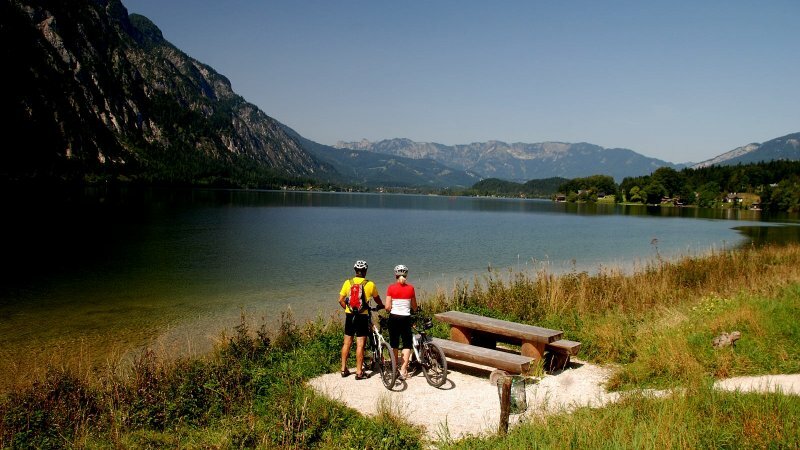 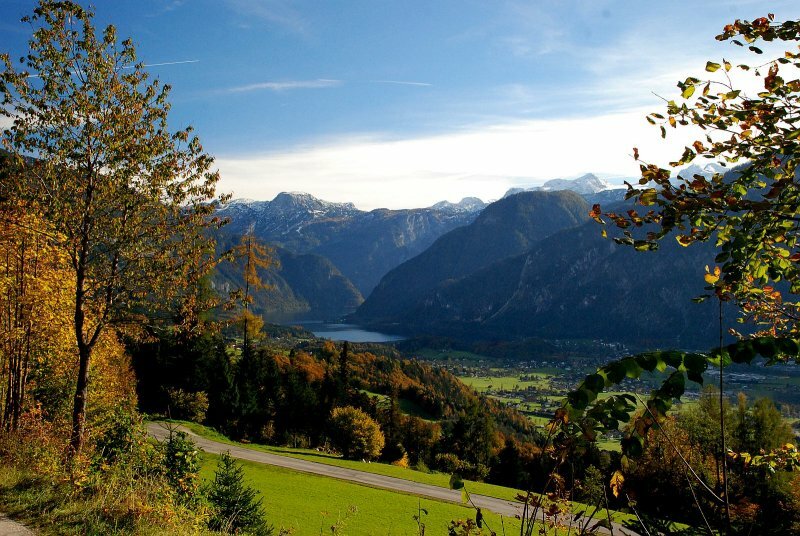 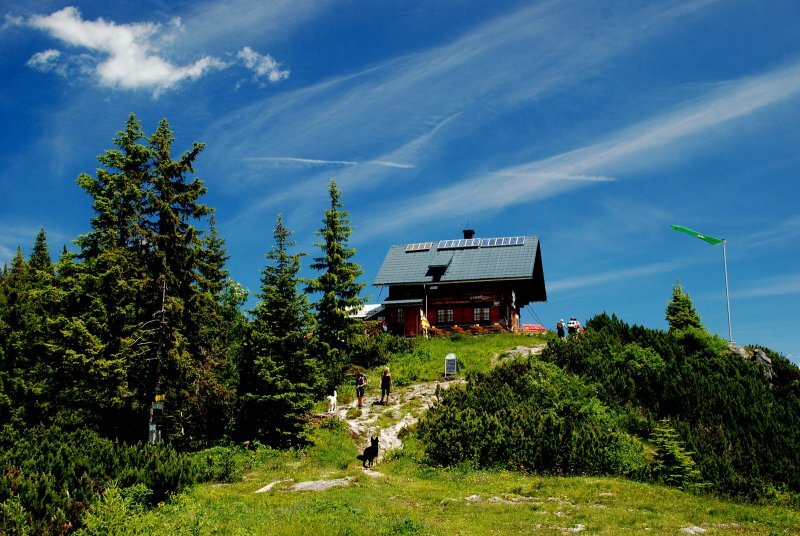 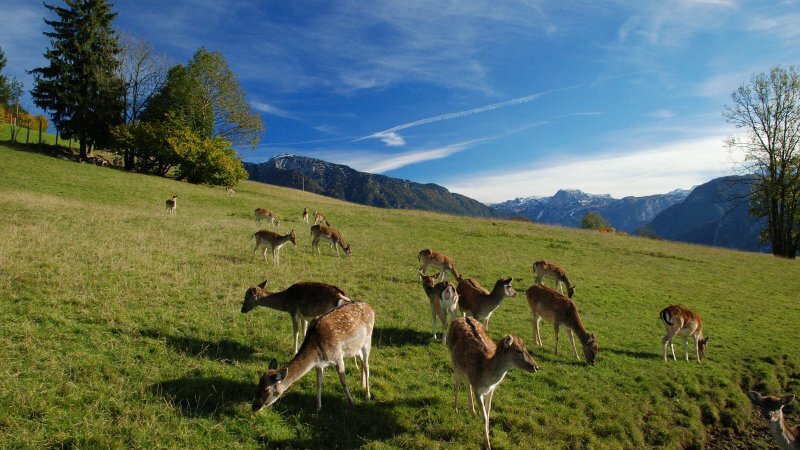 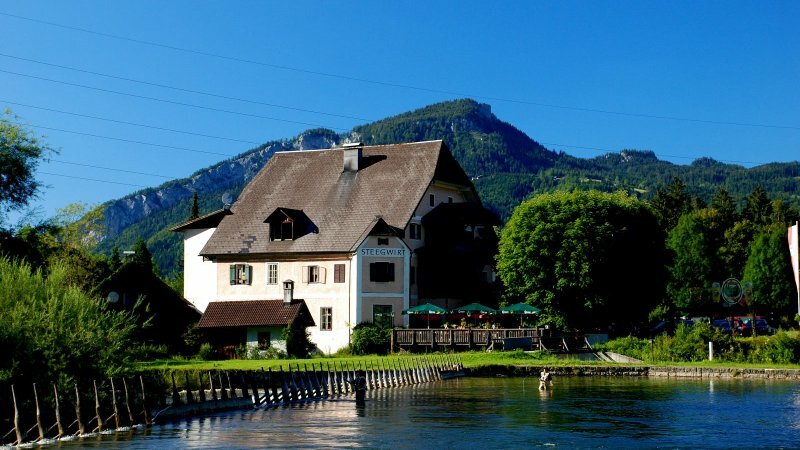 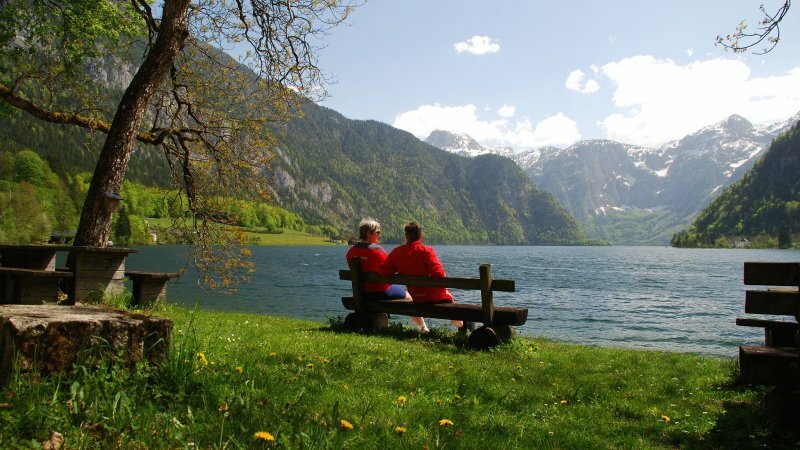 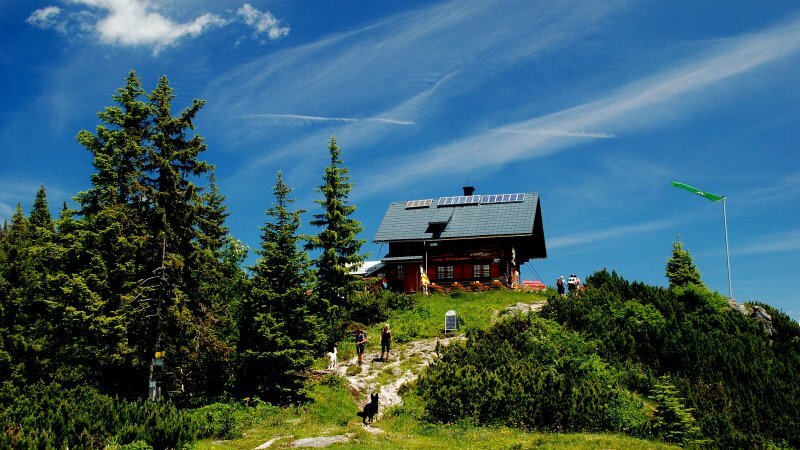 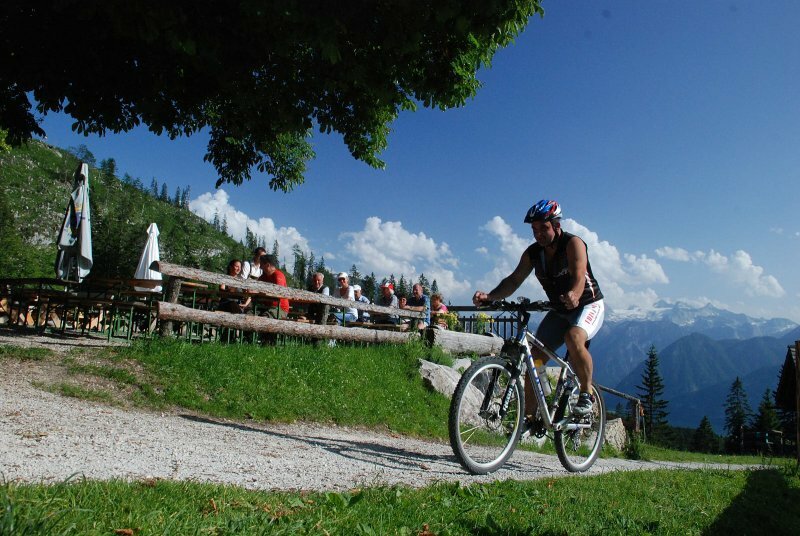 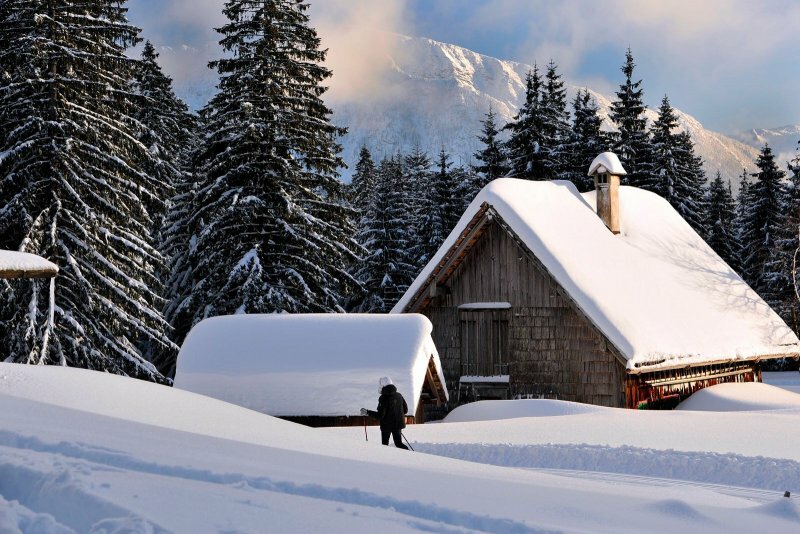 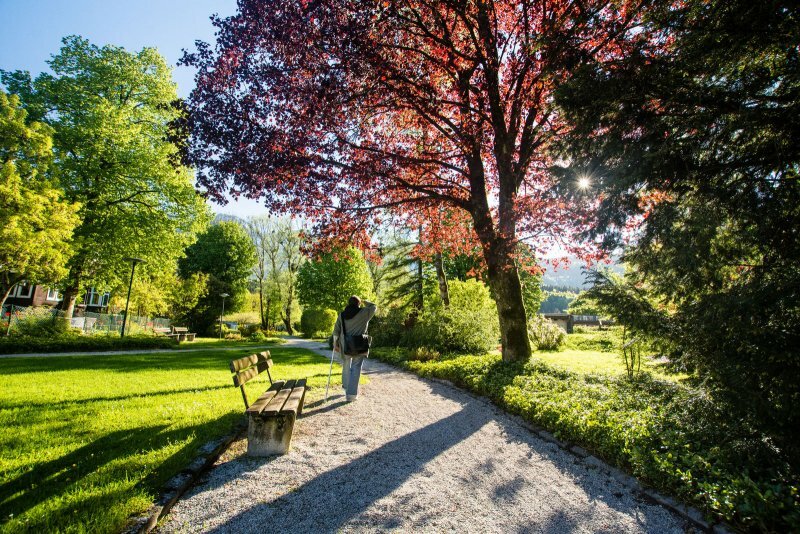 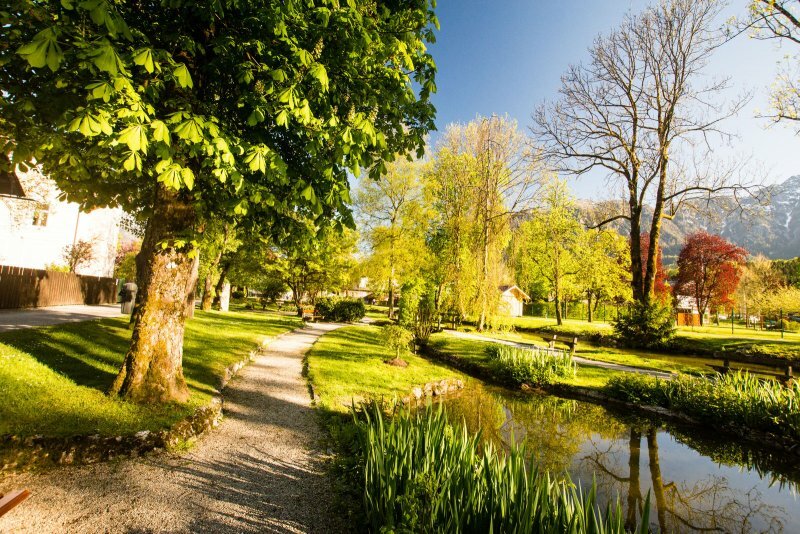 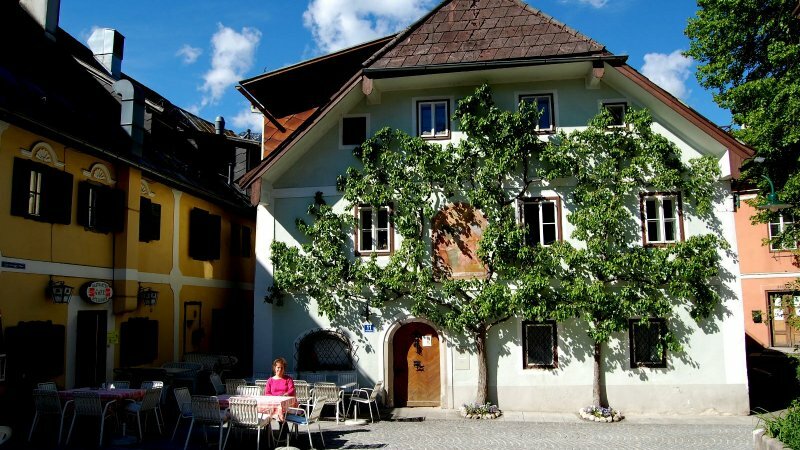 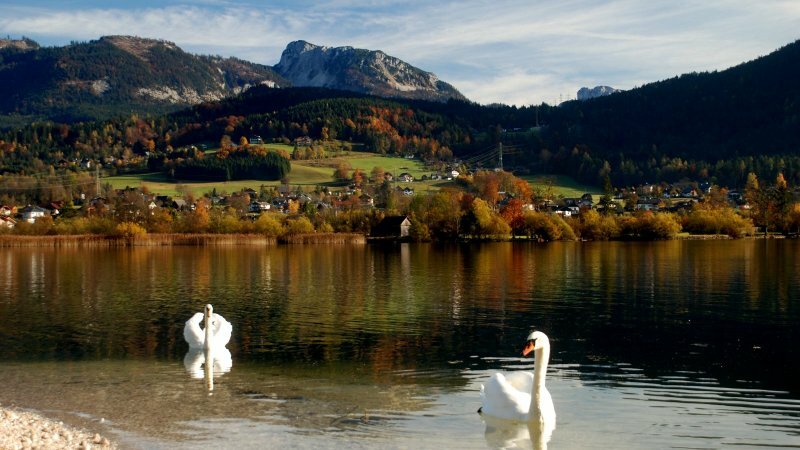 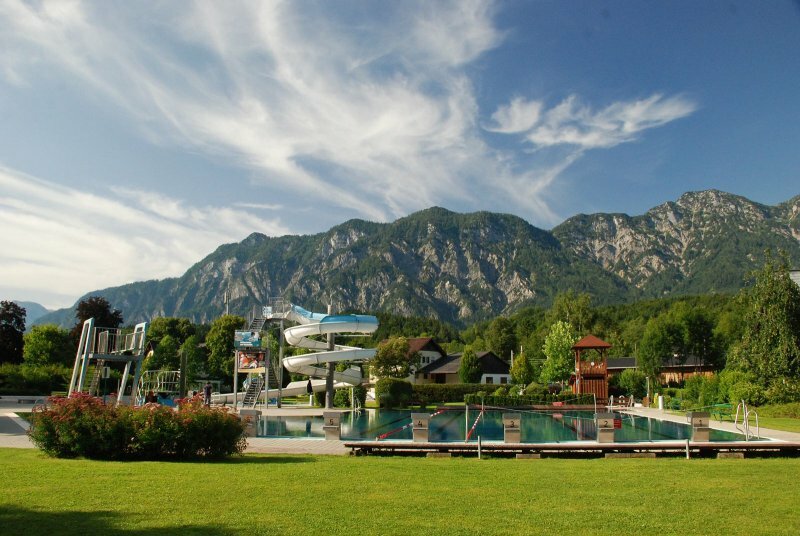 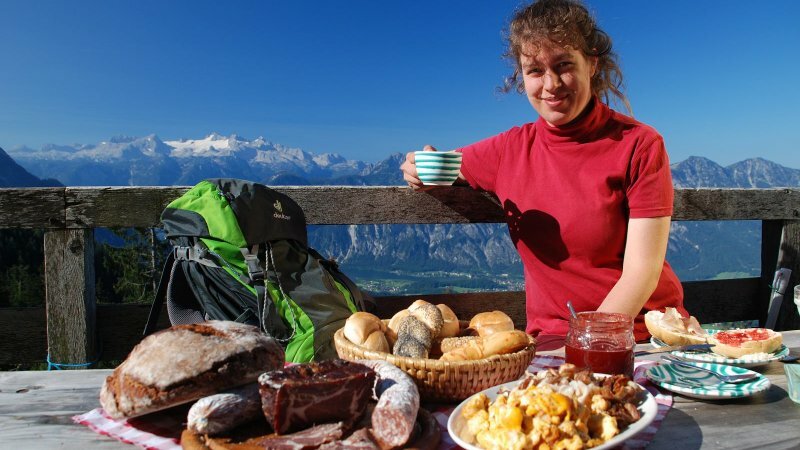 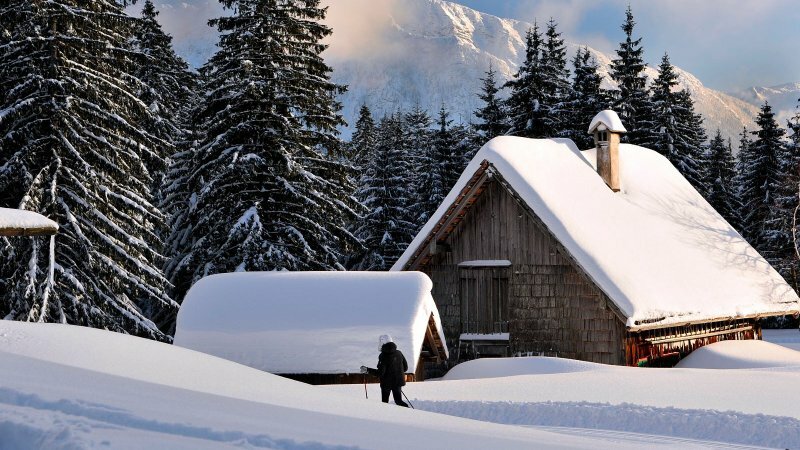 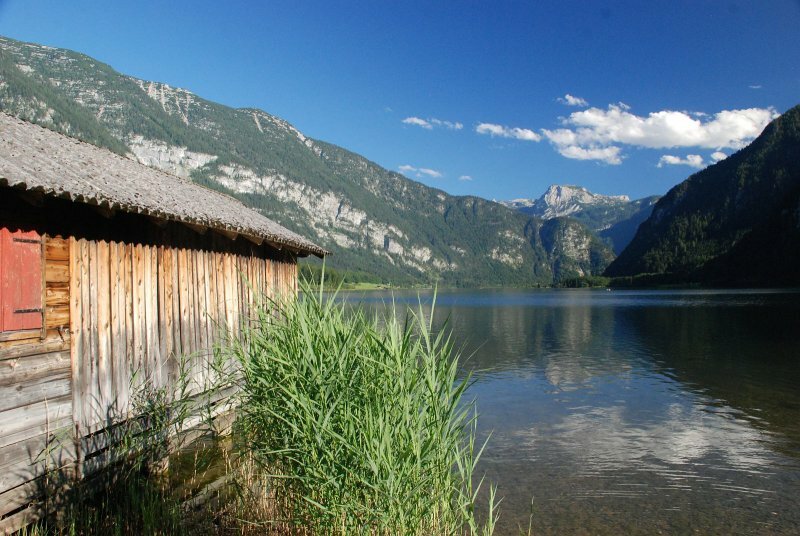 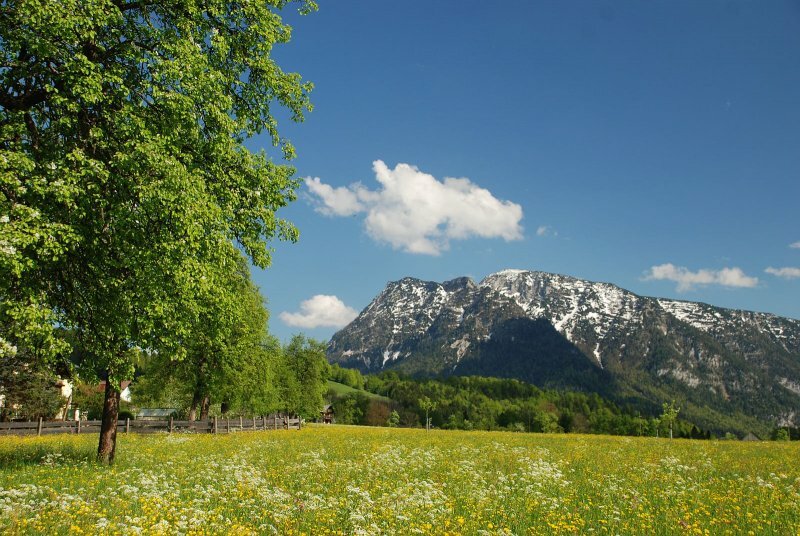 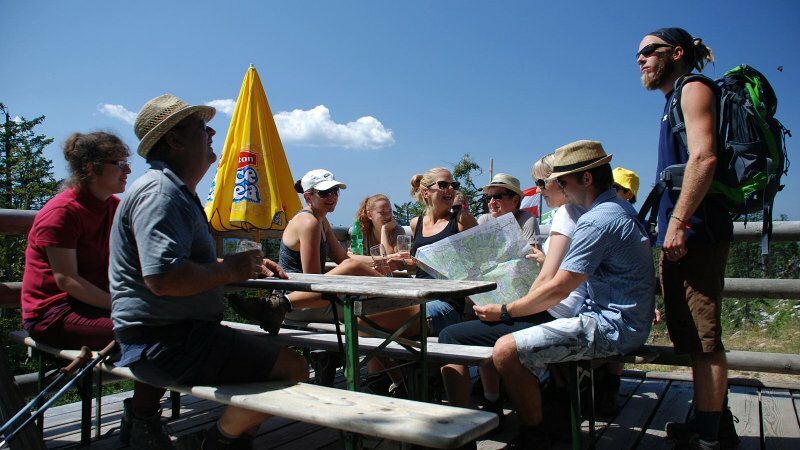 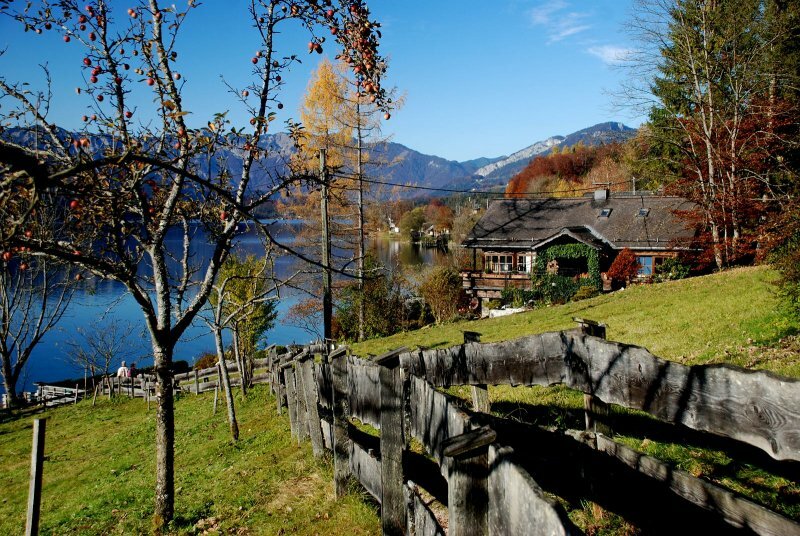 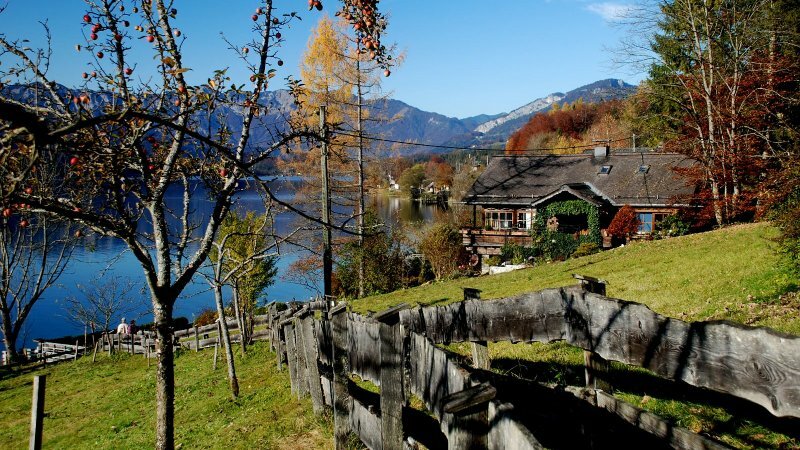 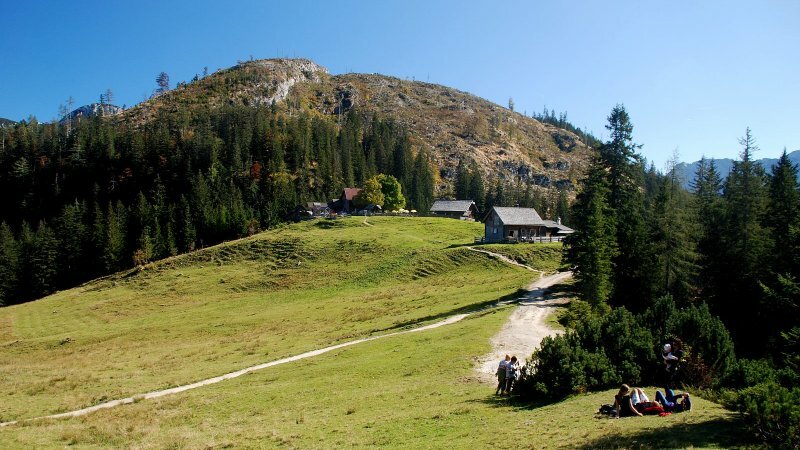 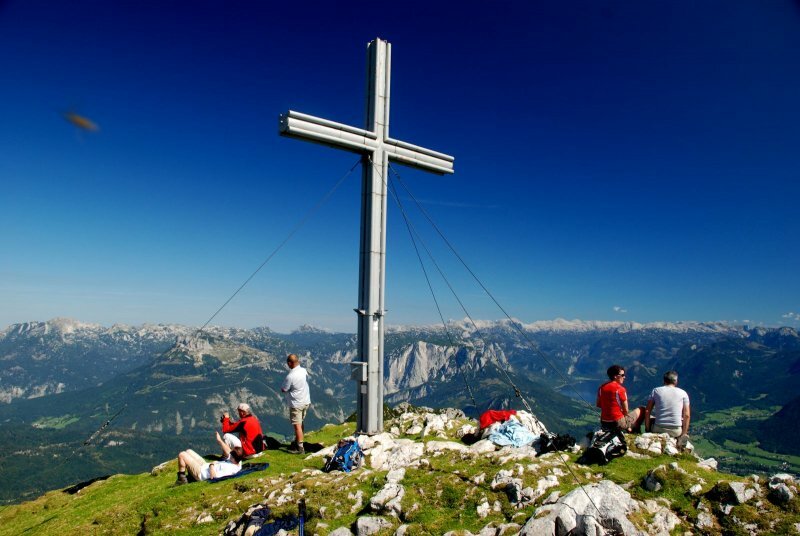 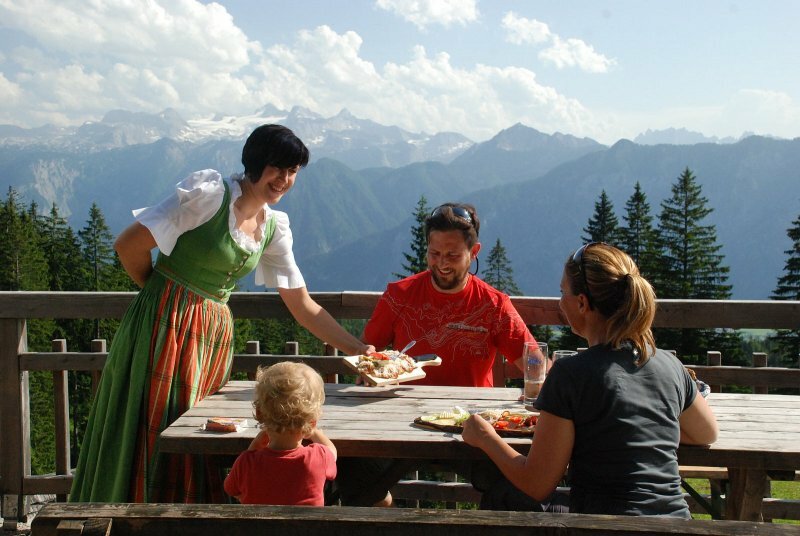 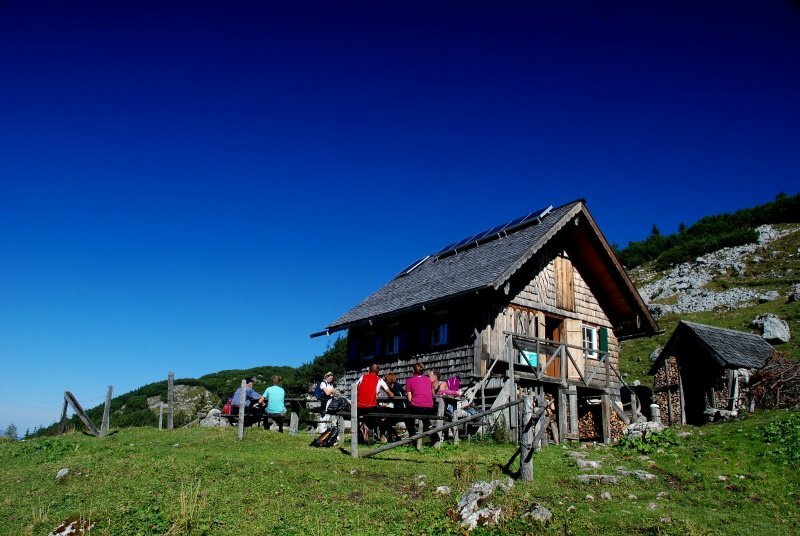 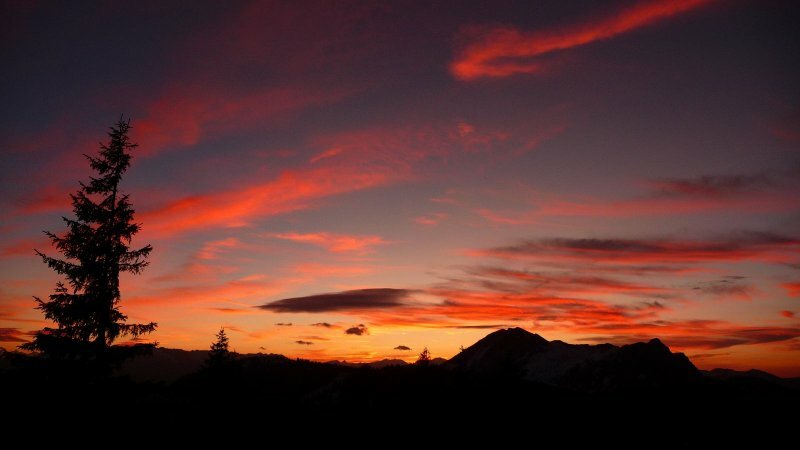 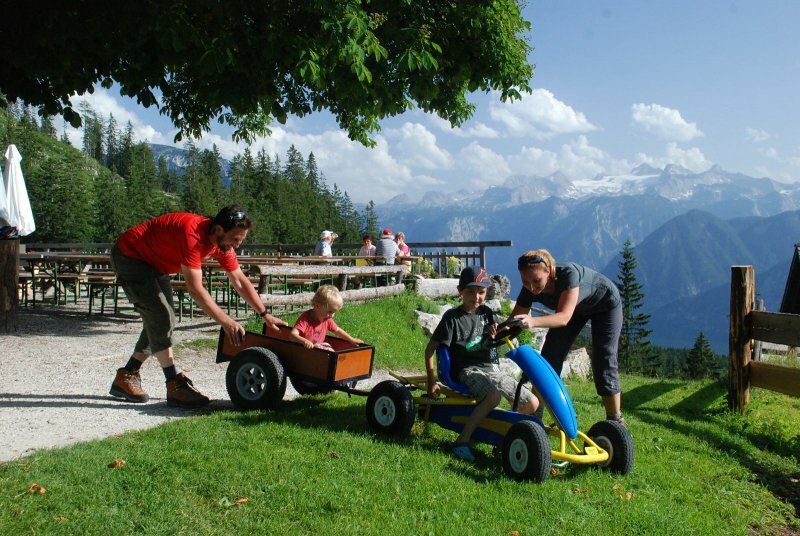 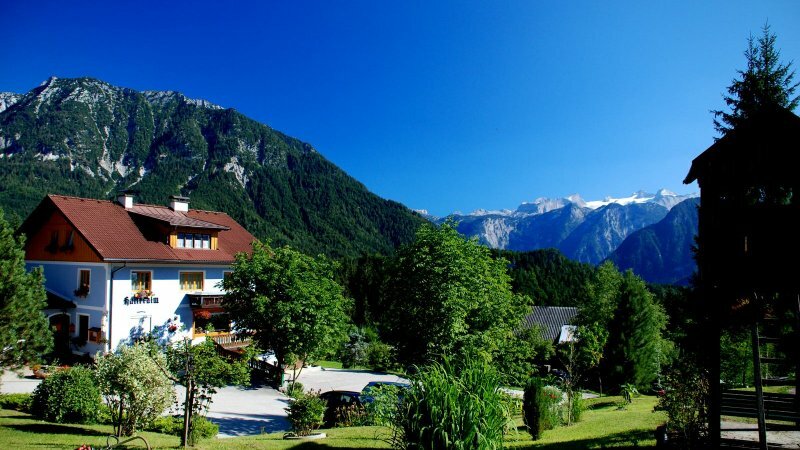 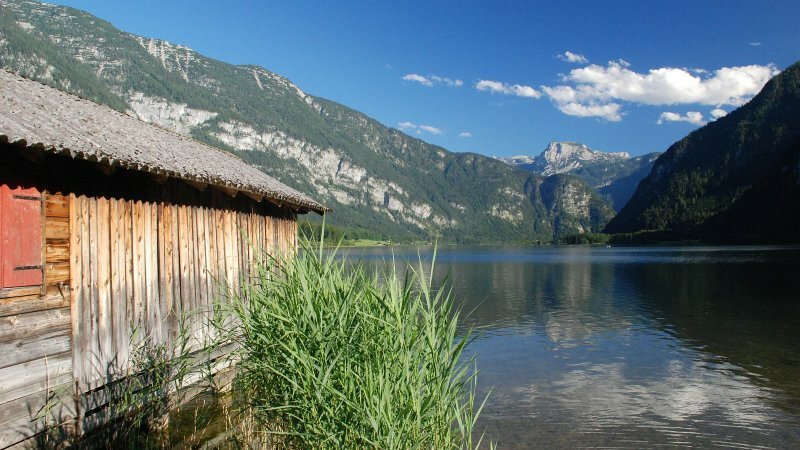 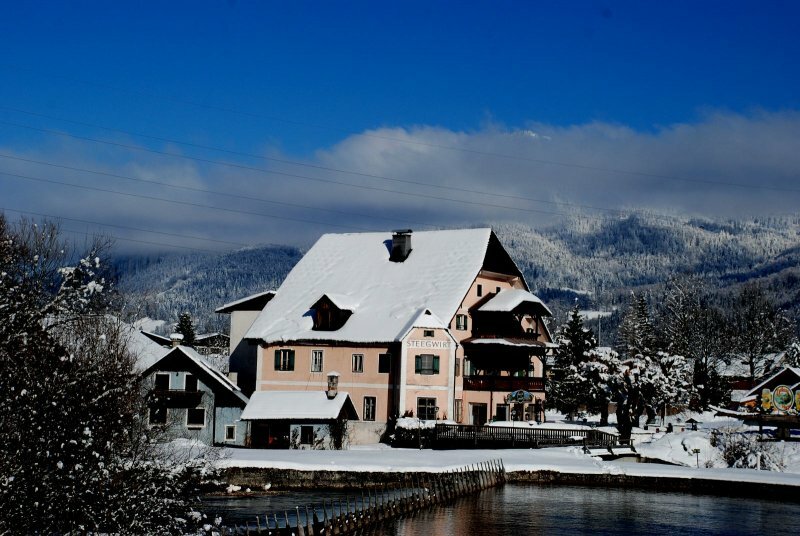 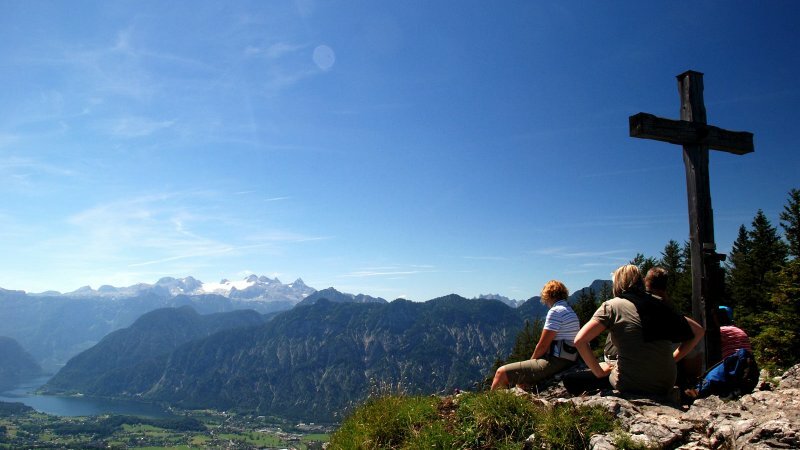 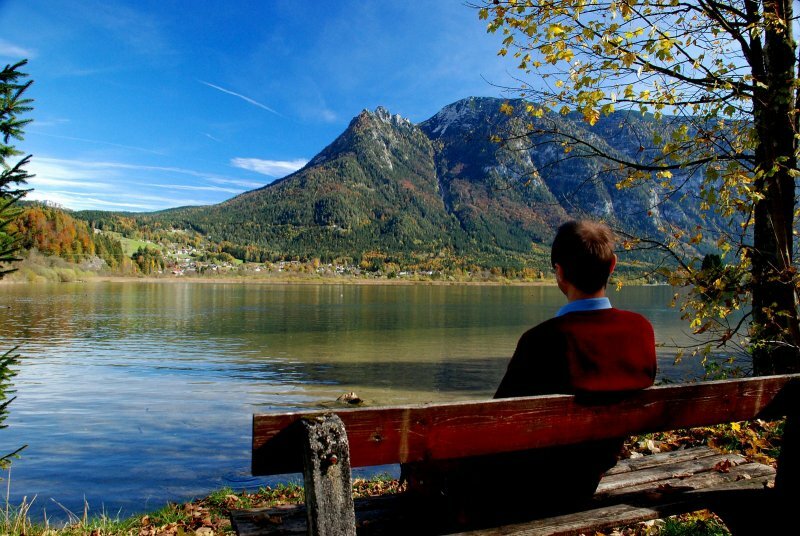 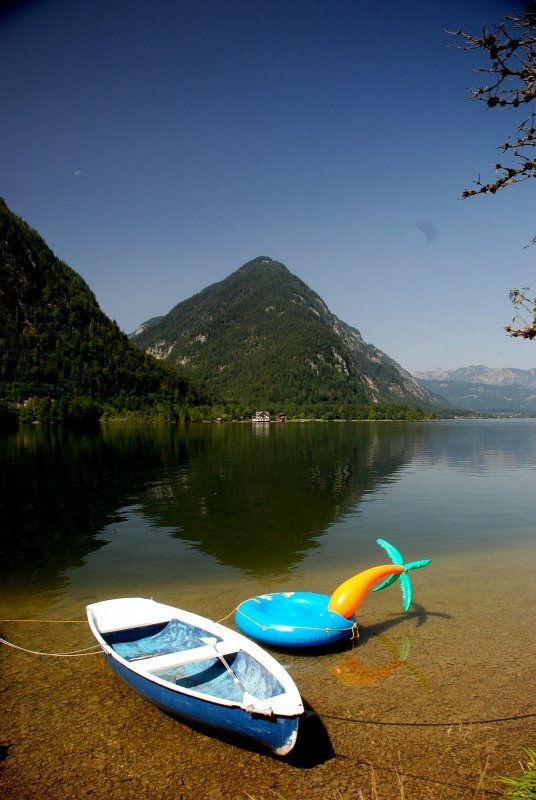 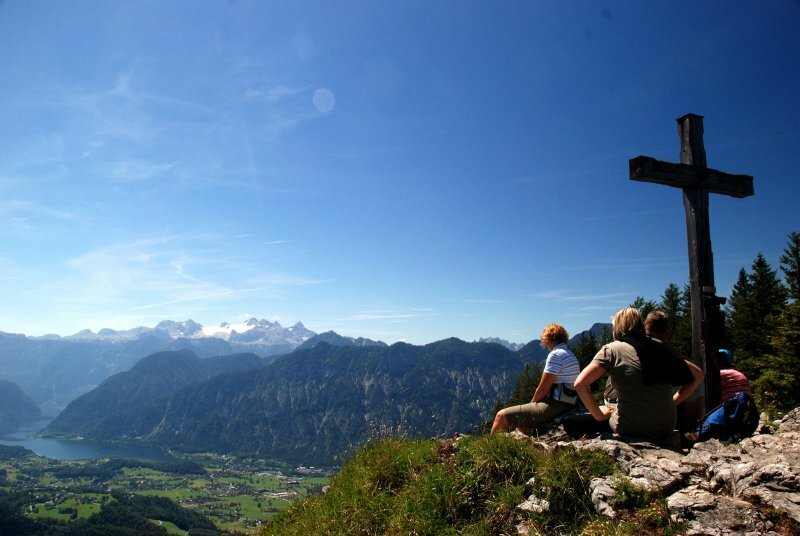 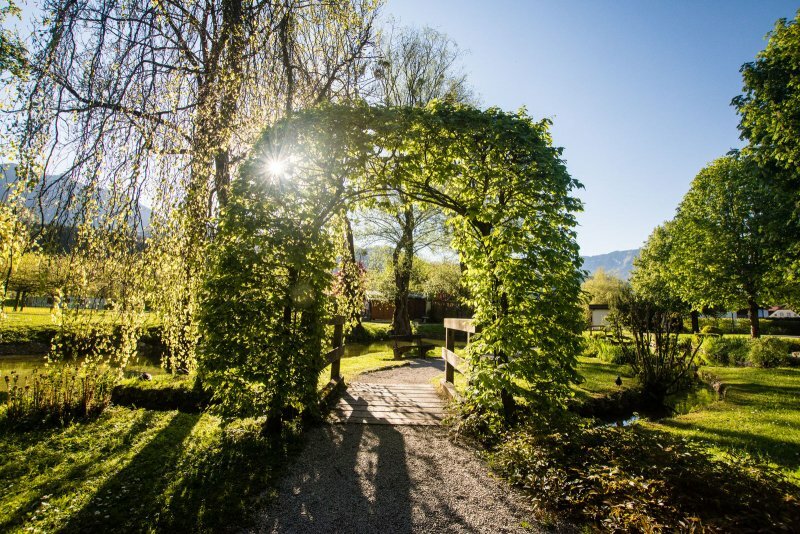 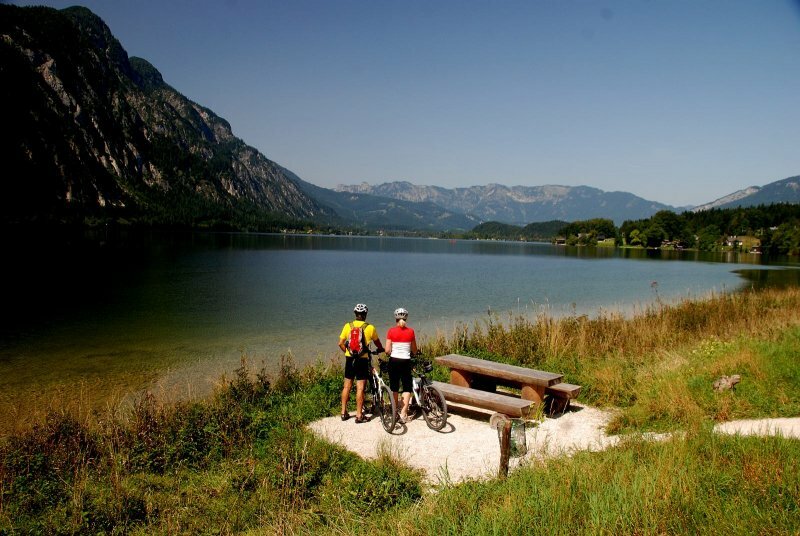 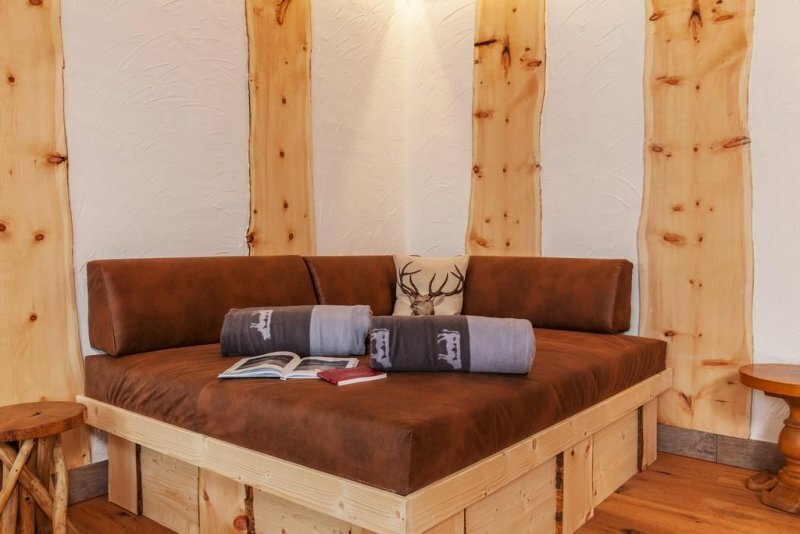 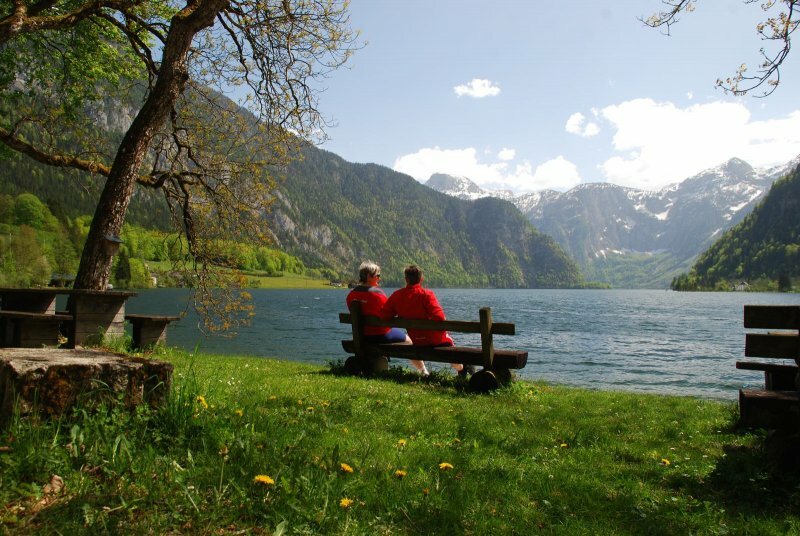 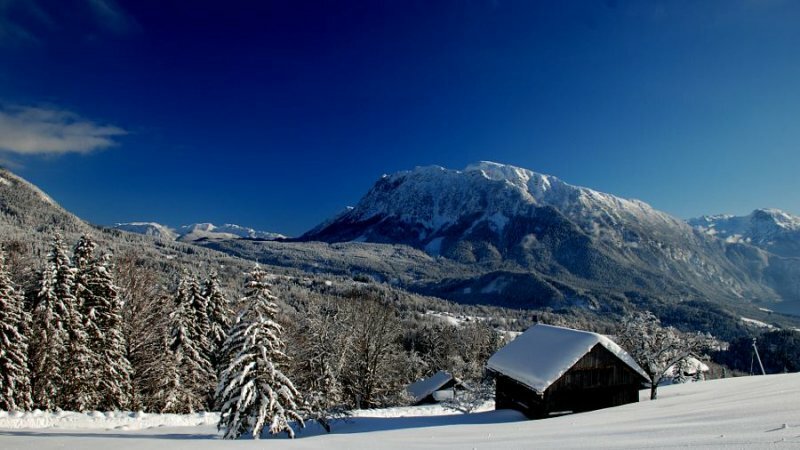 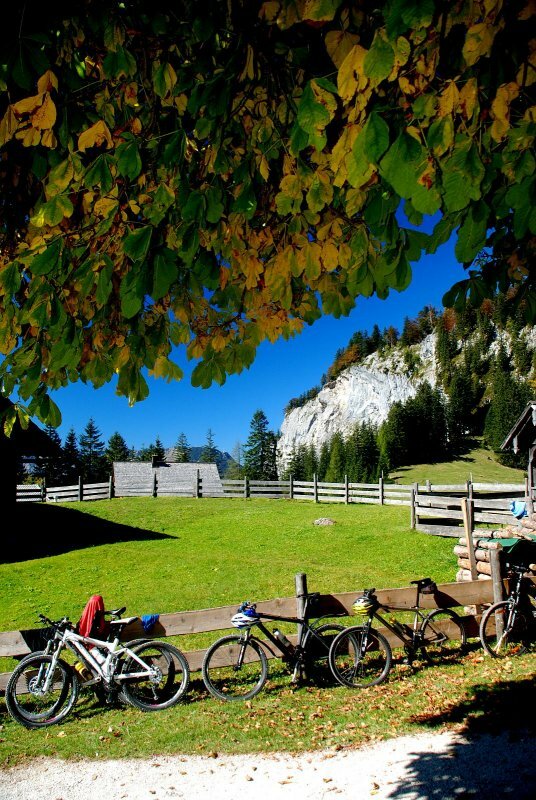 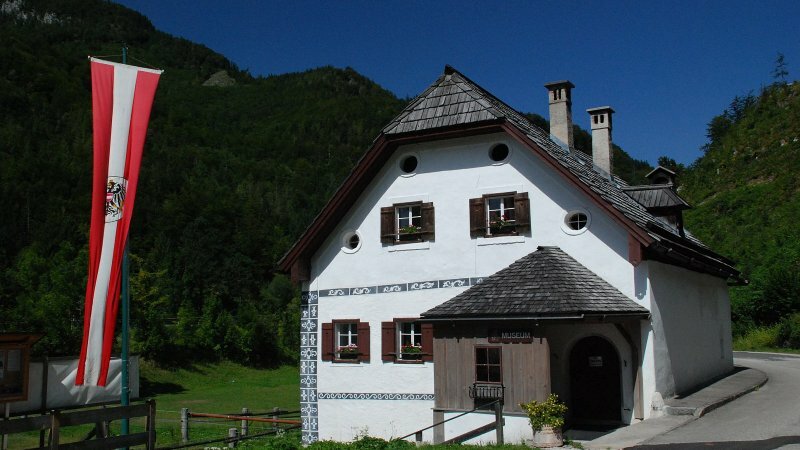 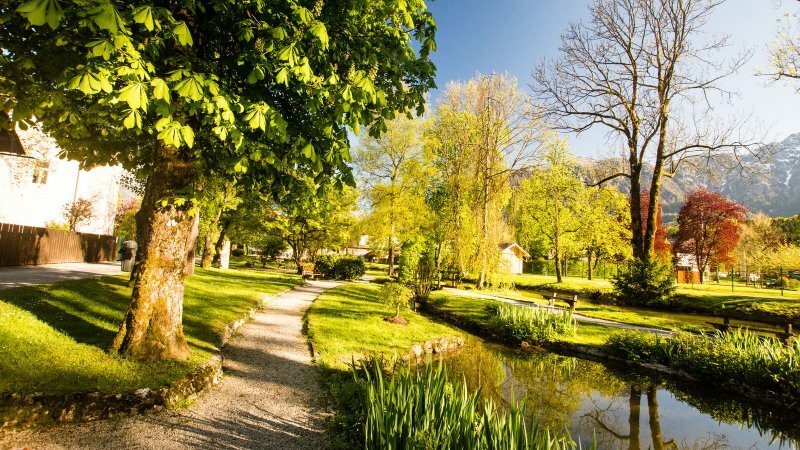 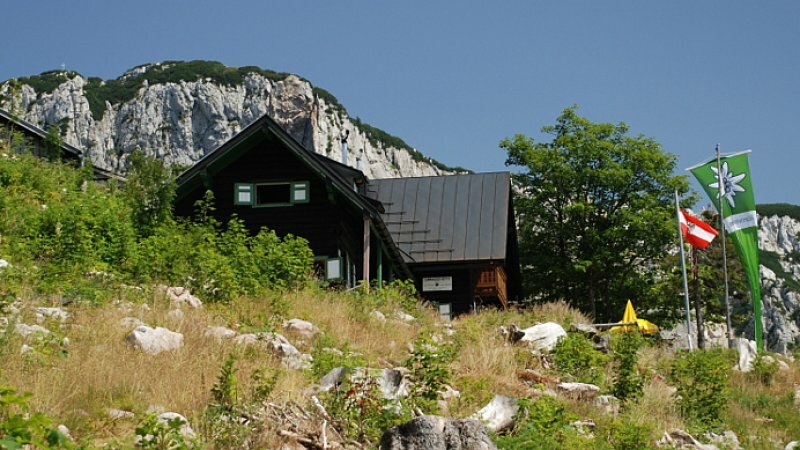 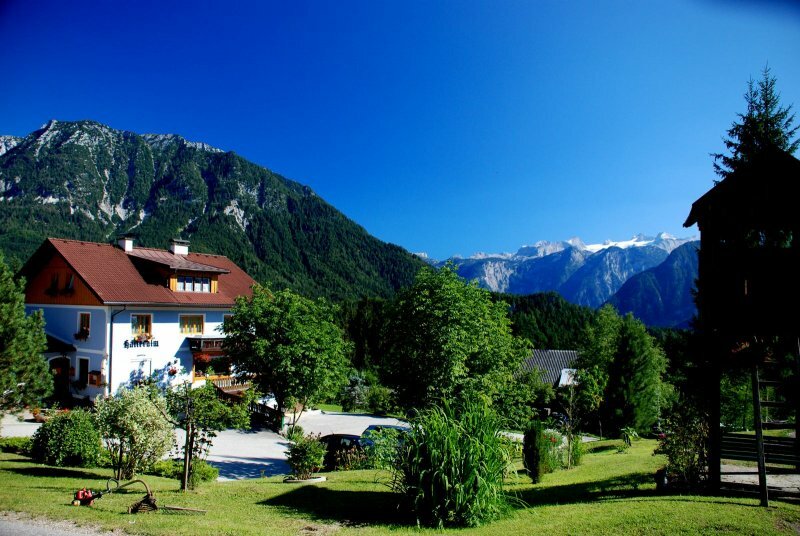 When you stay 3 nights or more, you will receive the Salzkammergut-Adventure-Card free of charge. 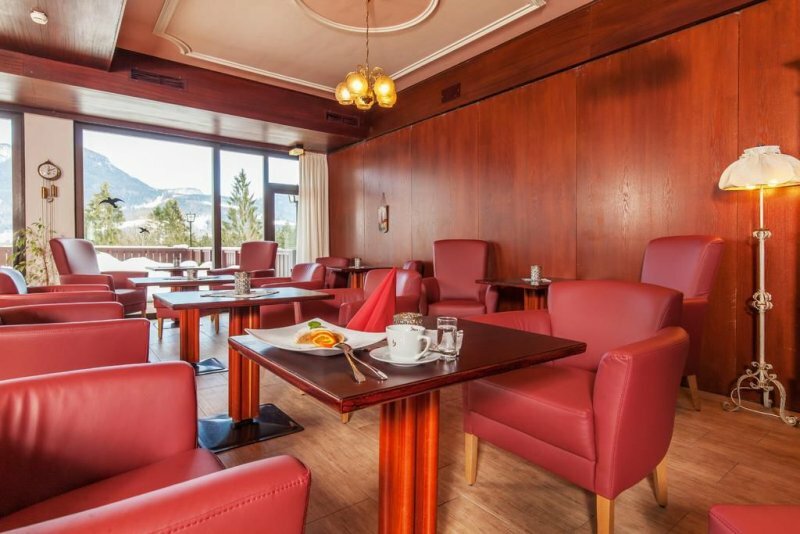 Complimentary internet access is available in the lobby and restaurant areas. 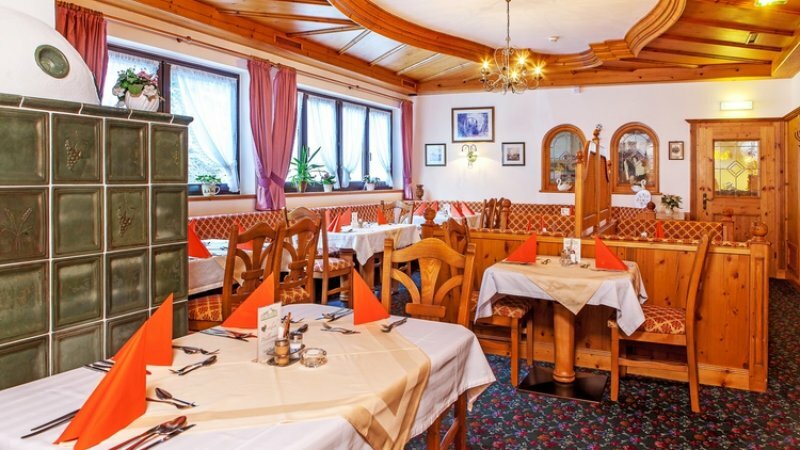 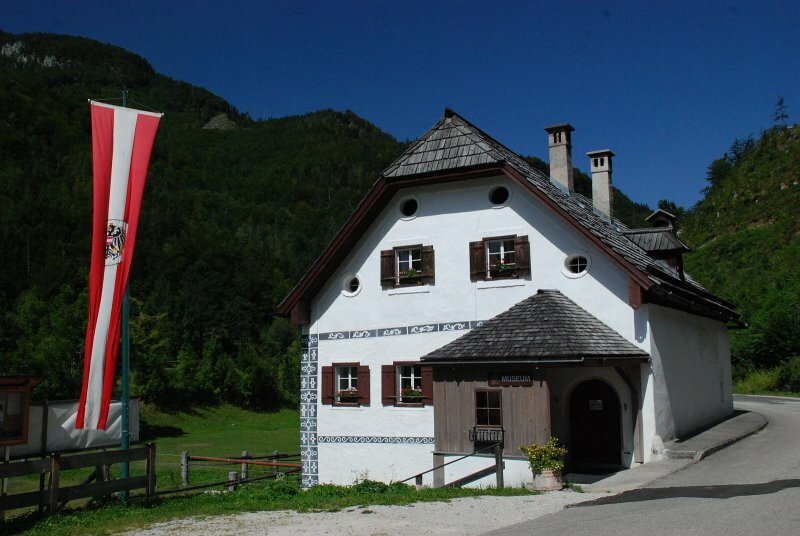 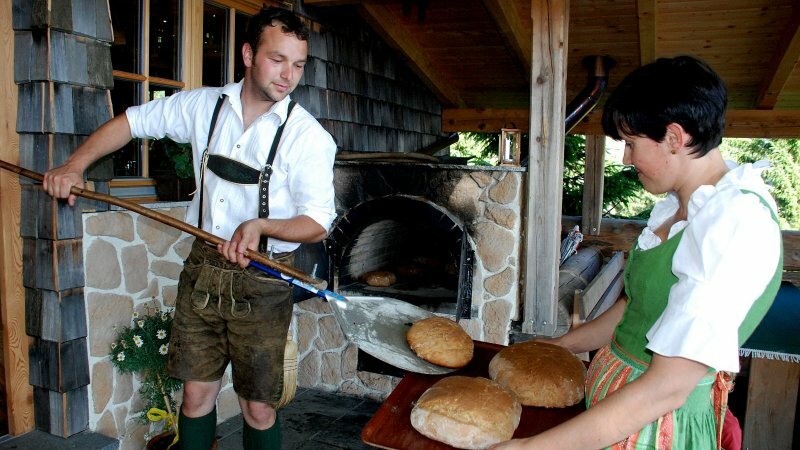 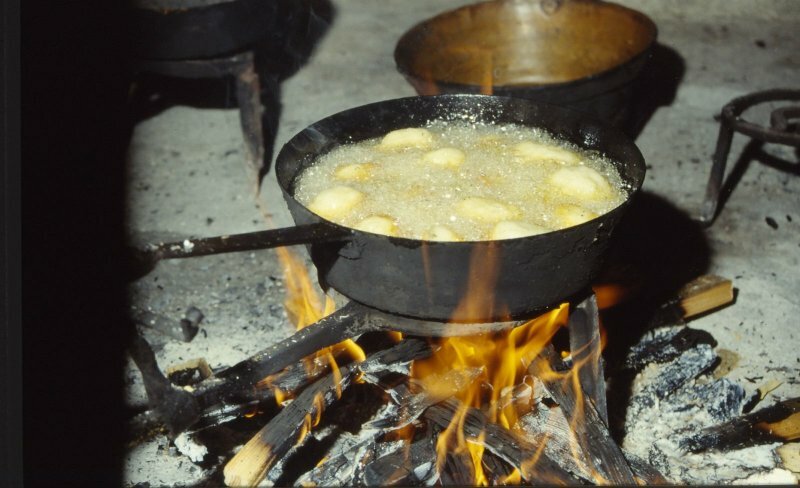 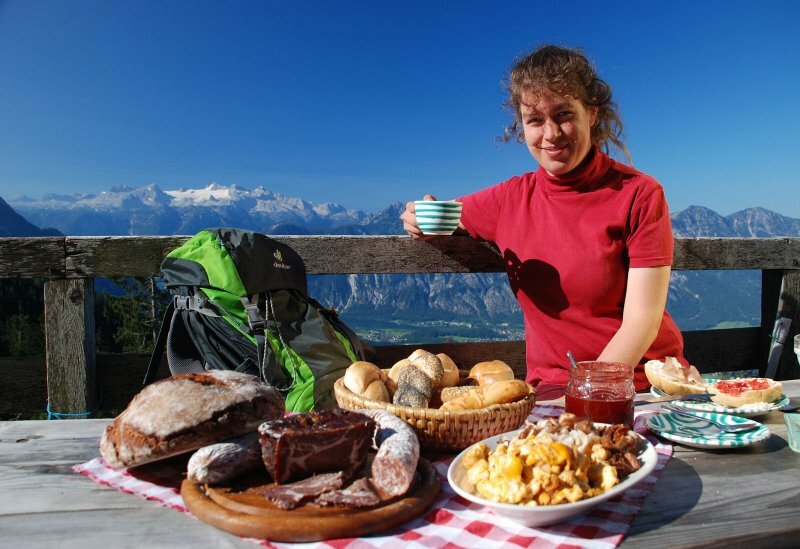 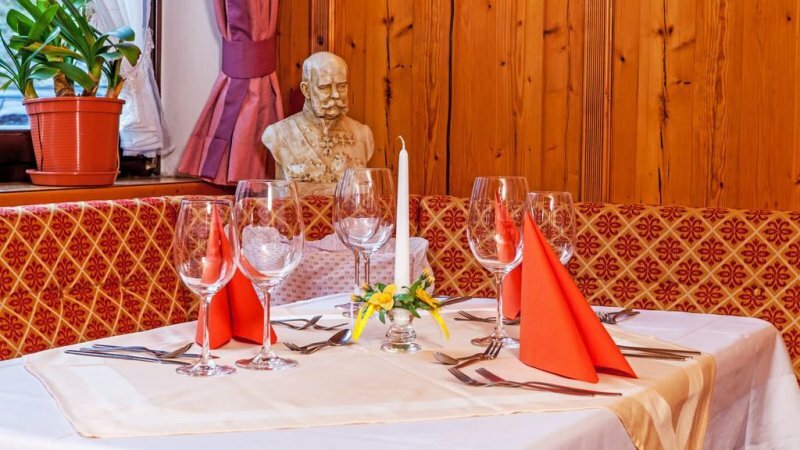 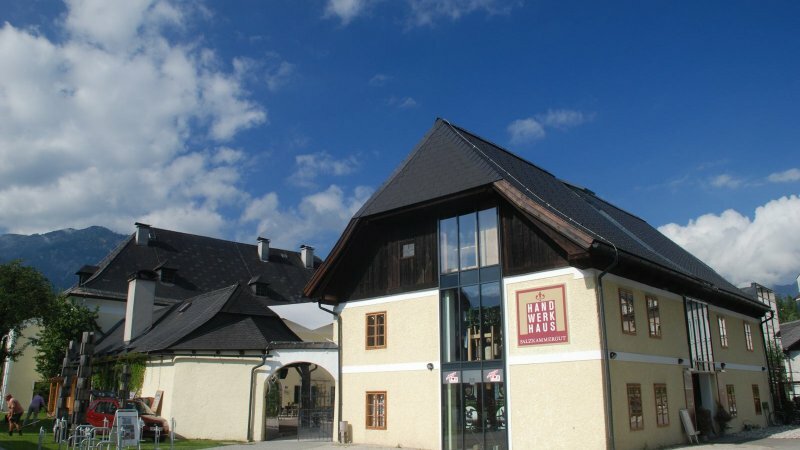 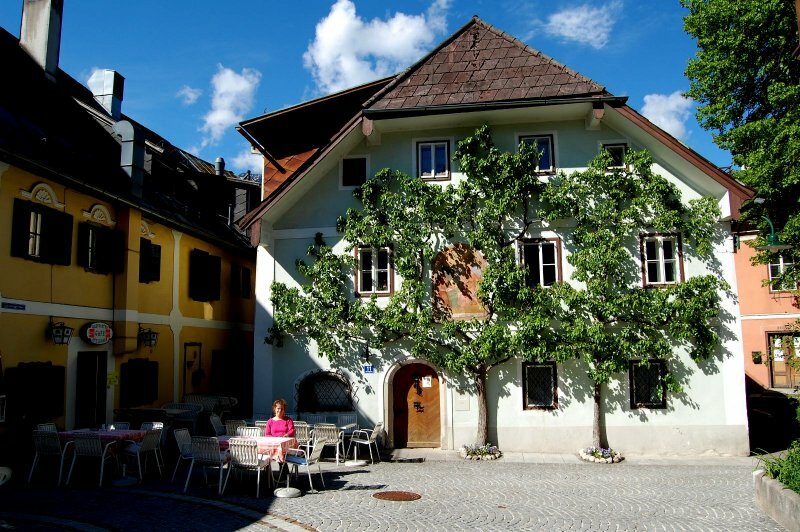 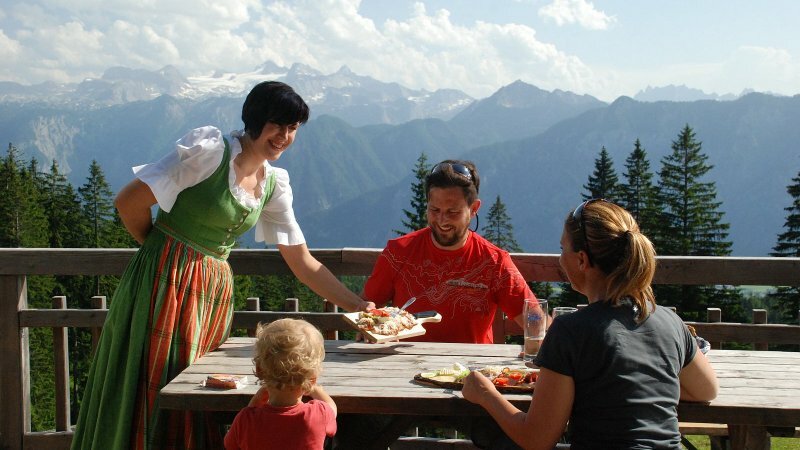 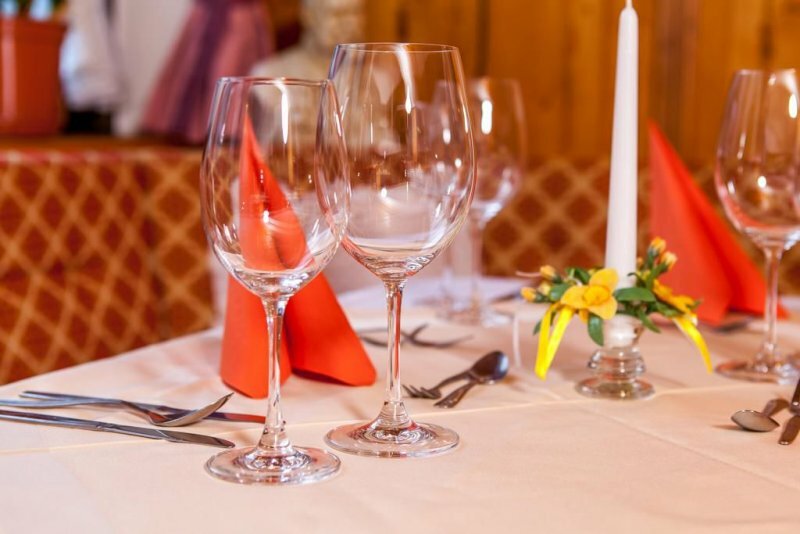 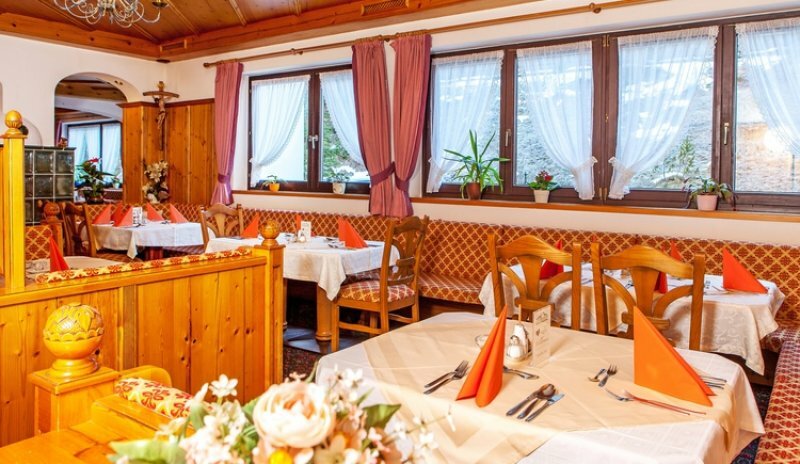 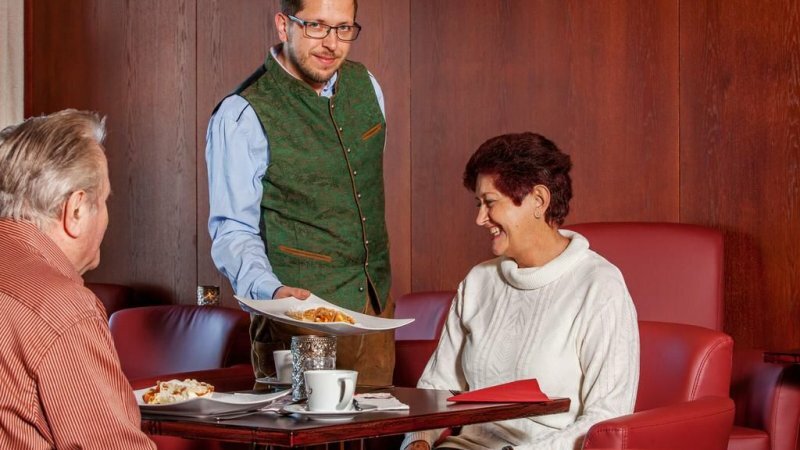 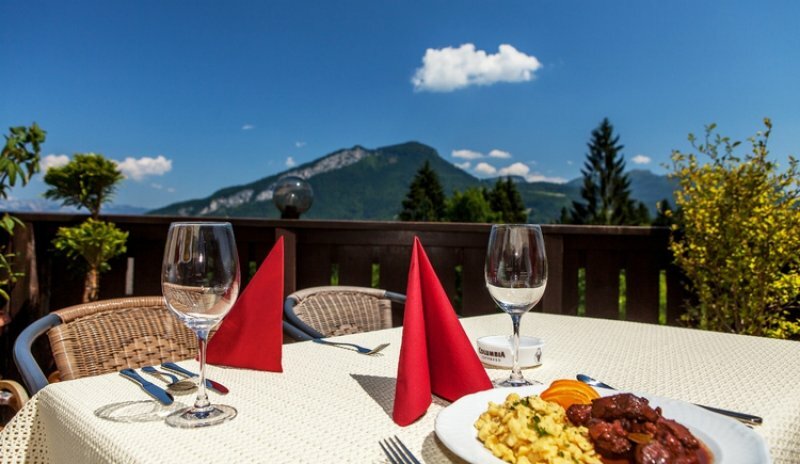 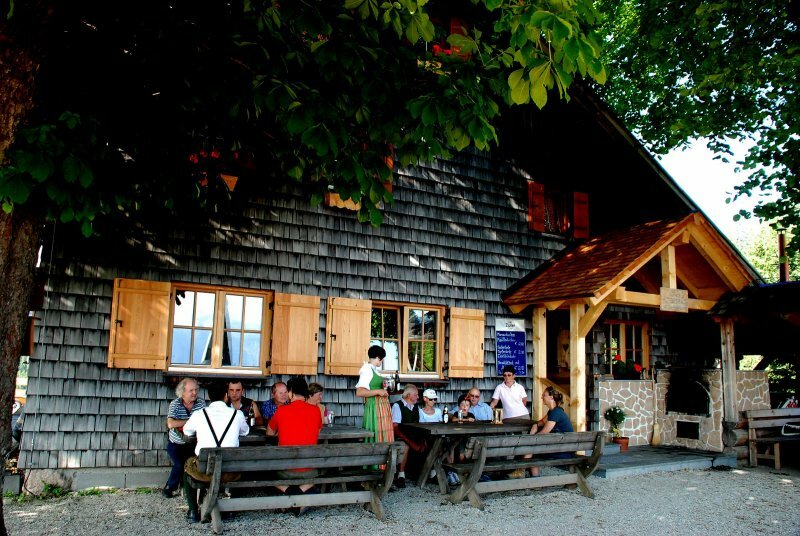 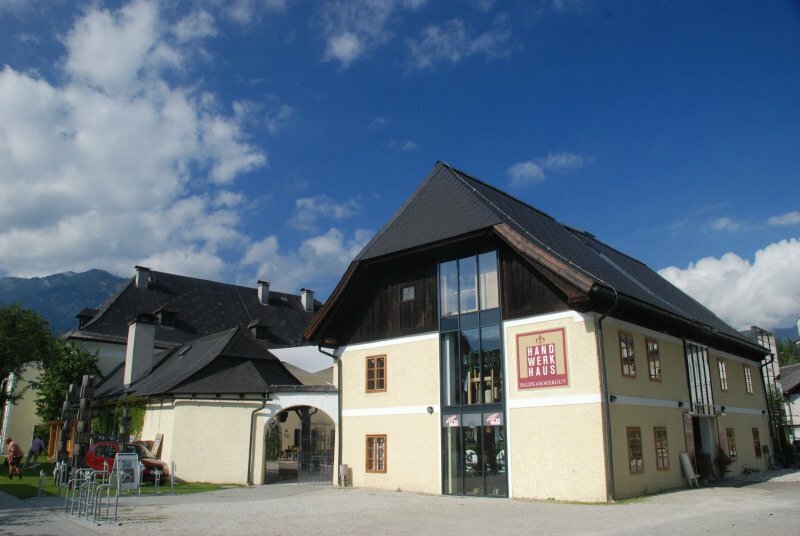 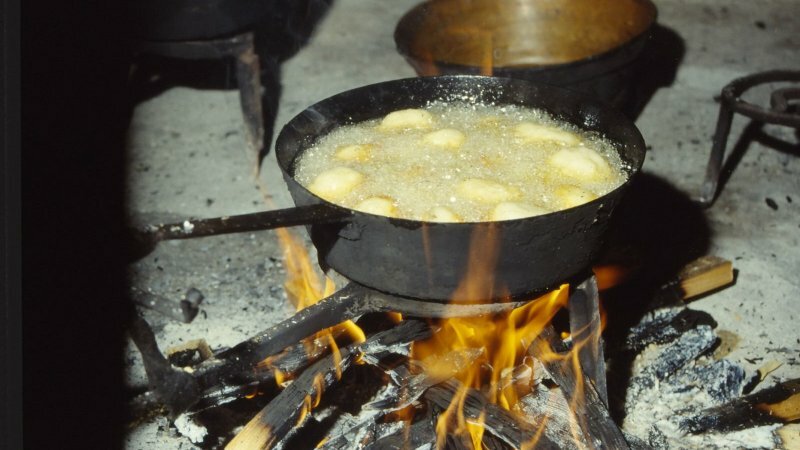 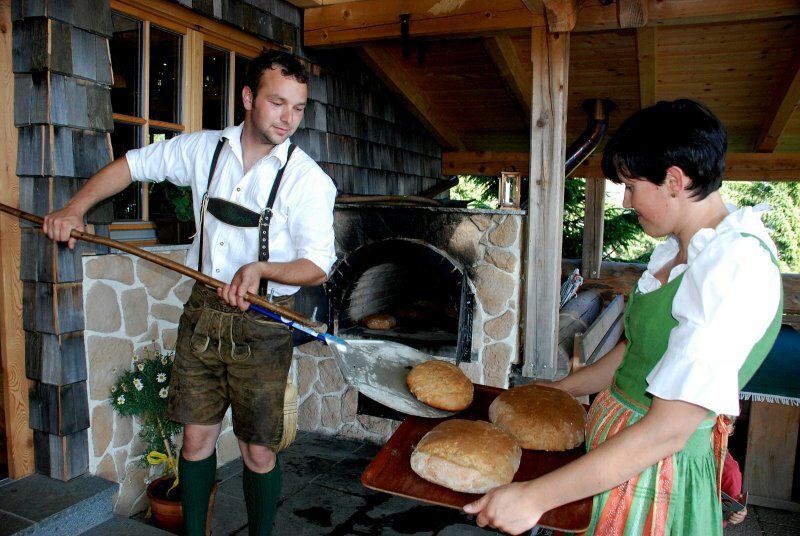 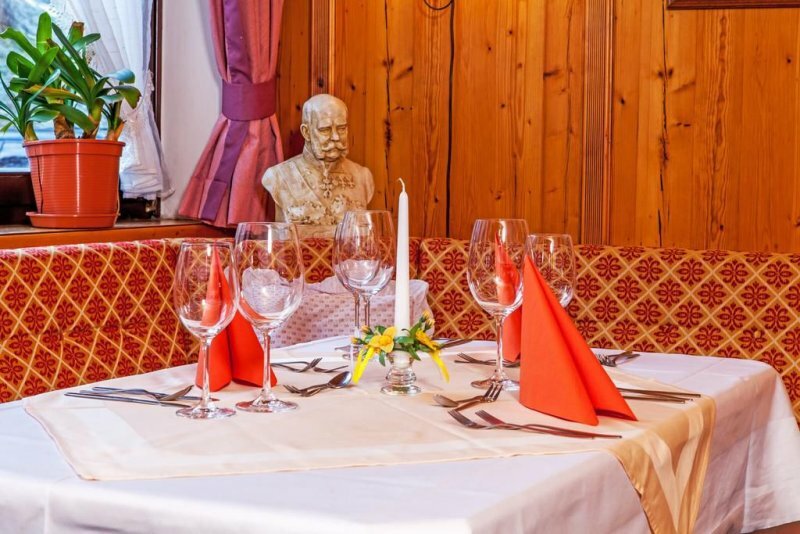 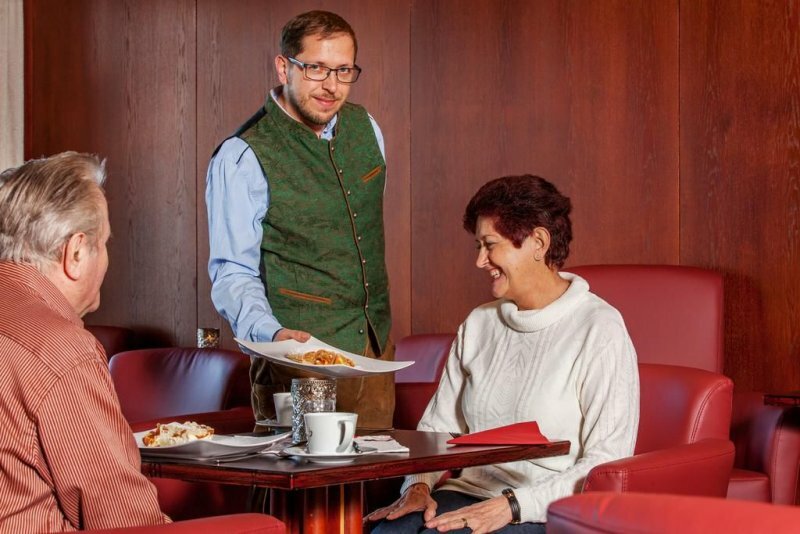 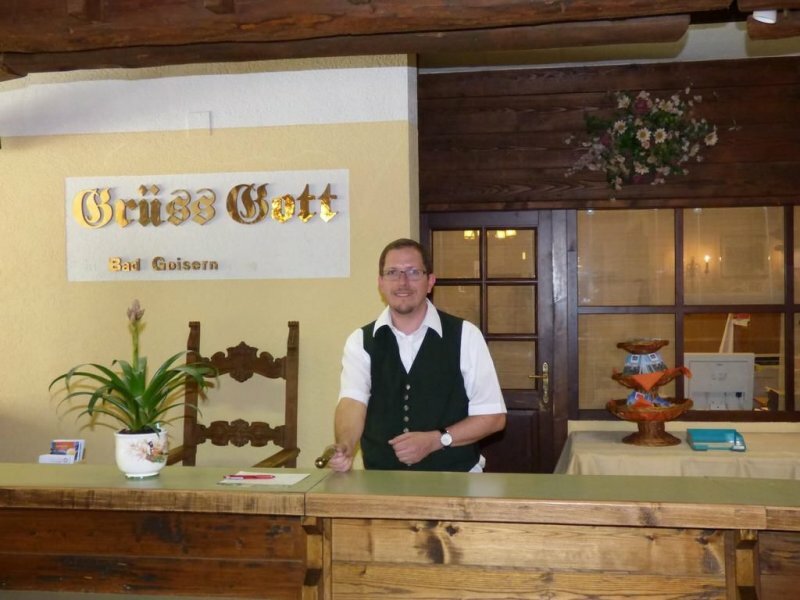 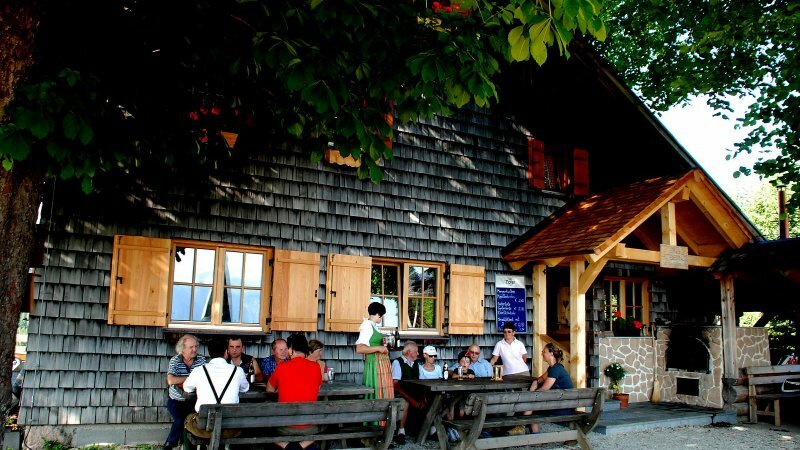 The restaurant serves Austrian and international cuisine. 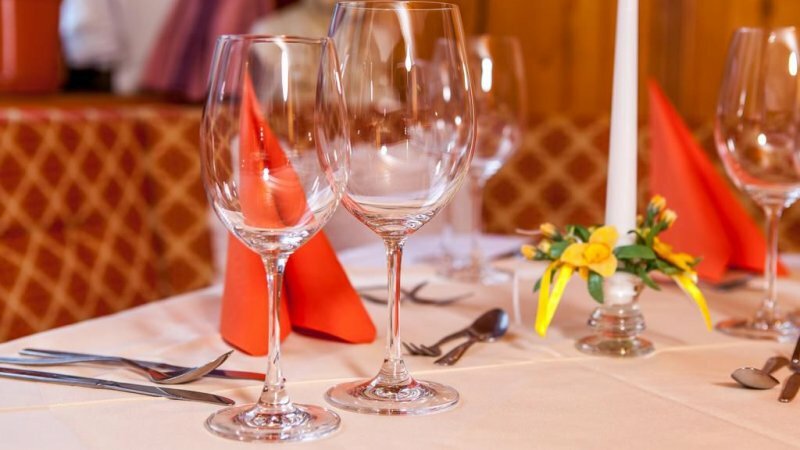 Half board is available upon request and includes a breakfast buffet and 3 course evening meal with salad bar. 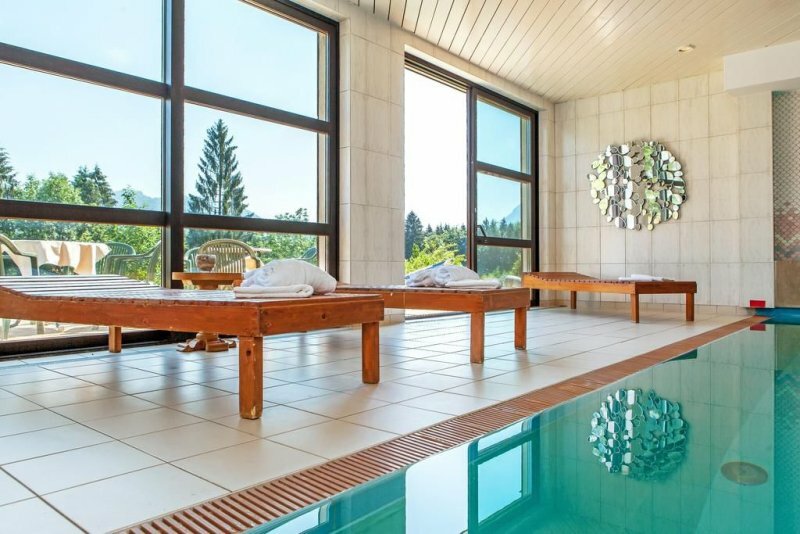 Relax and recuperate in our indoor pool with window affording panoramic views. 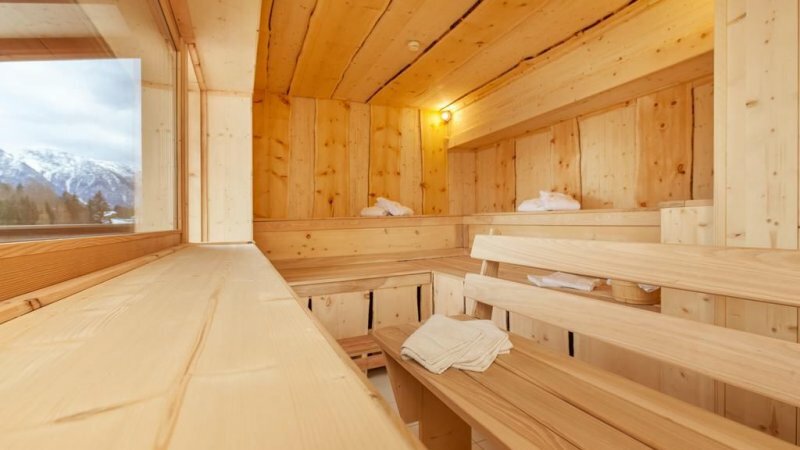 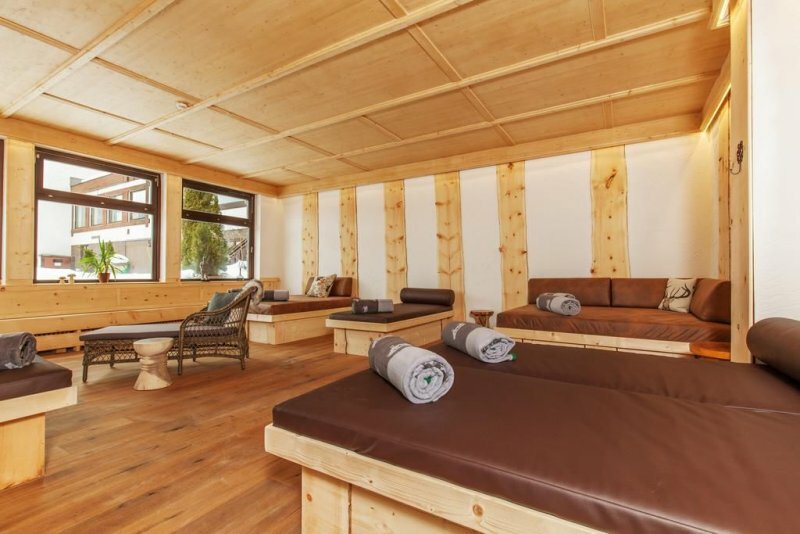 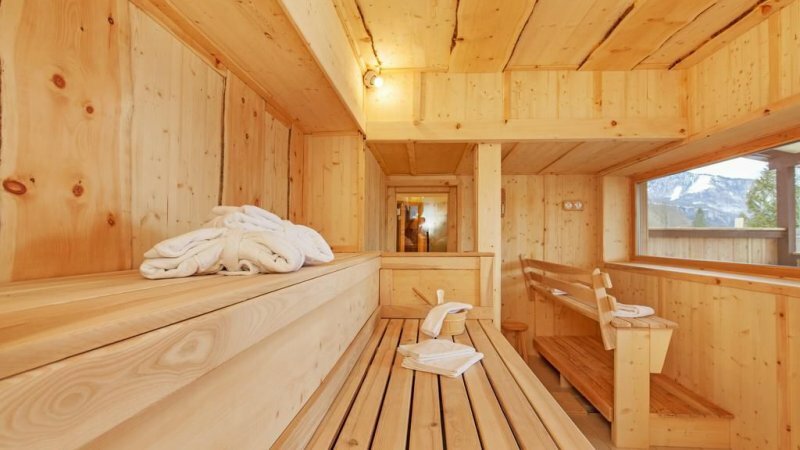 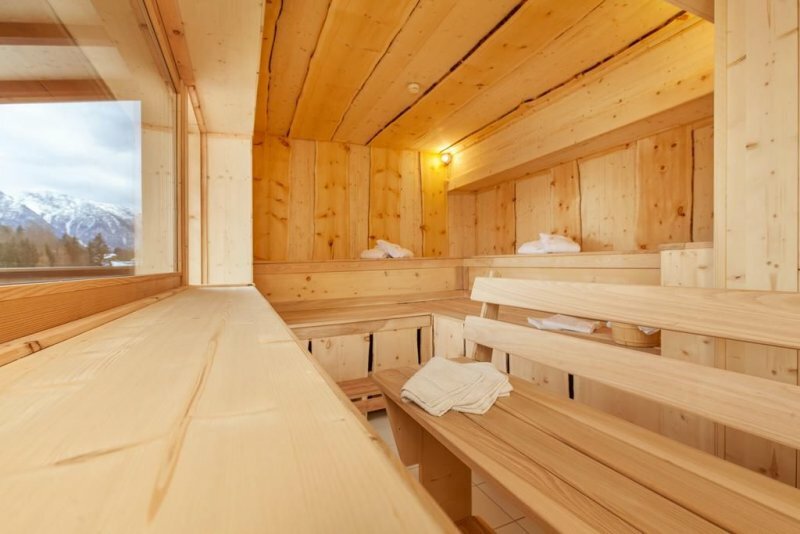 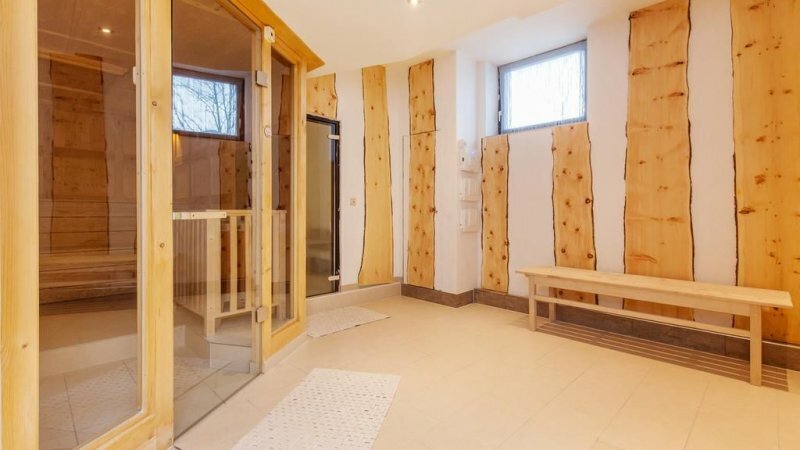 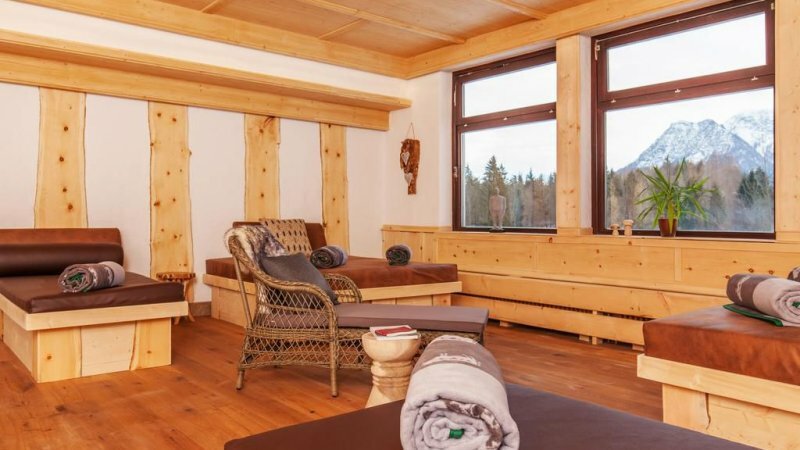 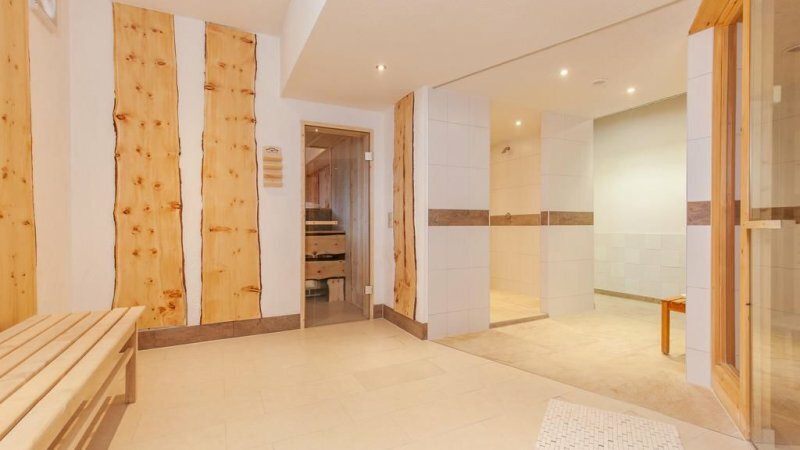 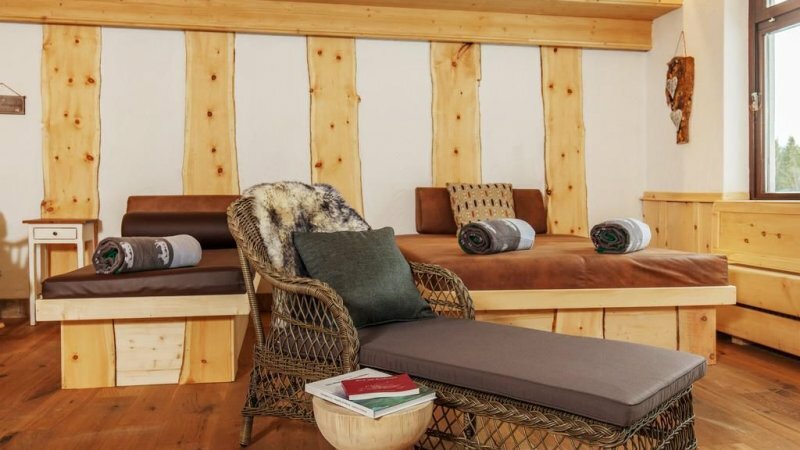 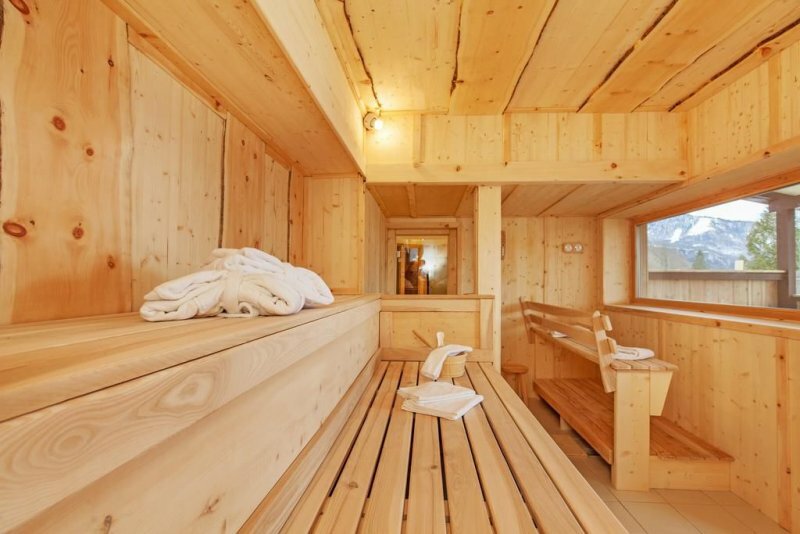 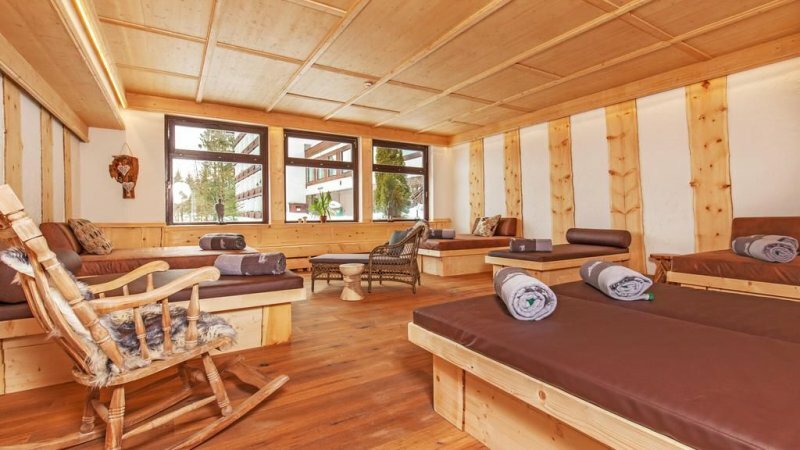 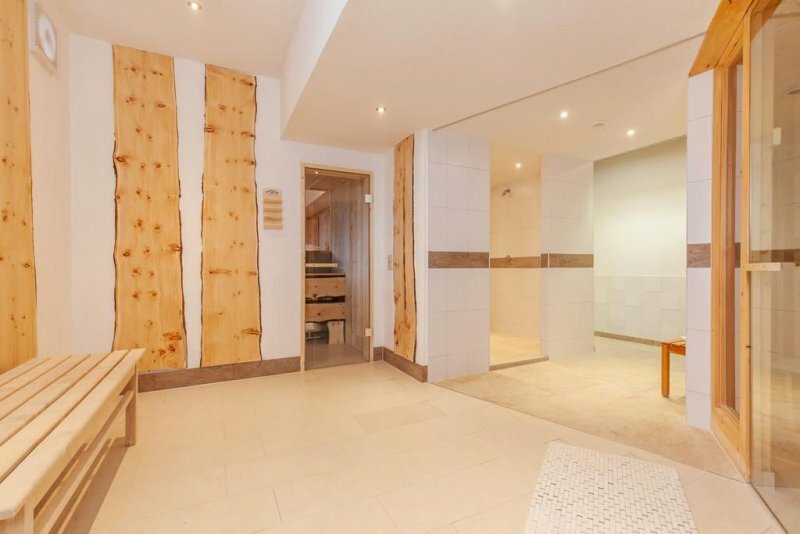 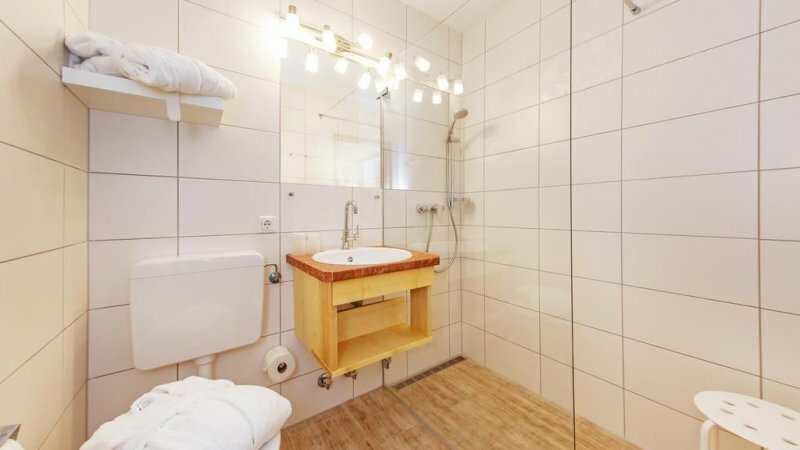 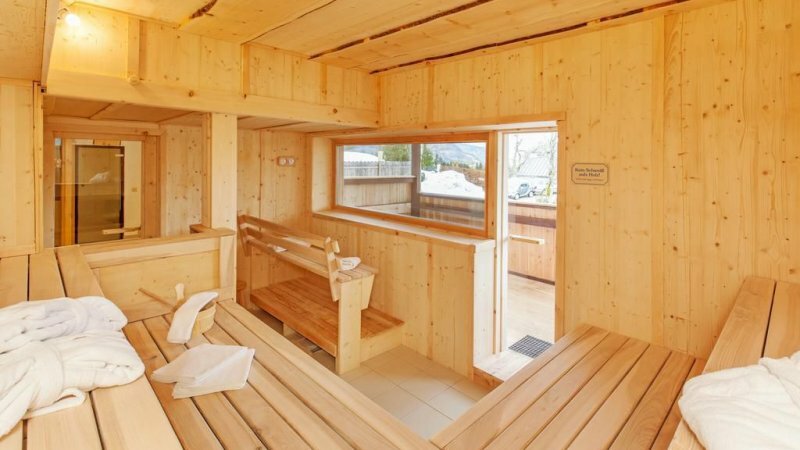 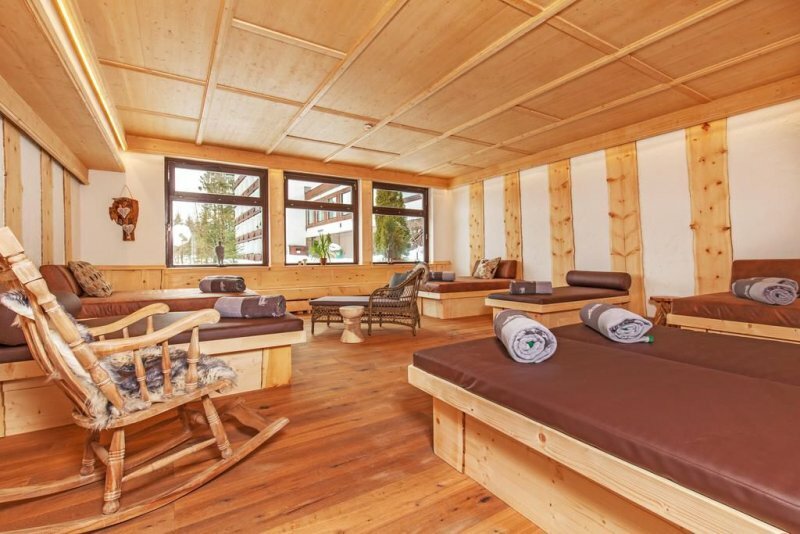 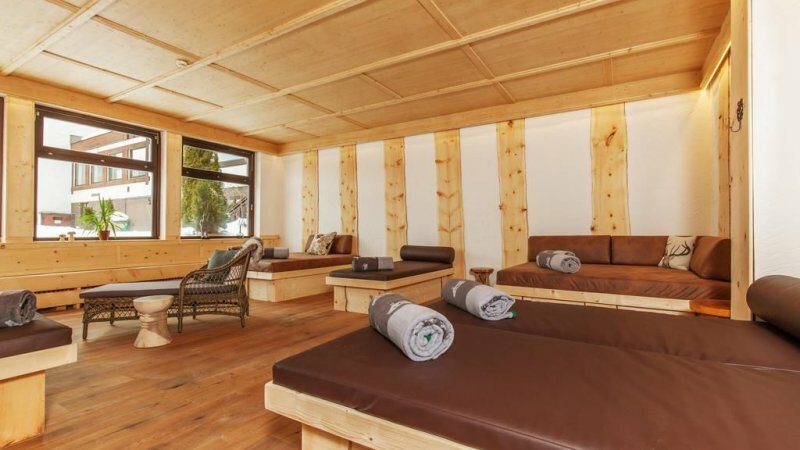 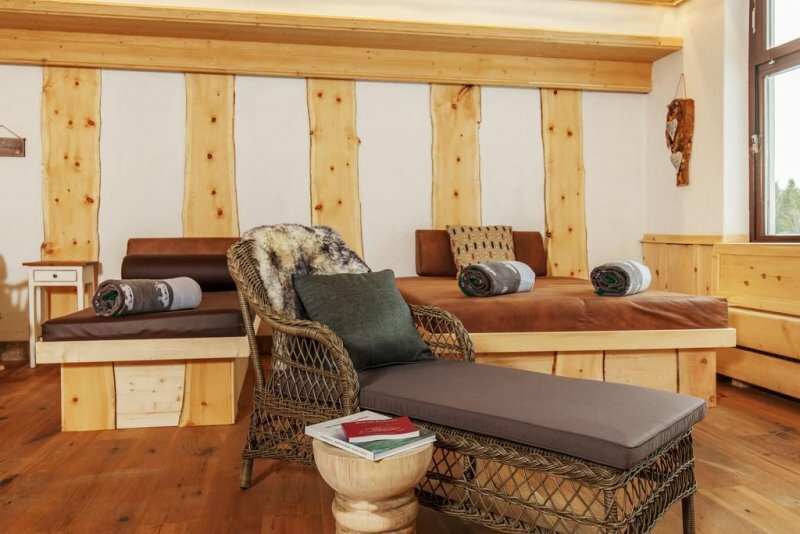 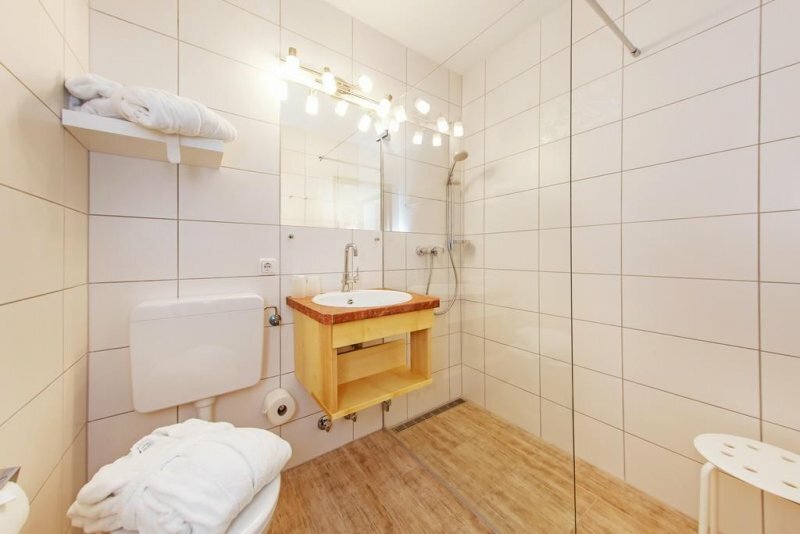 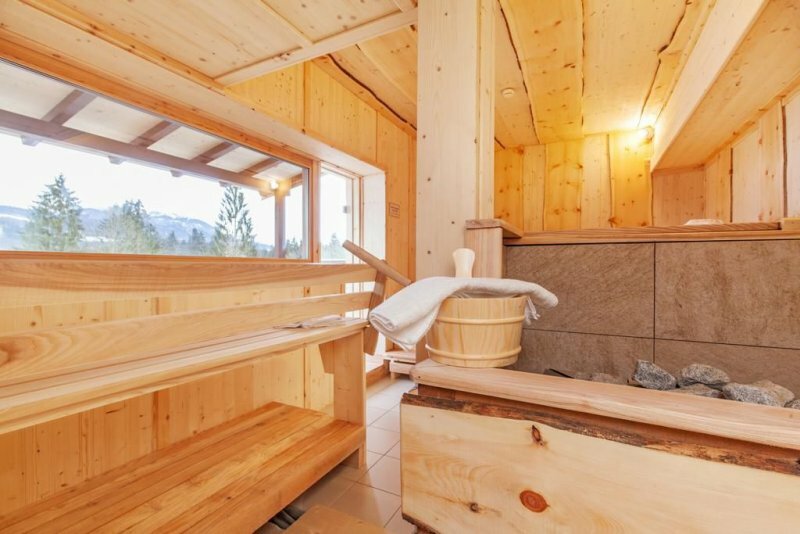 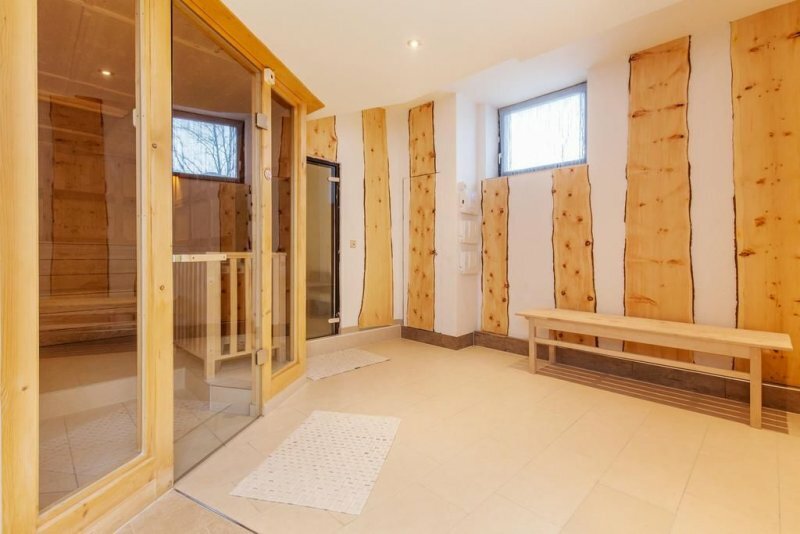 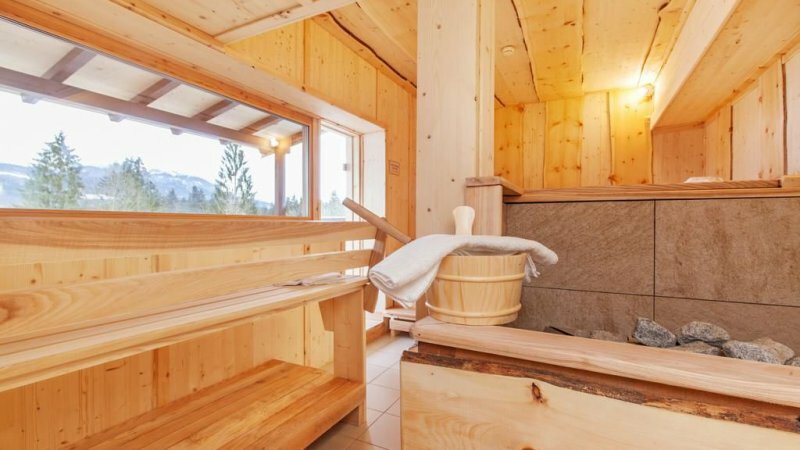 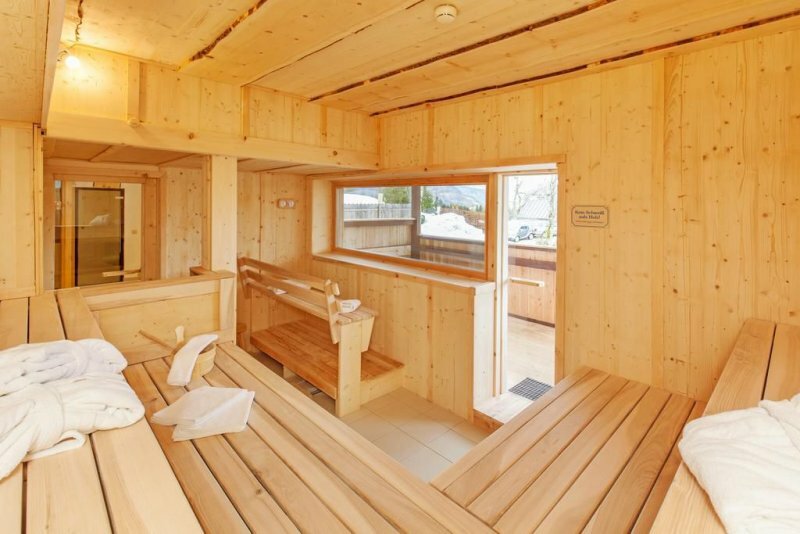 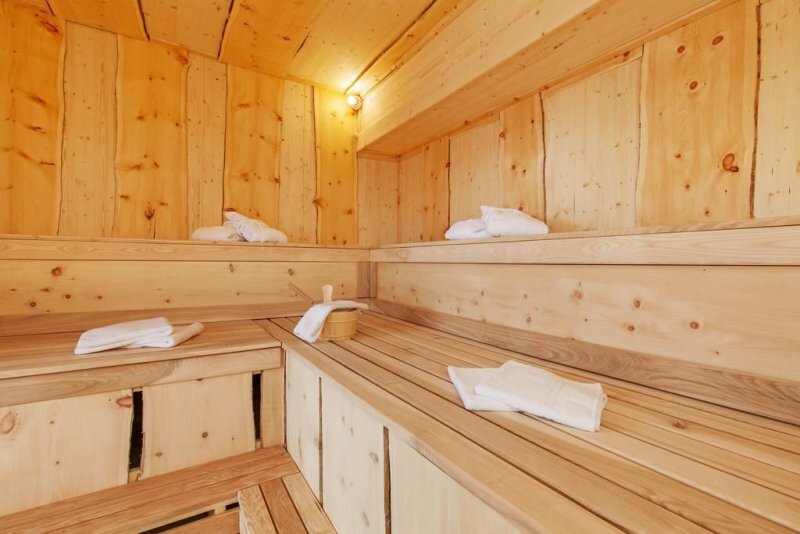 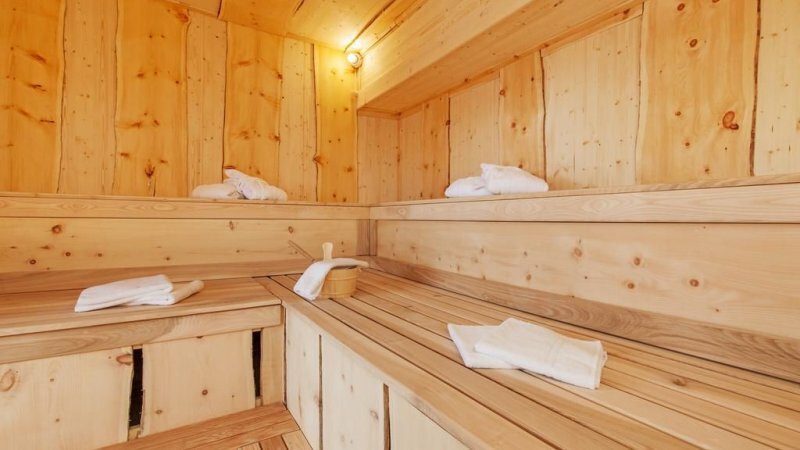 There is also a sauna and steam bath. 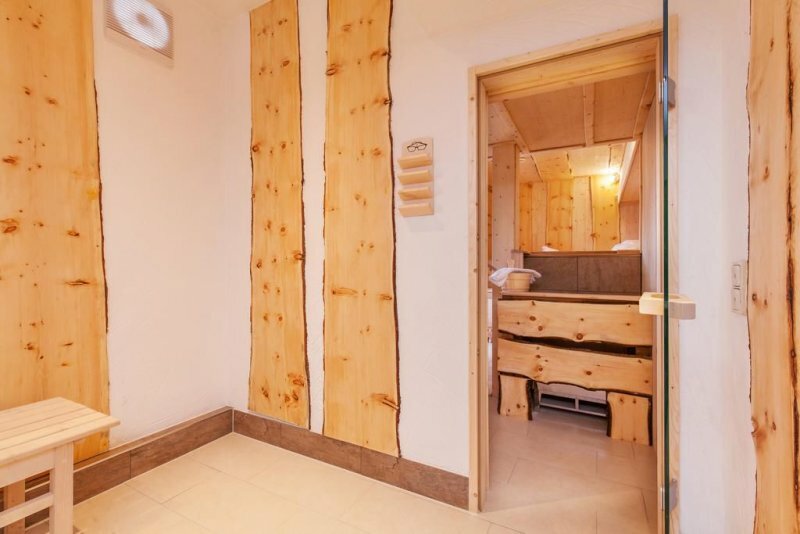 These facilities are available to our guests free of charge. 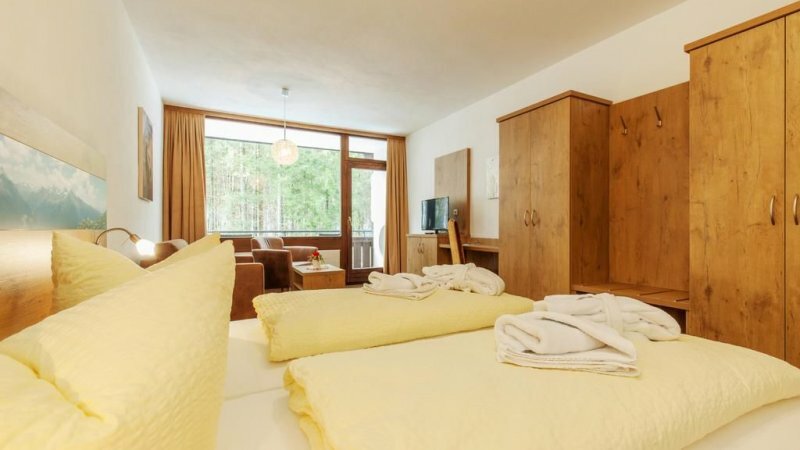 Our generous size rooms are equipped with shower/WC, TV and balcony. 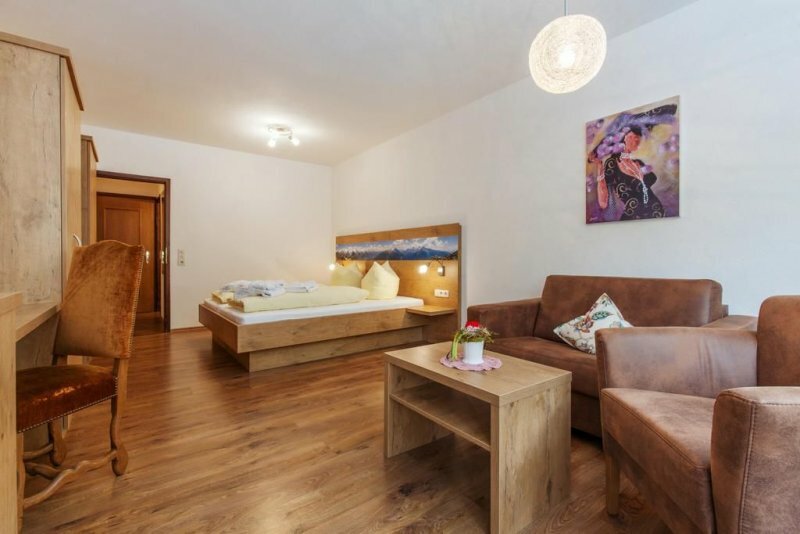 Many of the rooms were renovated in winter 2016 and have wooden floors, and are brightly and comfortably furnished. 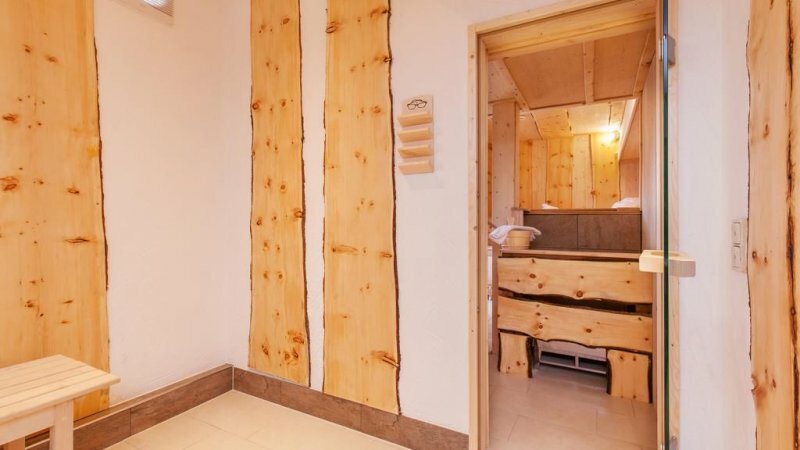 Each room covers at least 35 m², and there is lift access. 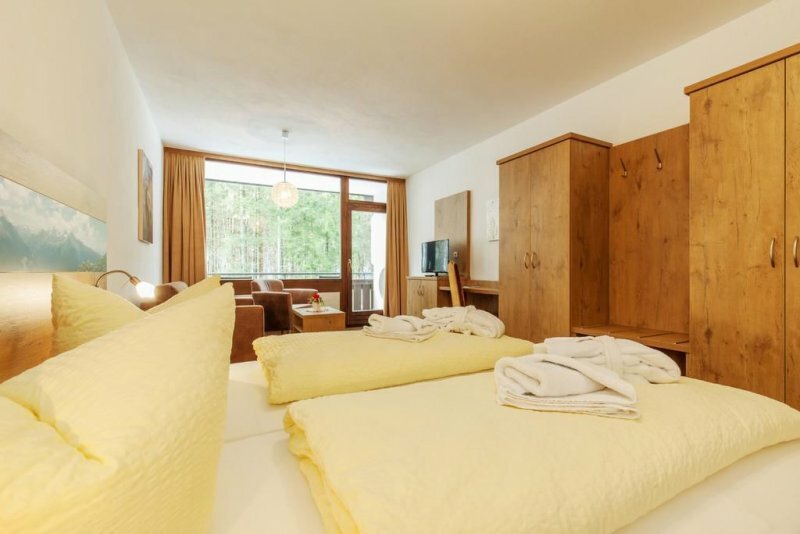 There are 3 and 4 bedded rooms available too. 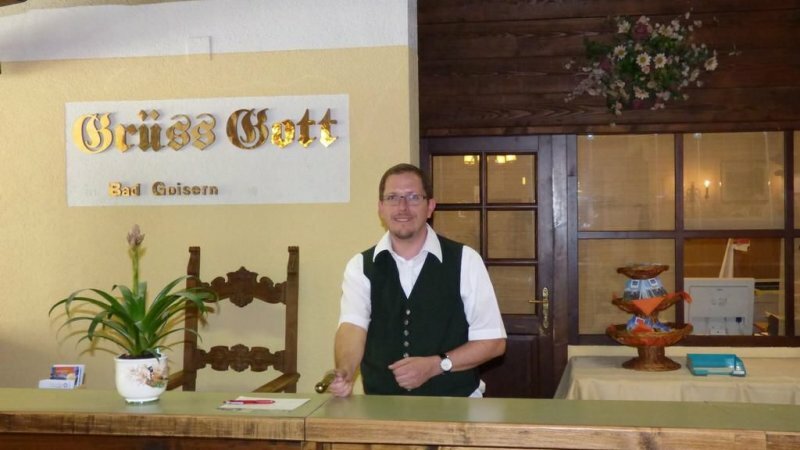 We are always happy to answer any questions you might have to make your stay with us a happy one. 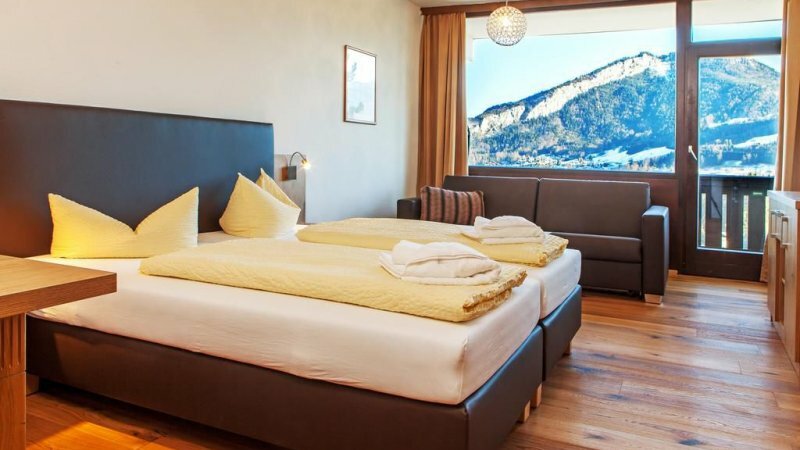 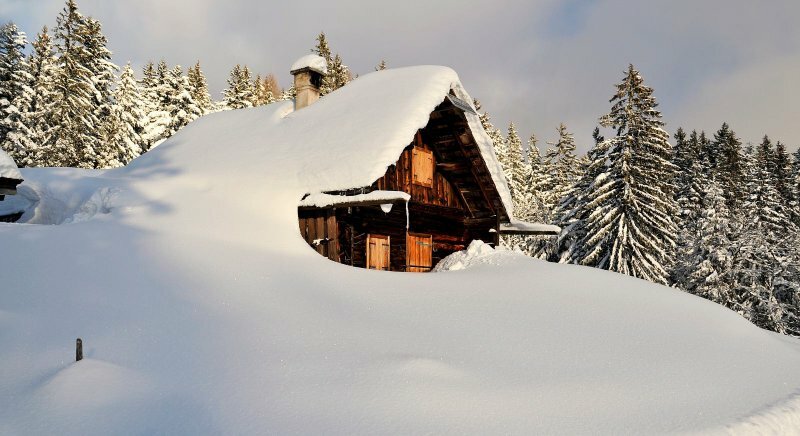 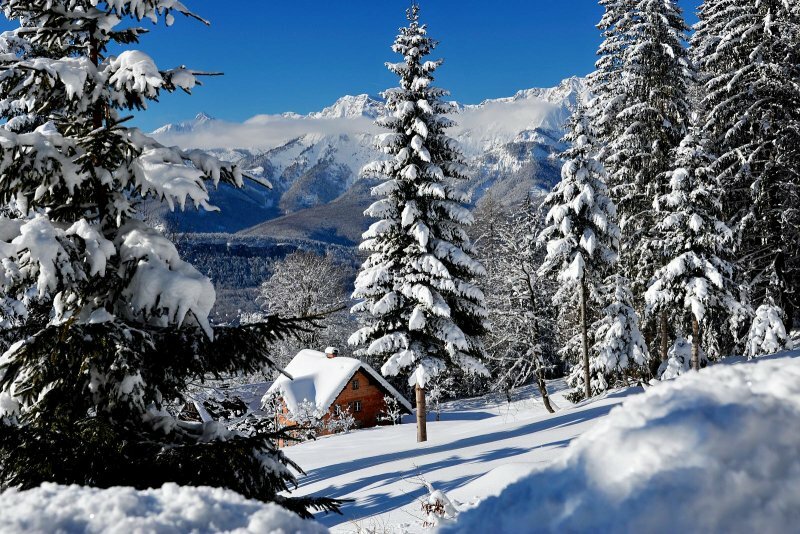 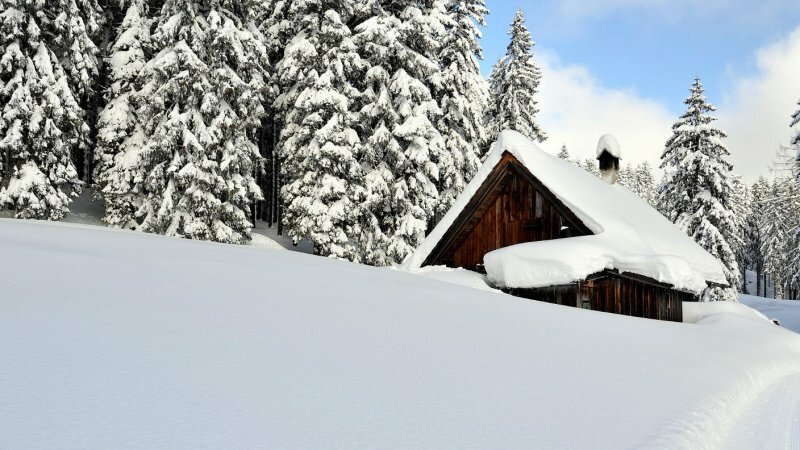 - Booking cancellations are possible up to 8 days before the arrival date for free. 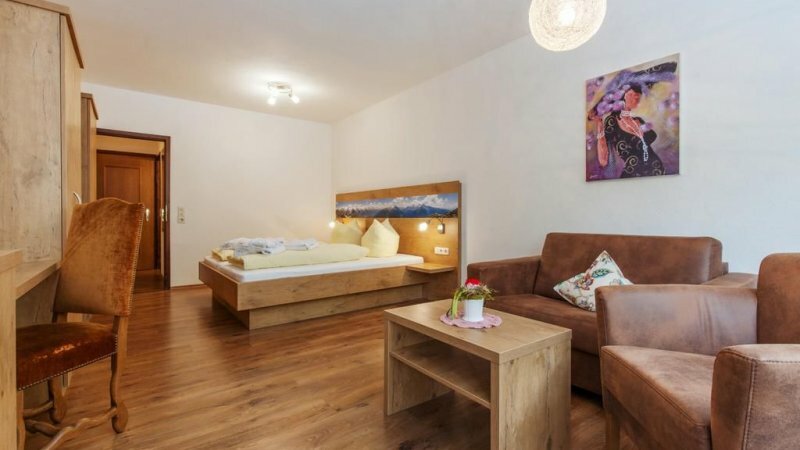 - After this, the cost of cancellation is 100% of the price.